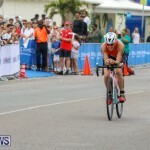 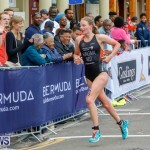 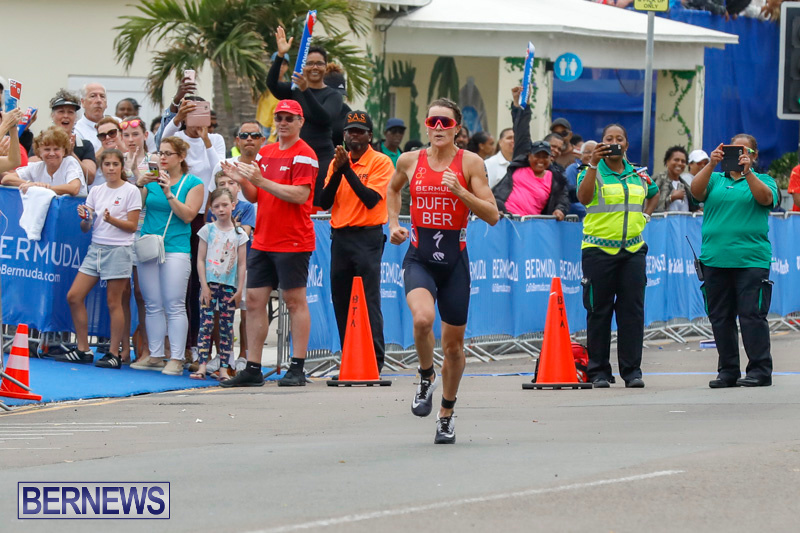 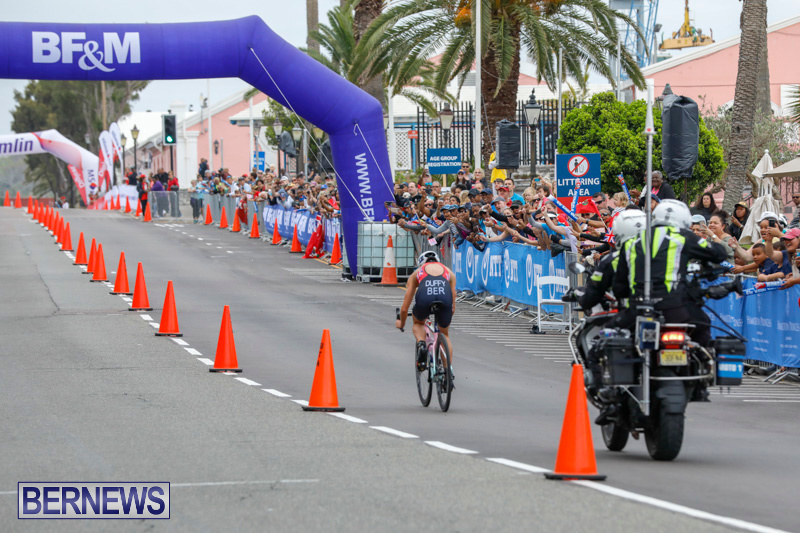 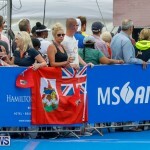 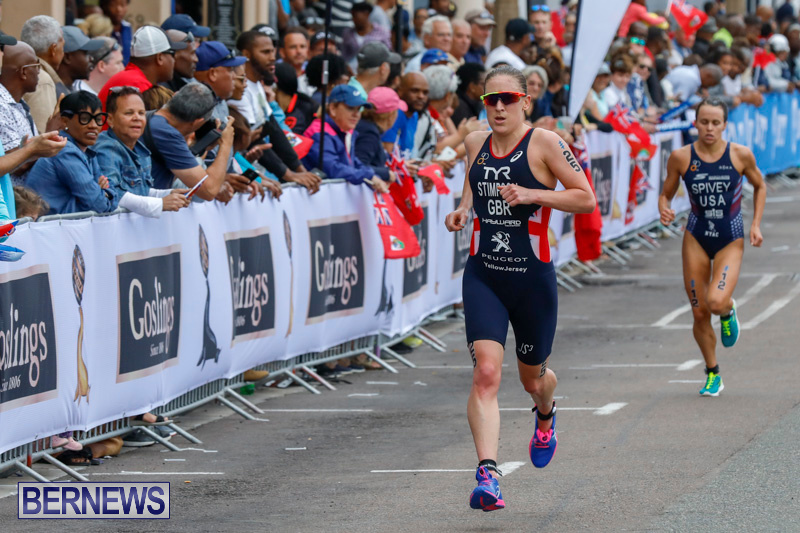 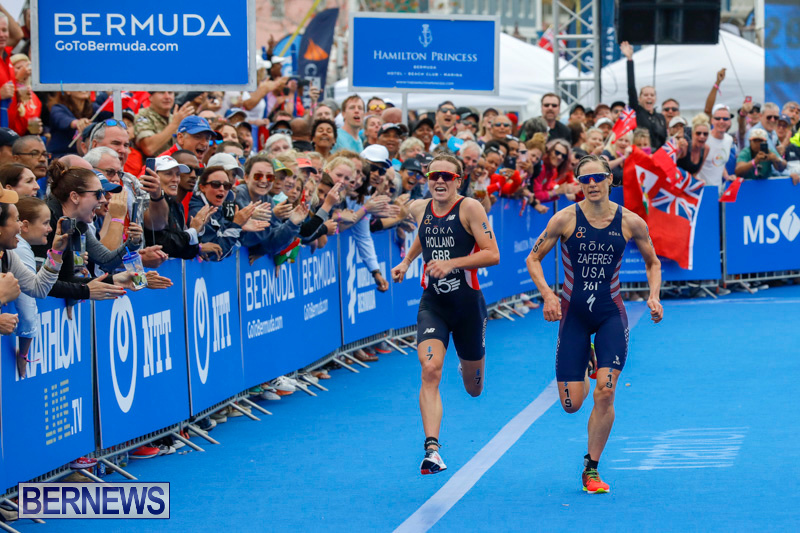 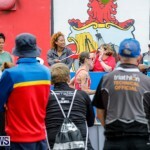 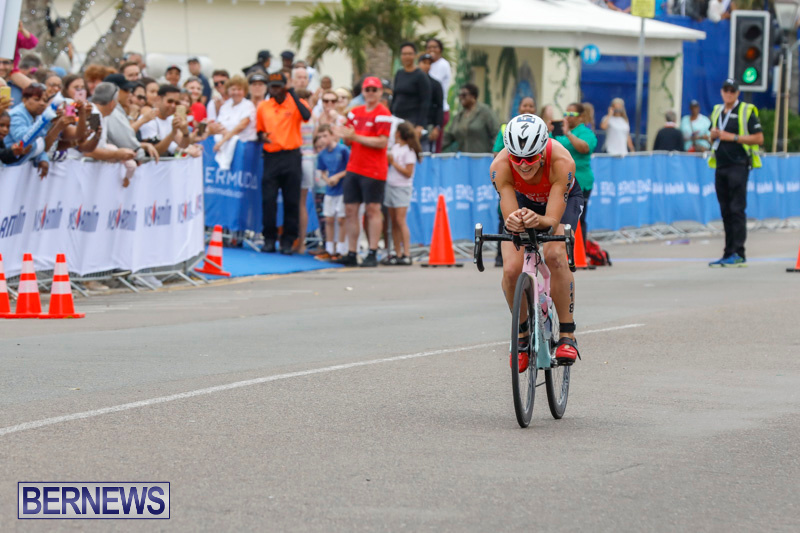 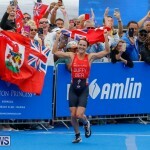 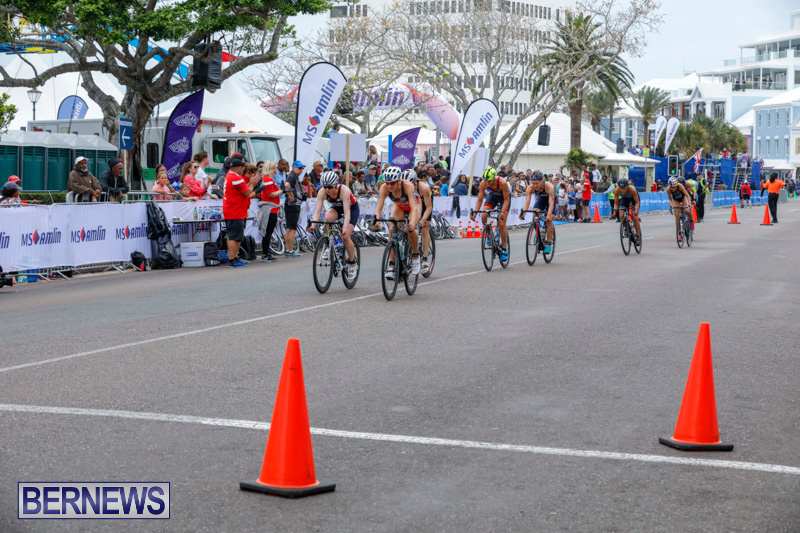 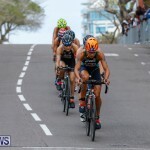 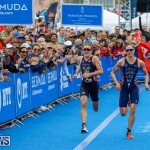 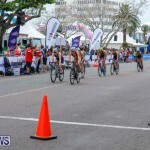 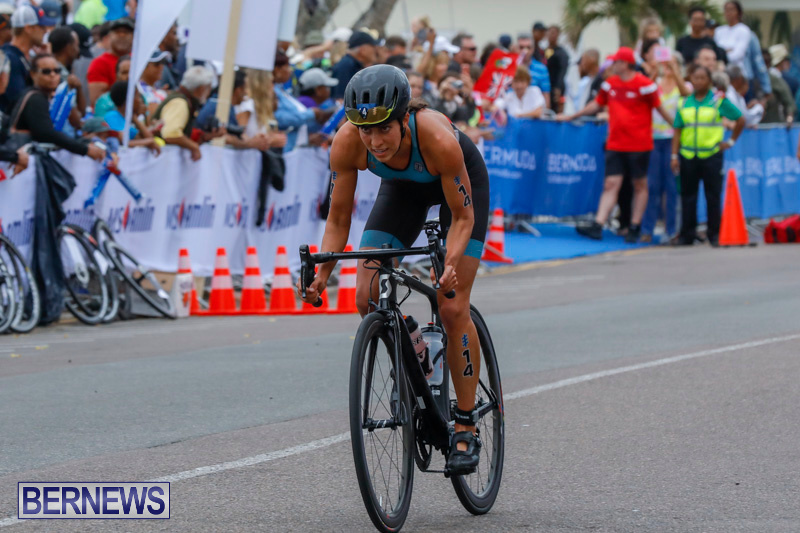 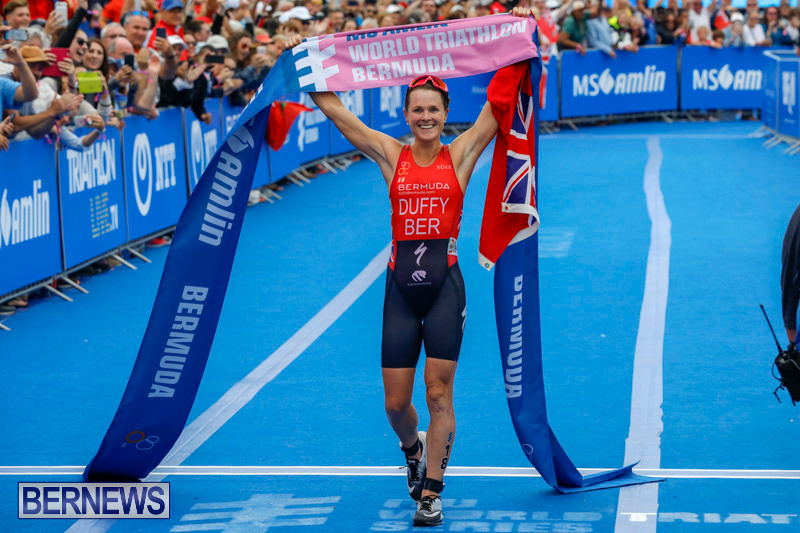 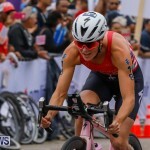 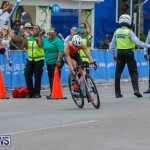 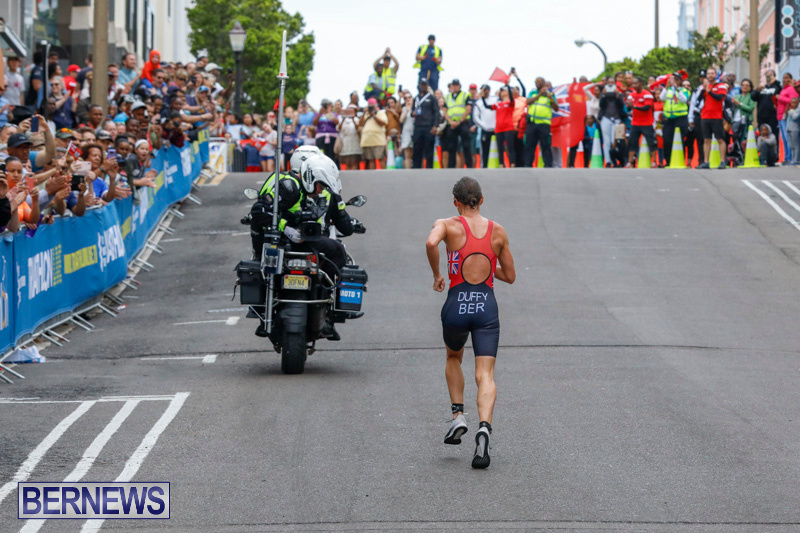 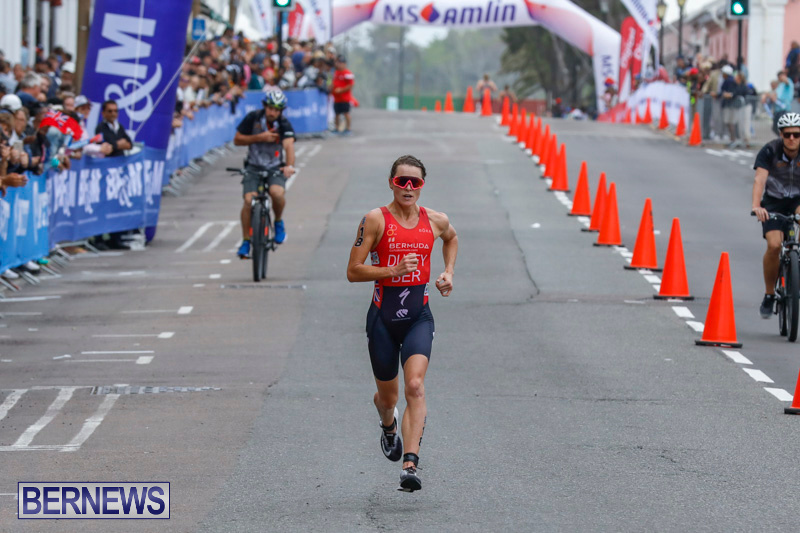 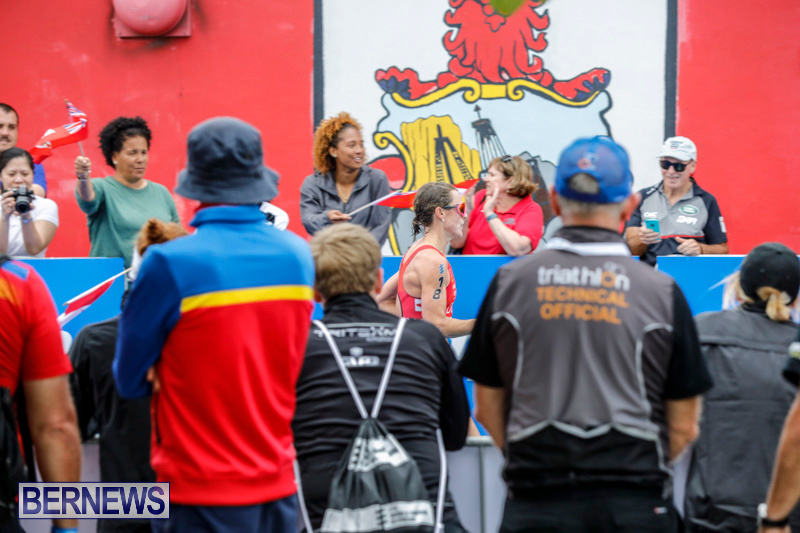 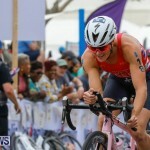 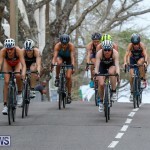 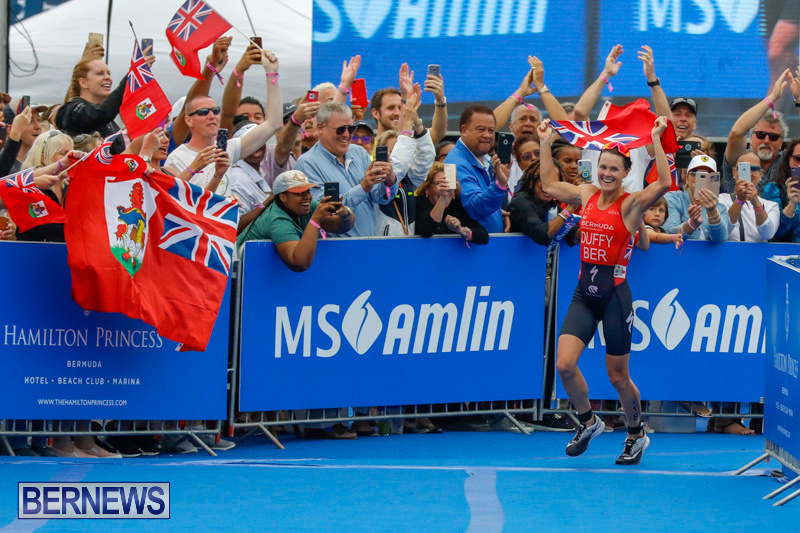 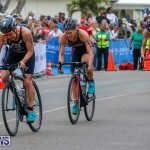 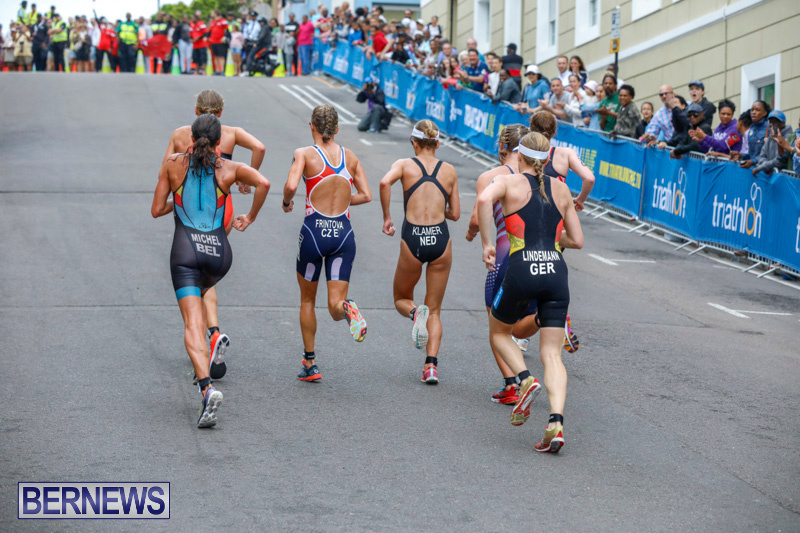 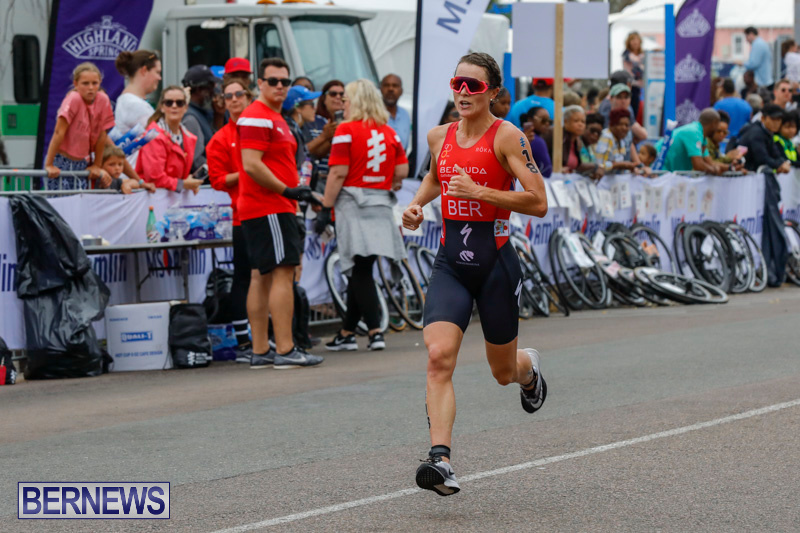 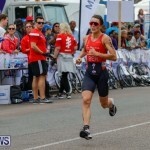 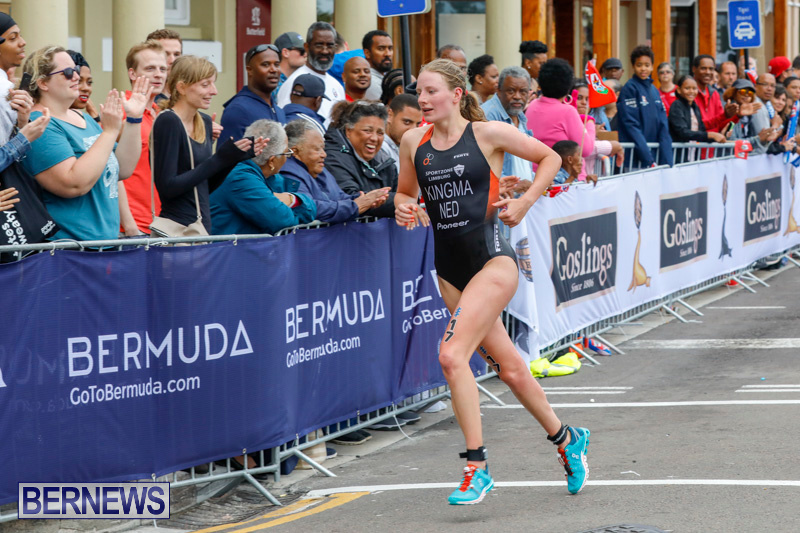 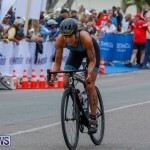 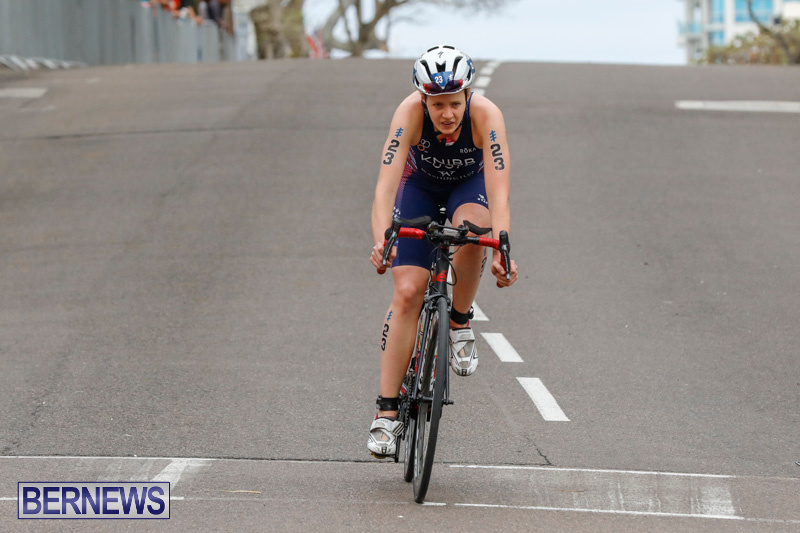 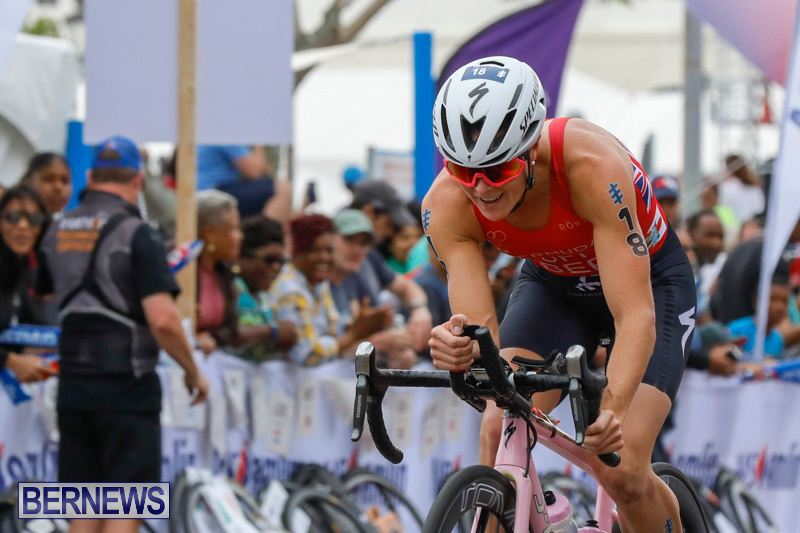 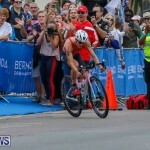 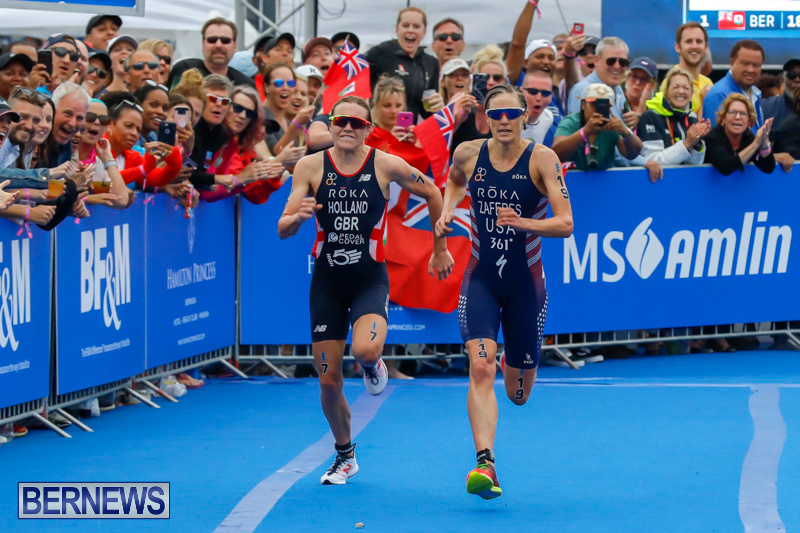 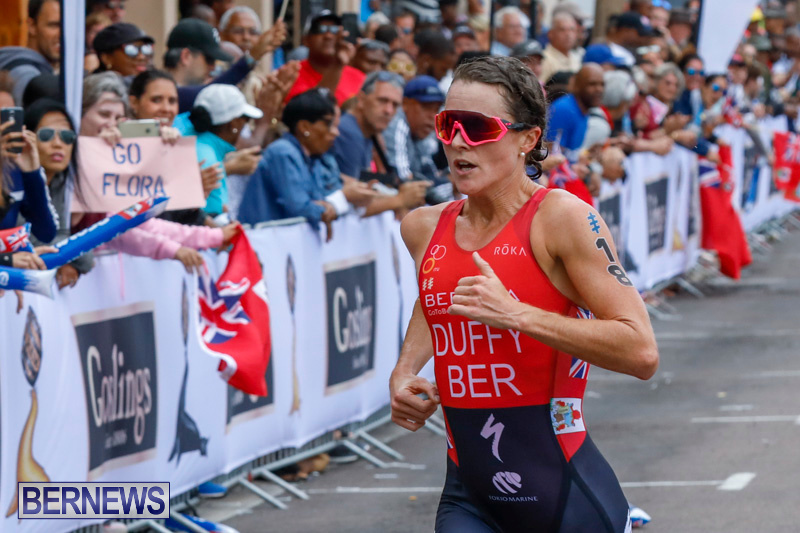 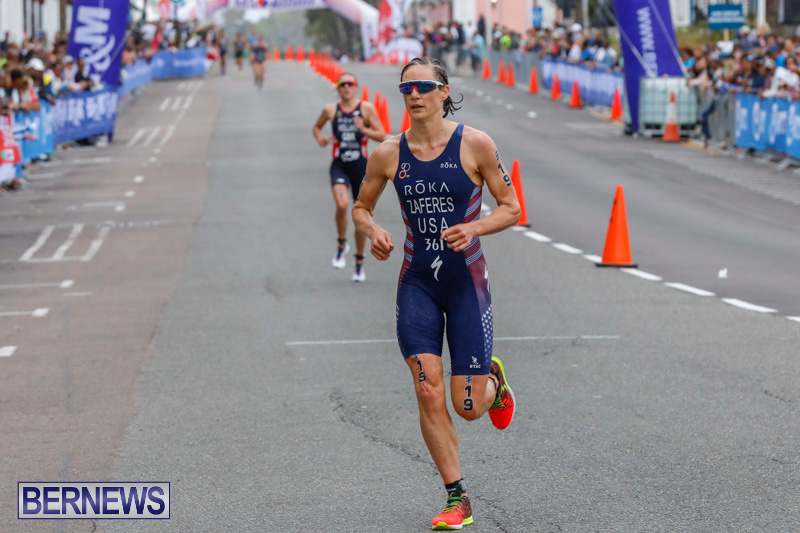 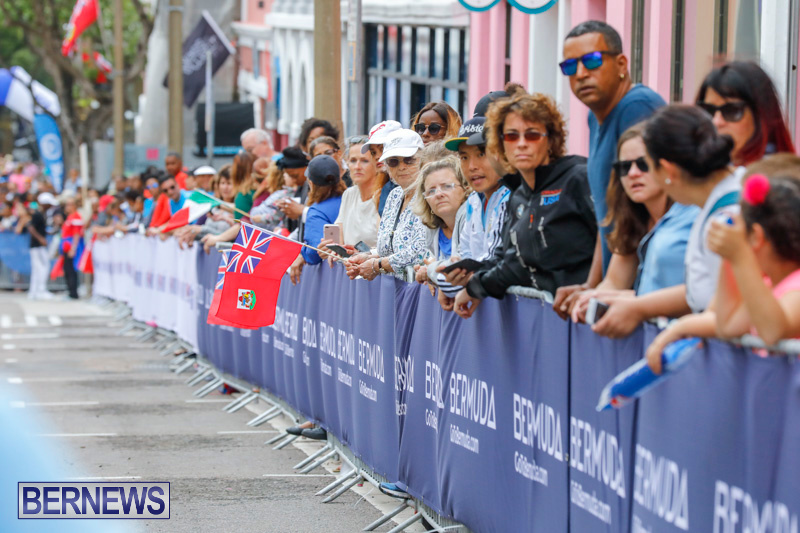 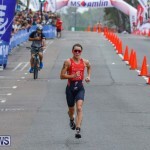 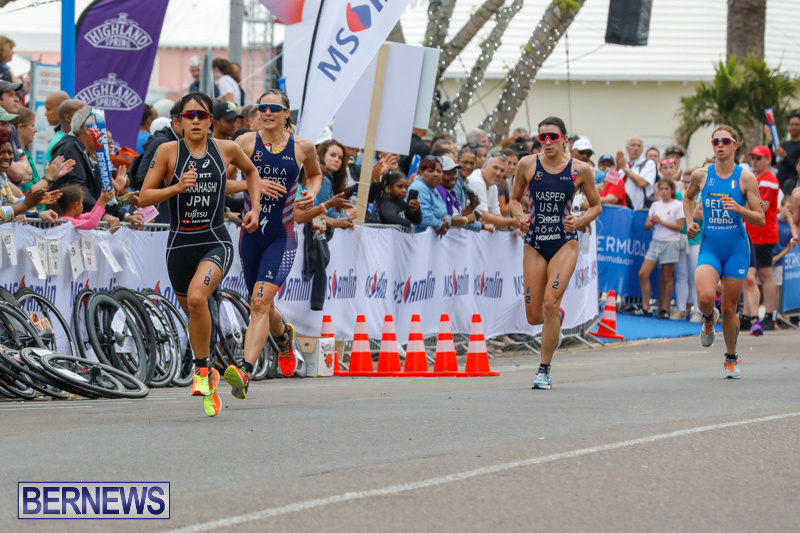 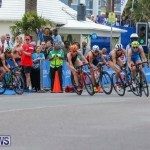 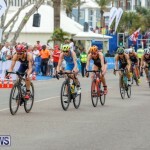 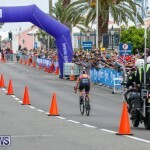 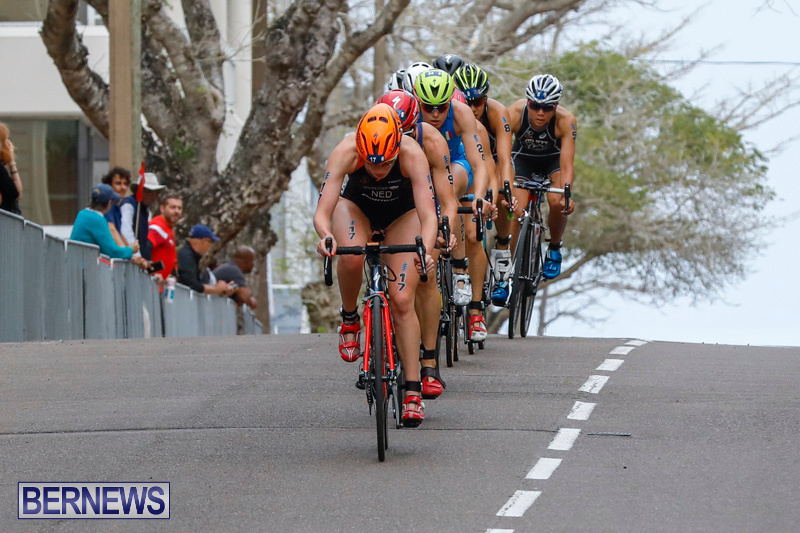 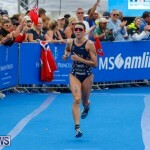 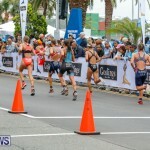 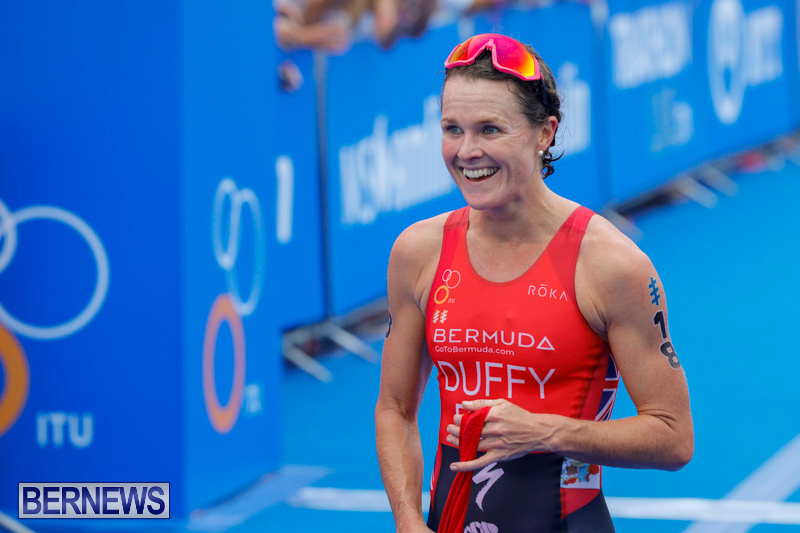 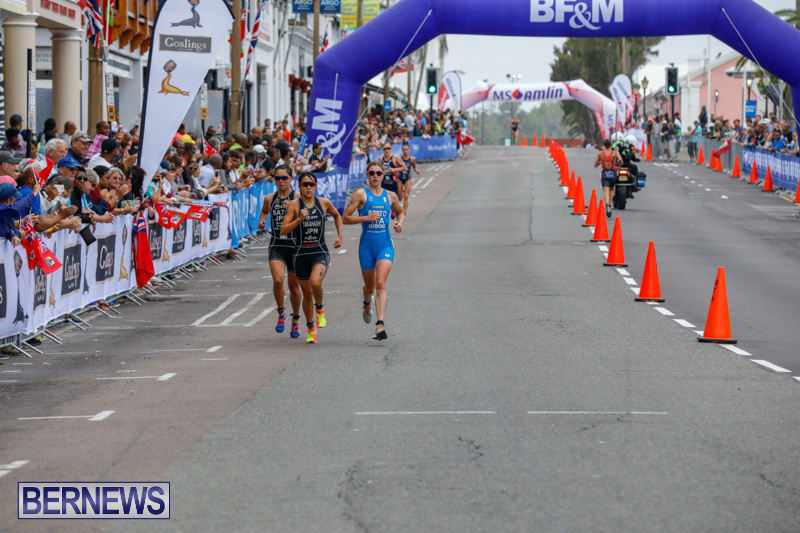 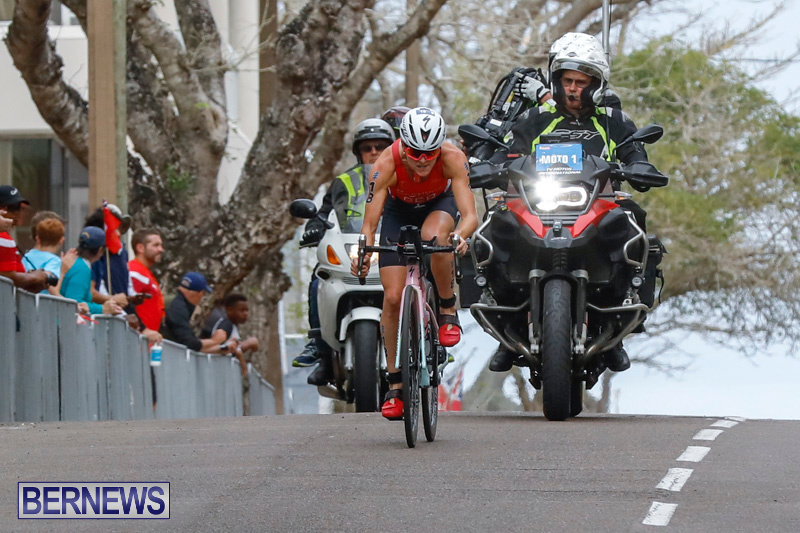 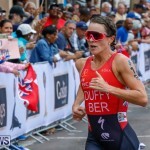 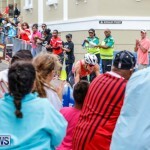 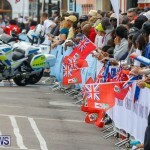 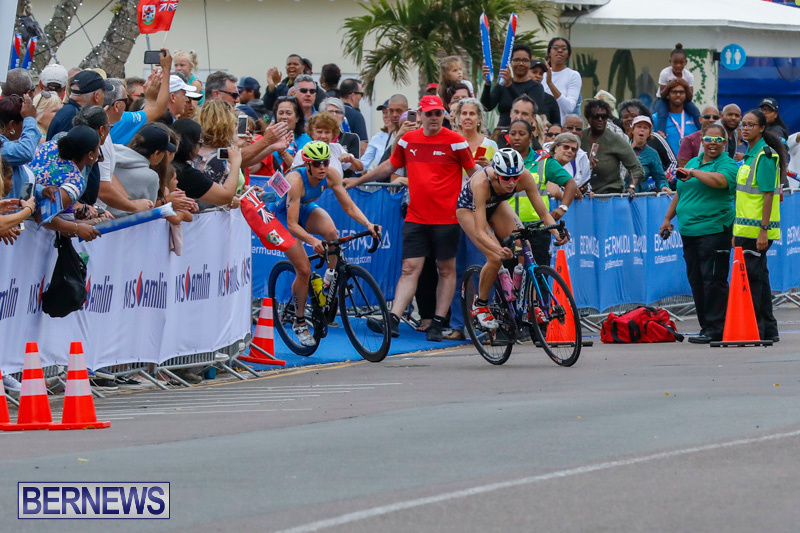 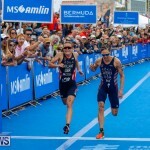 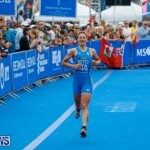 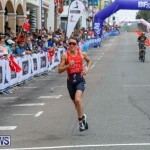 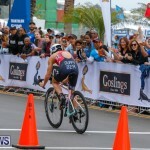 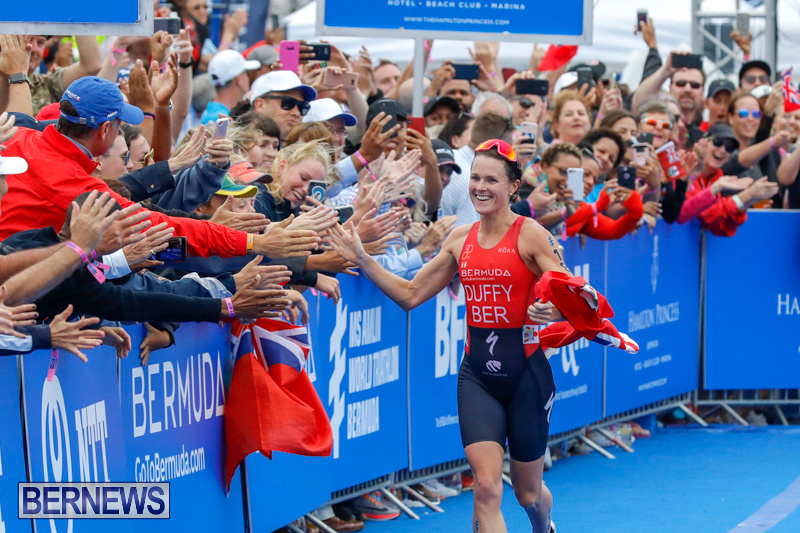 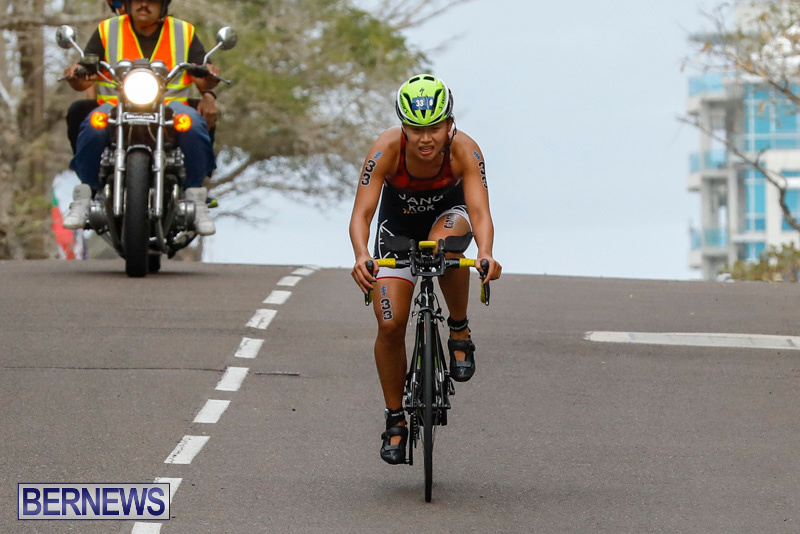 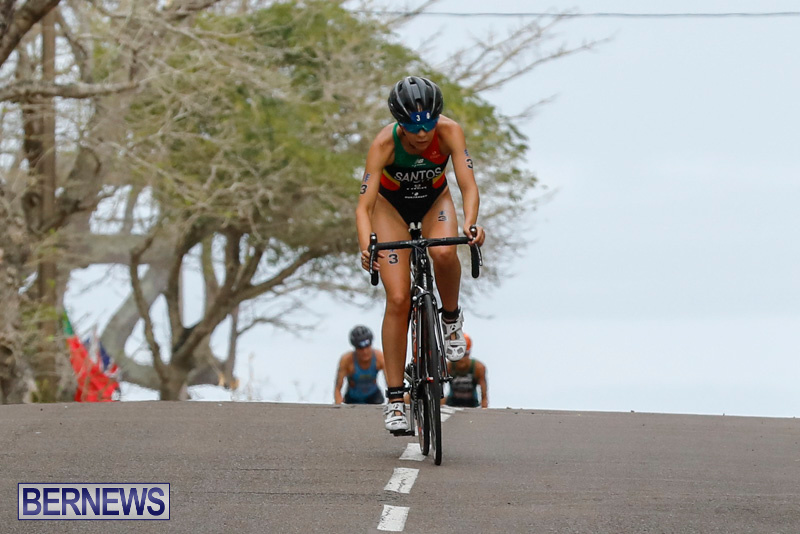 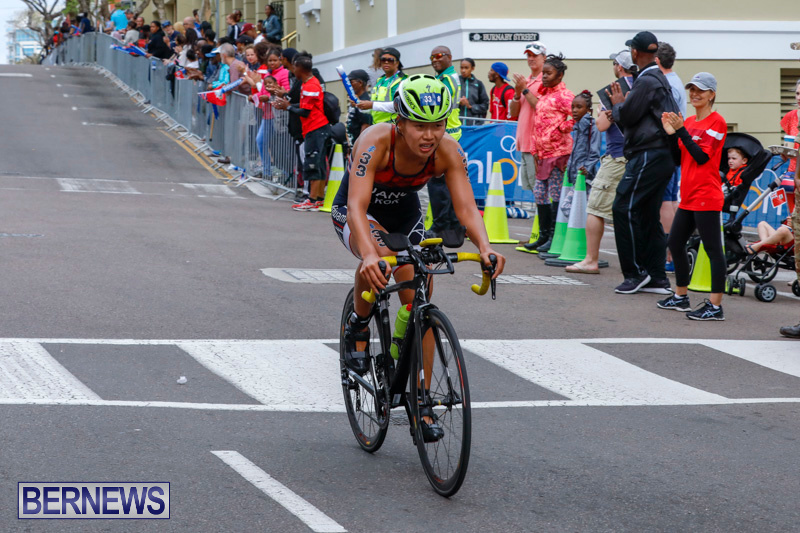 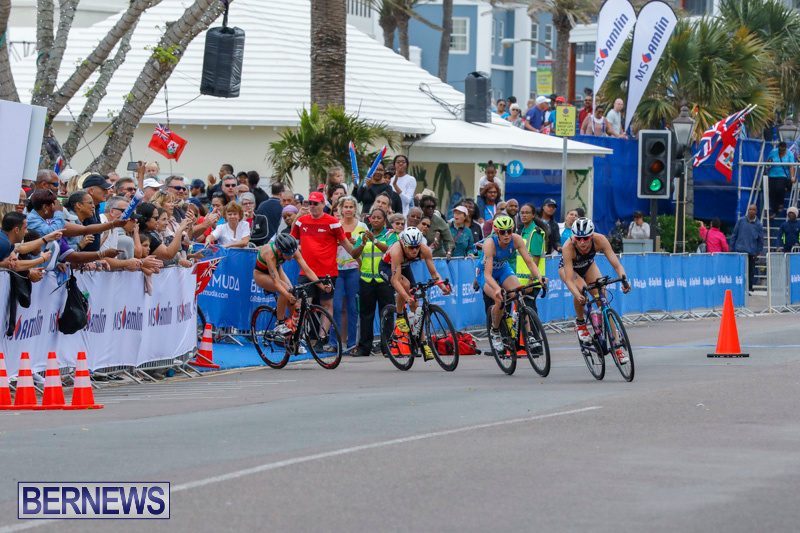 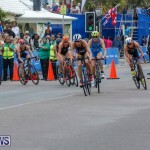 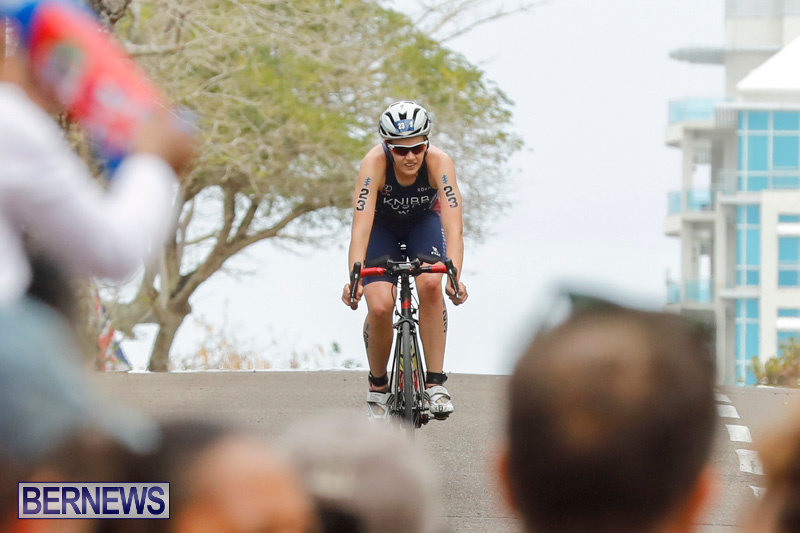 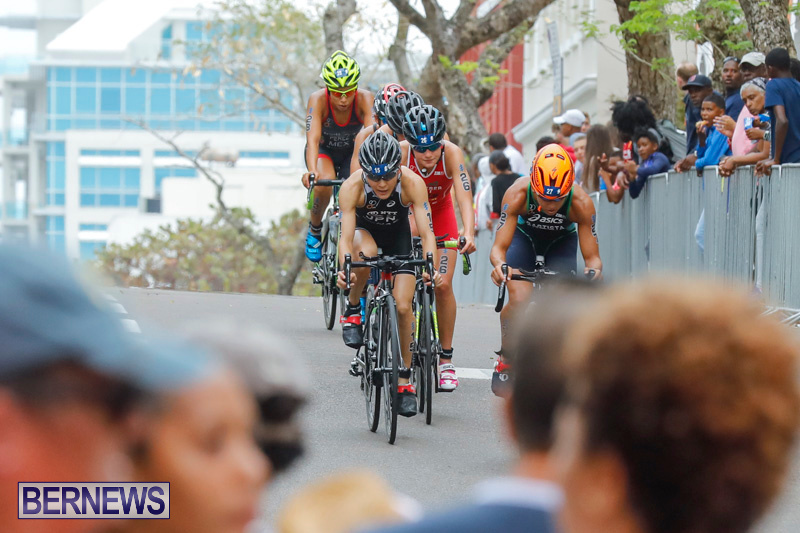 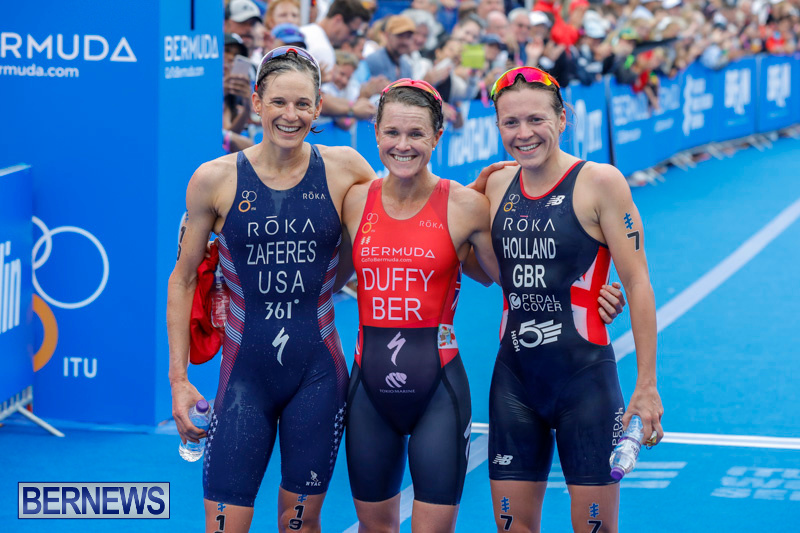 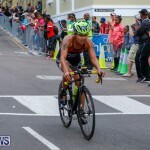 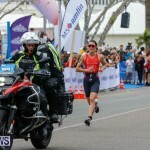 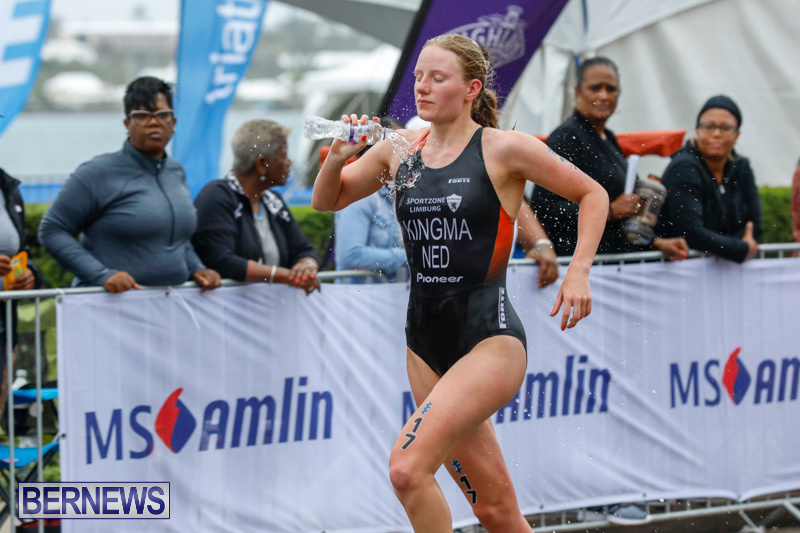 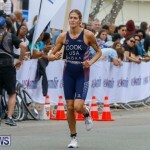 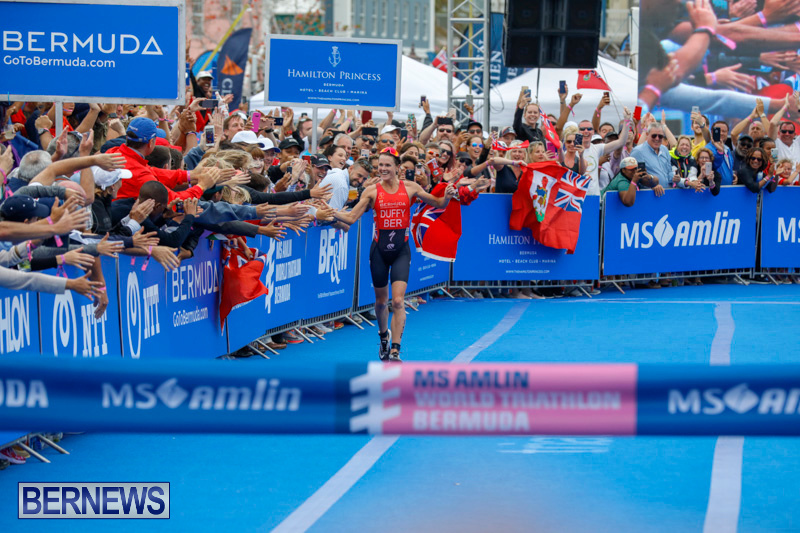 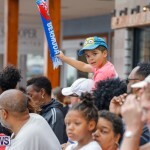 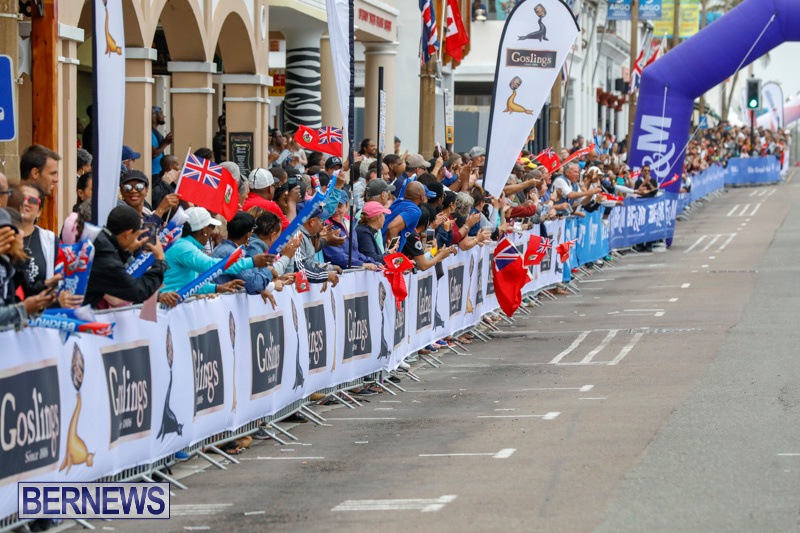 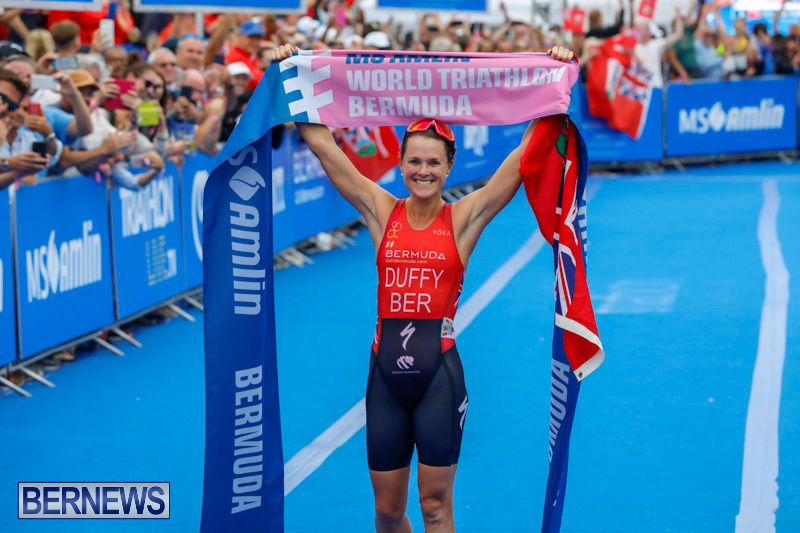 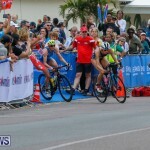 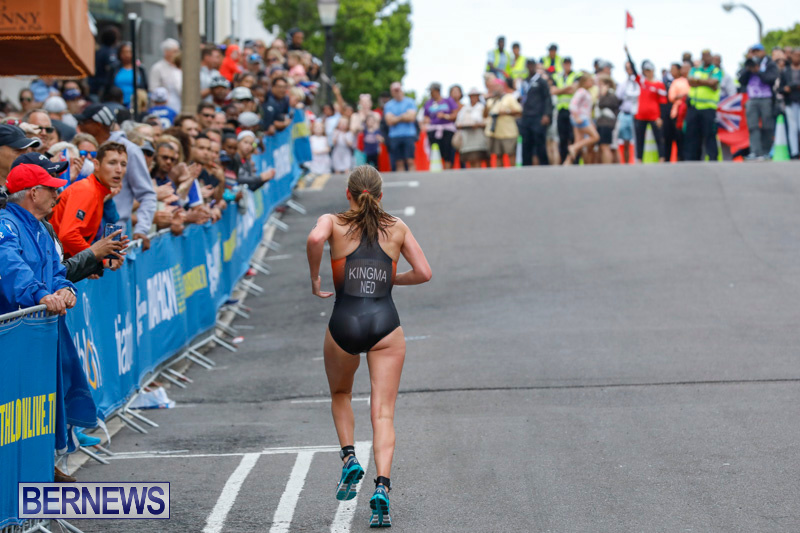 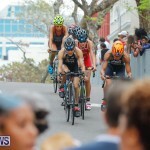 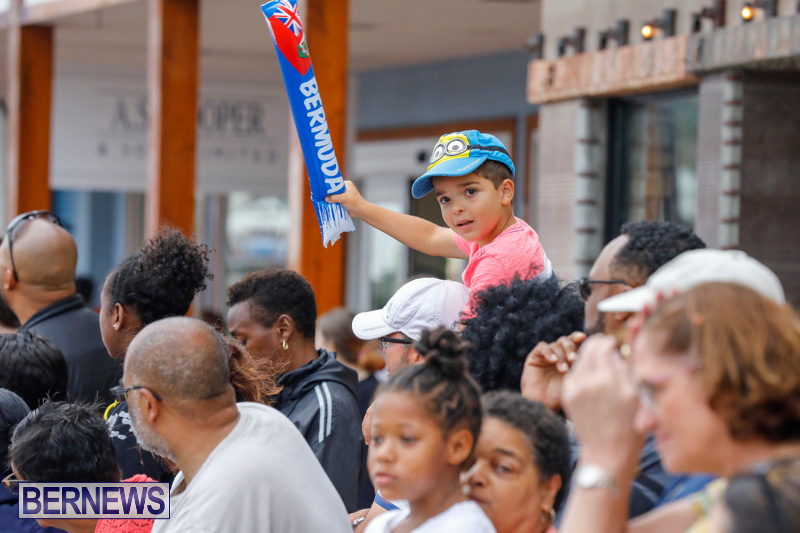 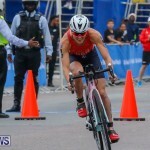 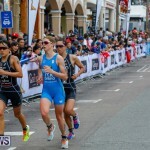 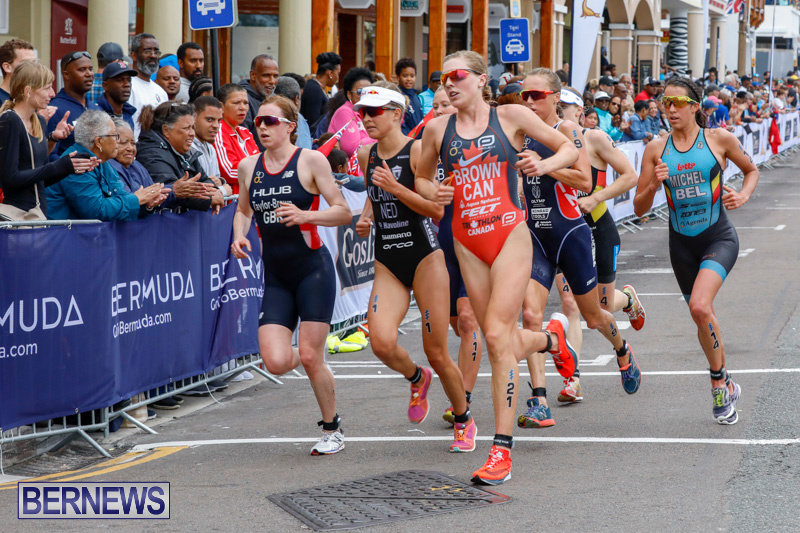 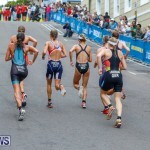 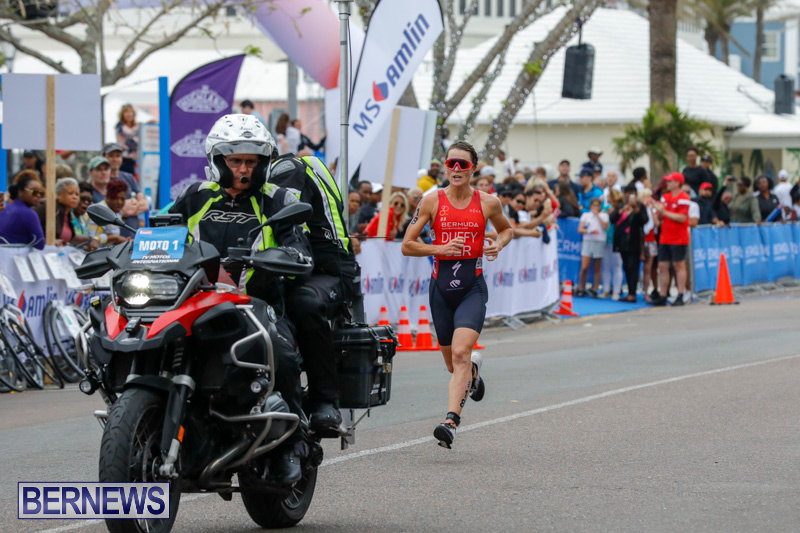 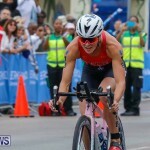 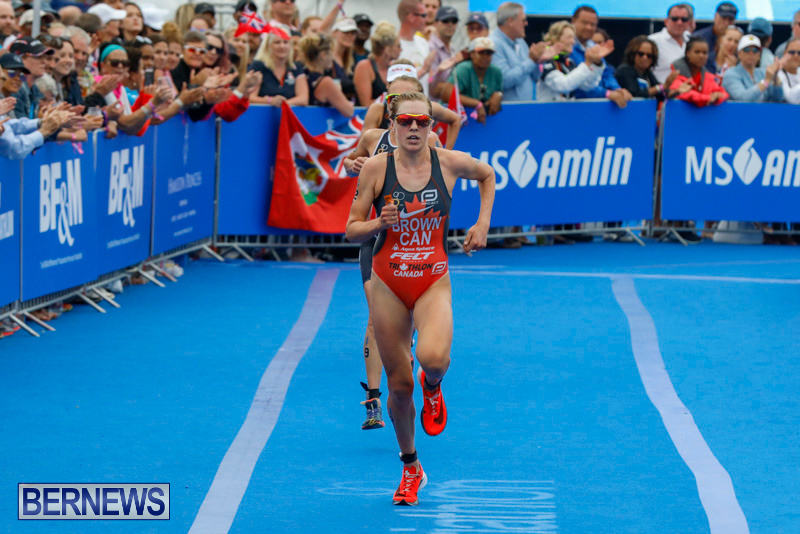 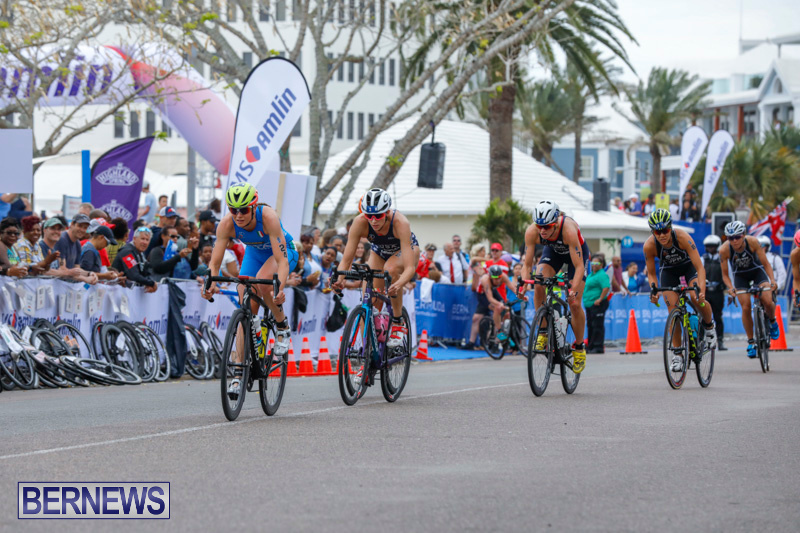 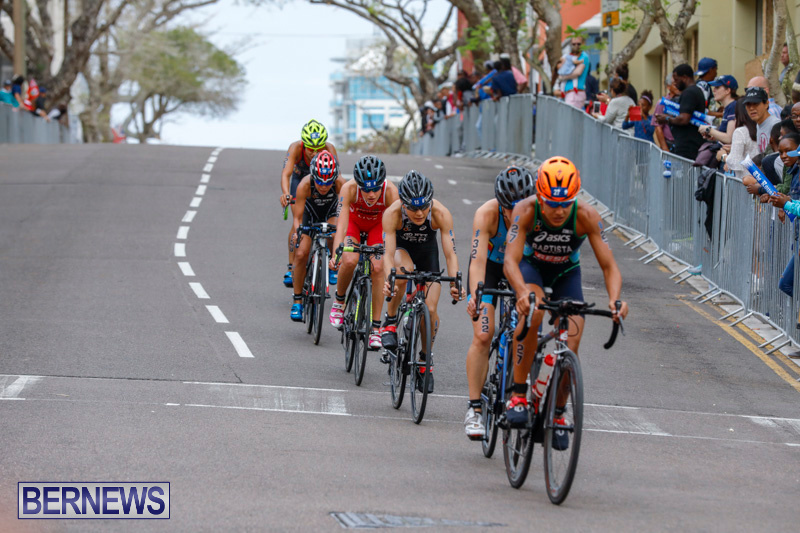 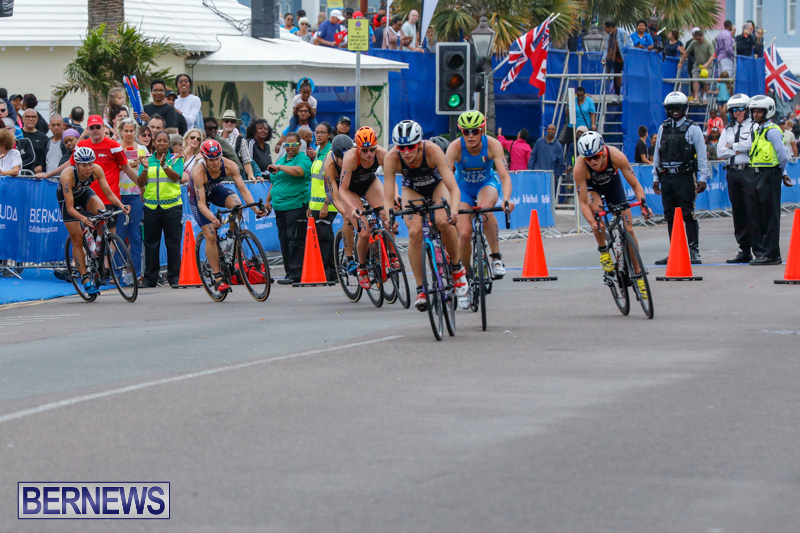 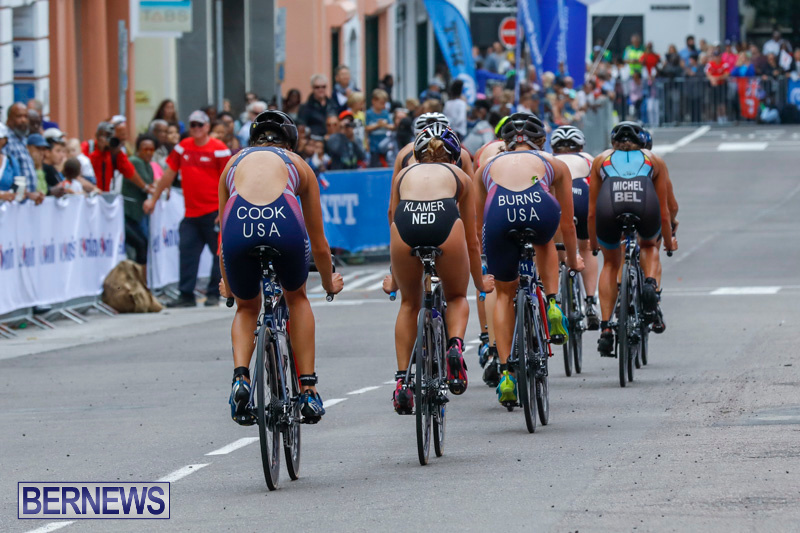 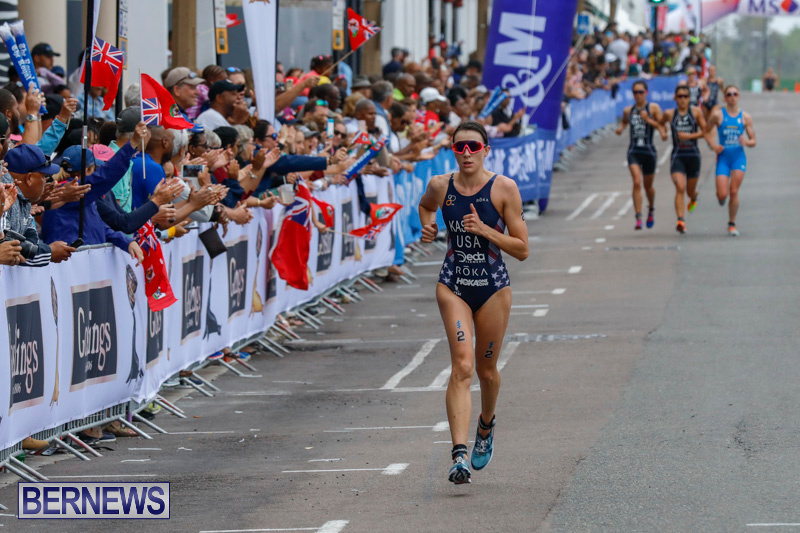 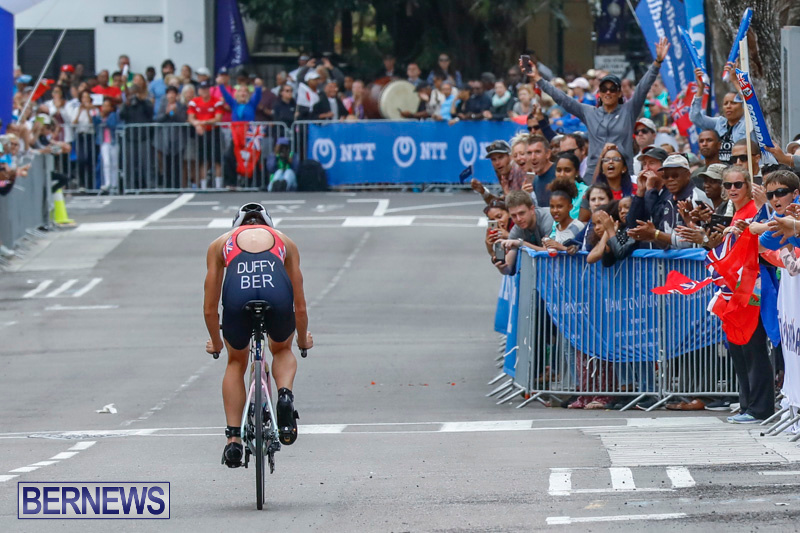 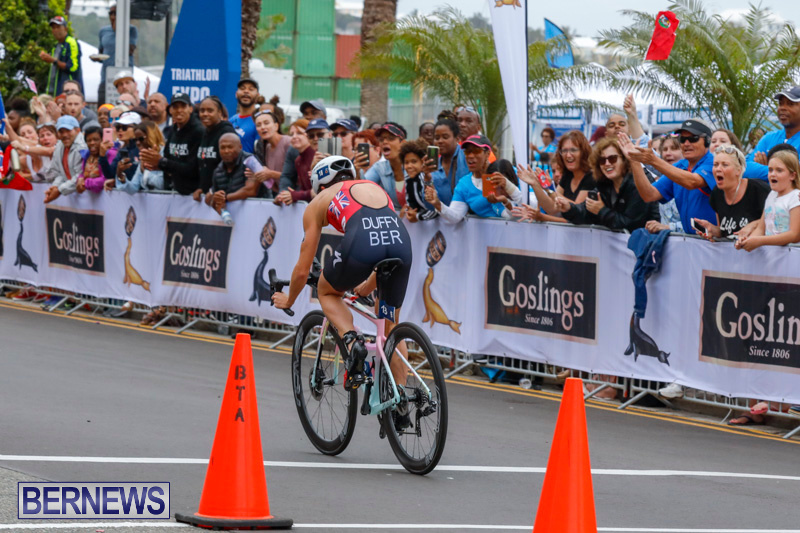 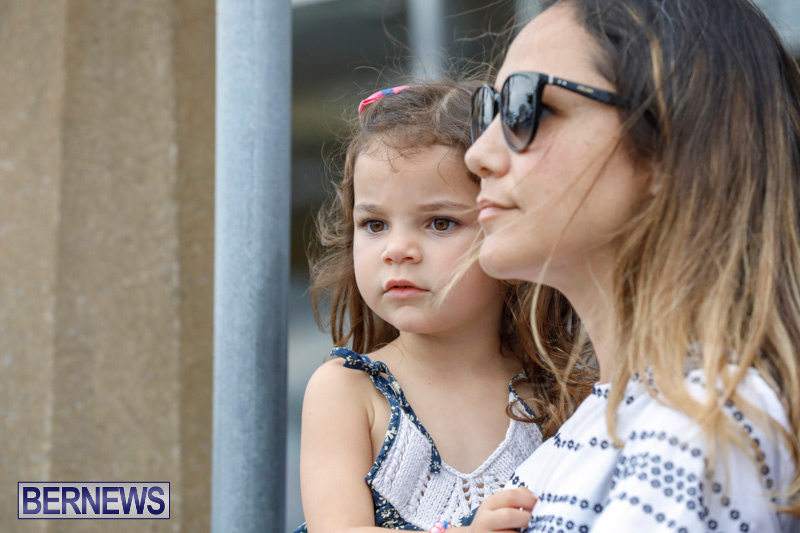 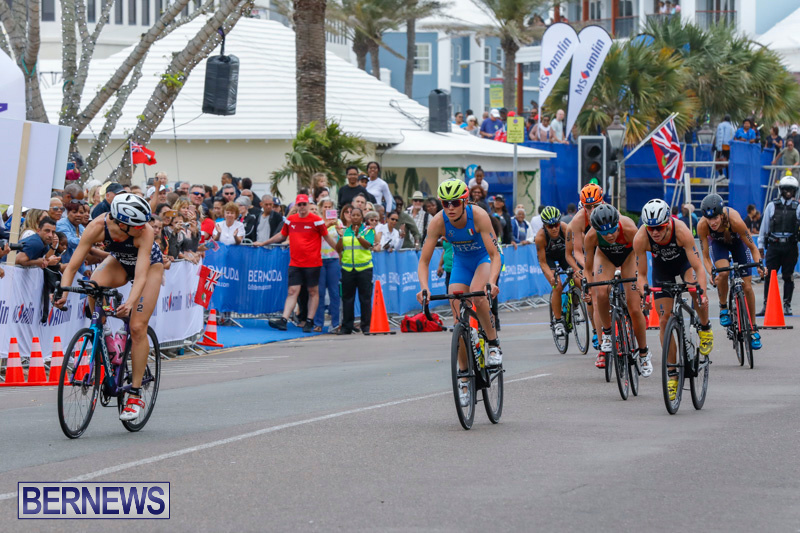 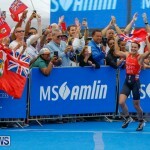 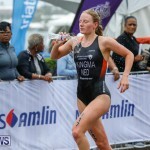 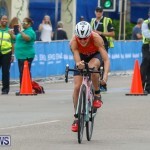 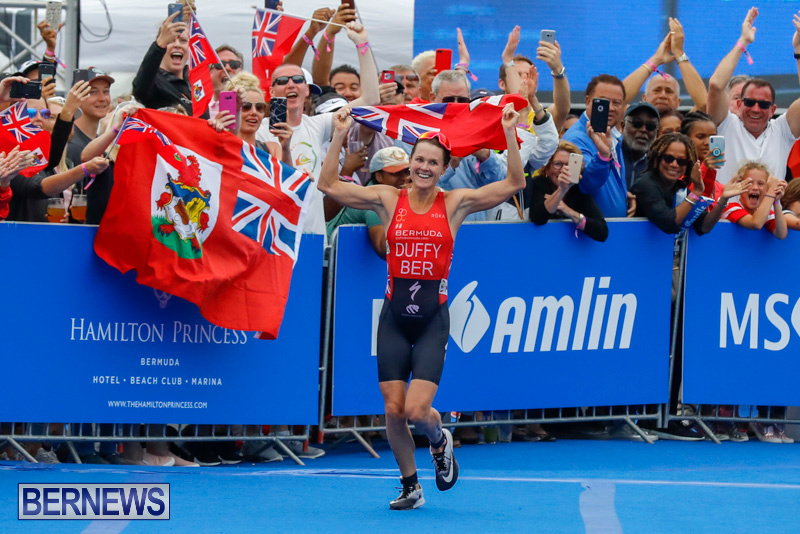 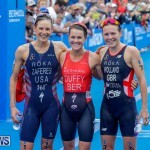 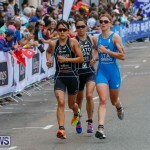 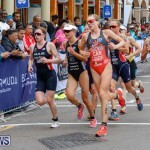 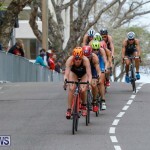 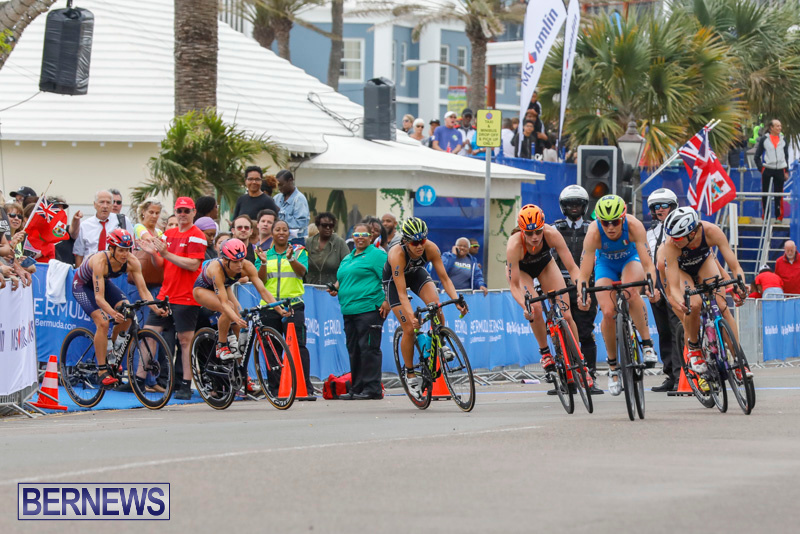 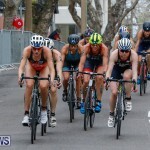 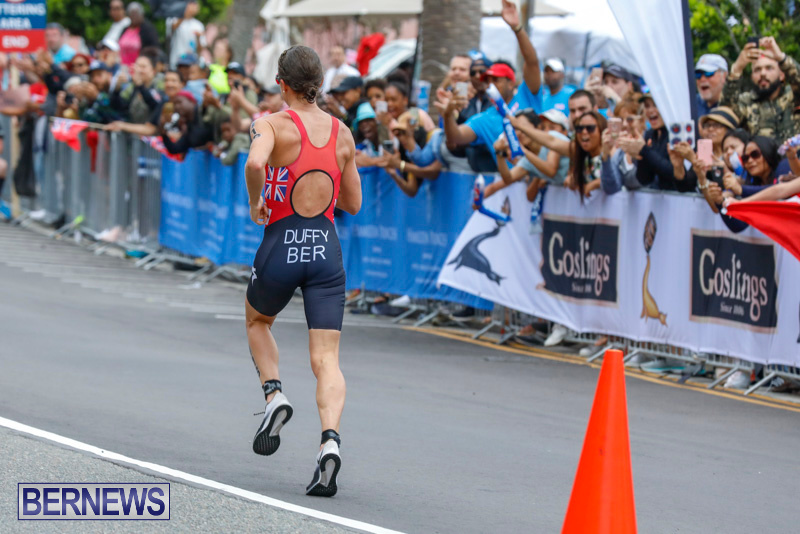 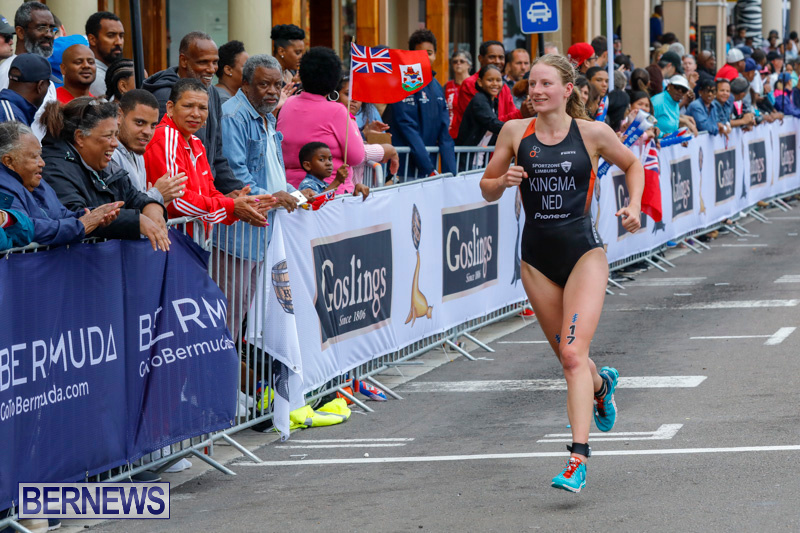 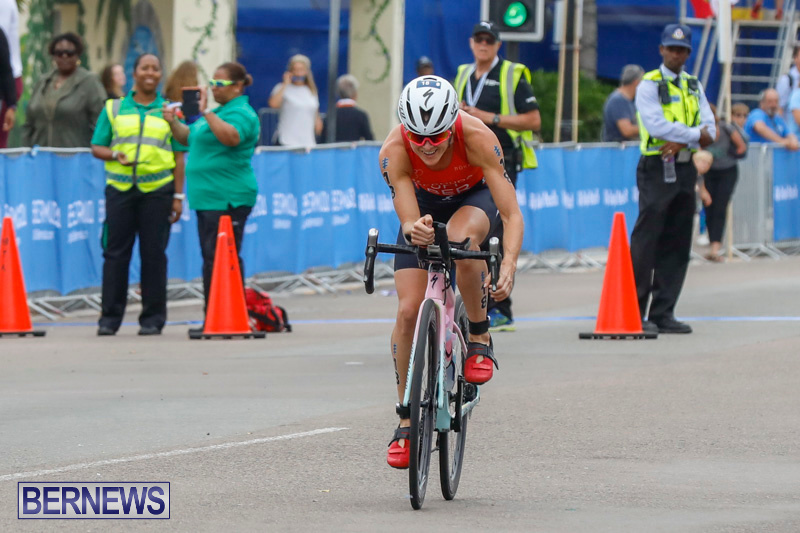 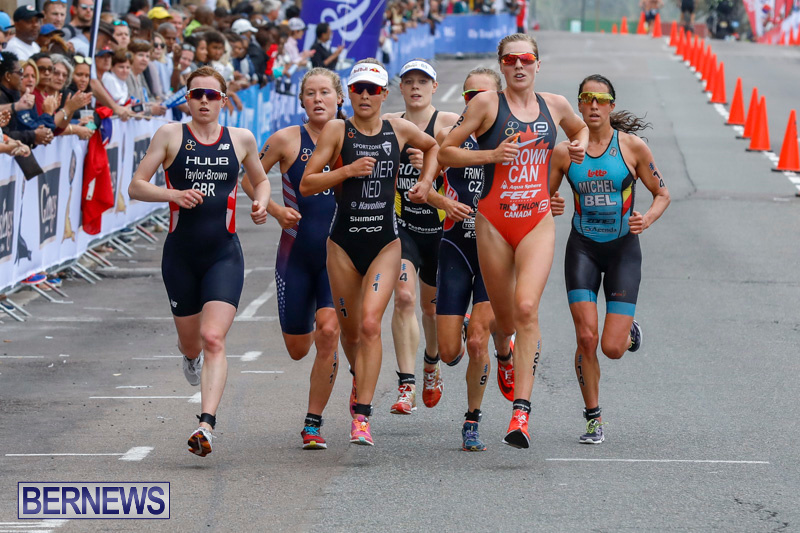 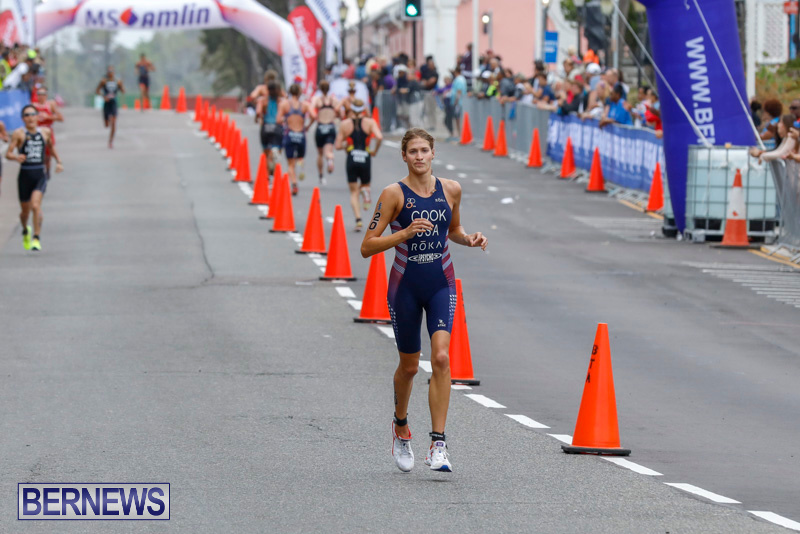 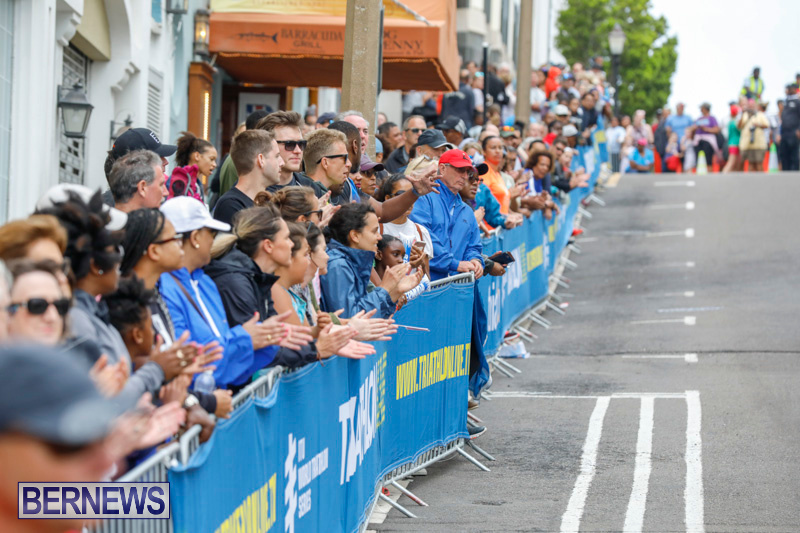 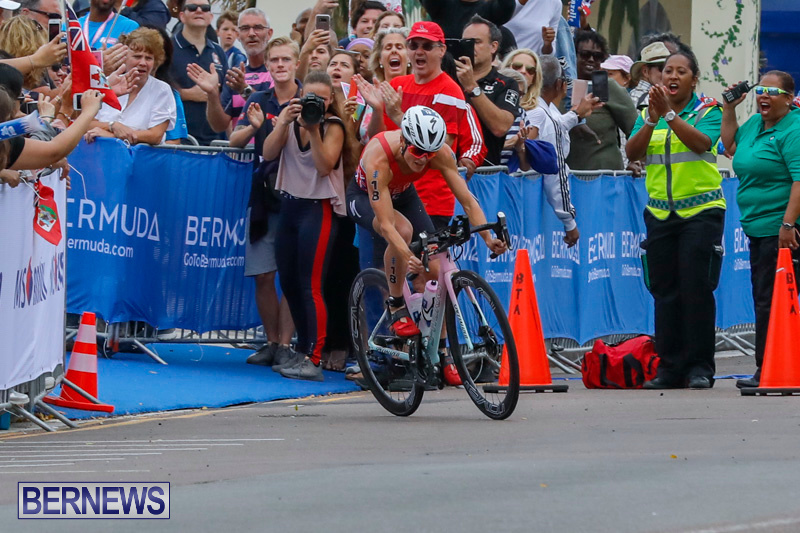 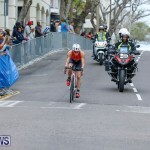 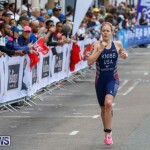 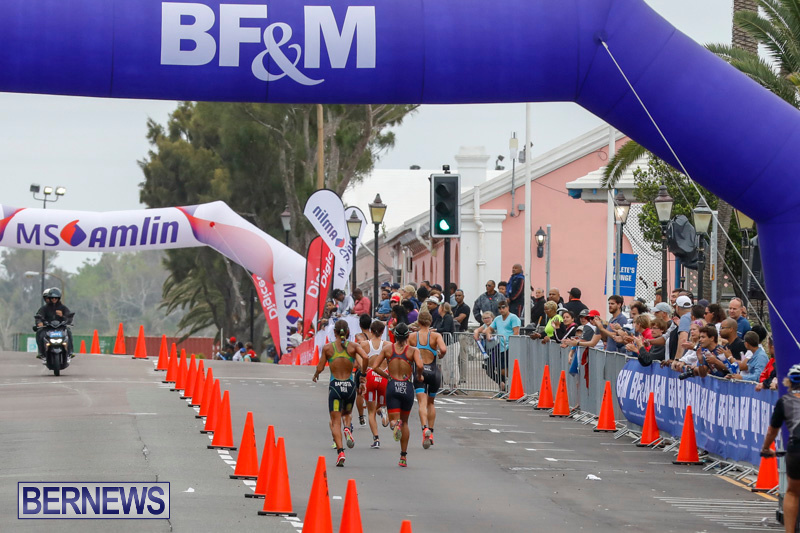 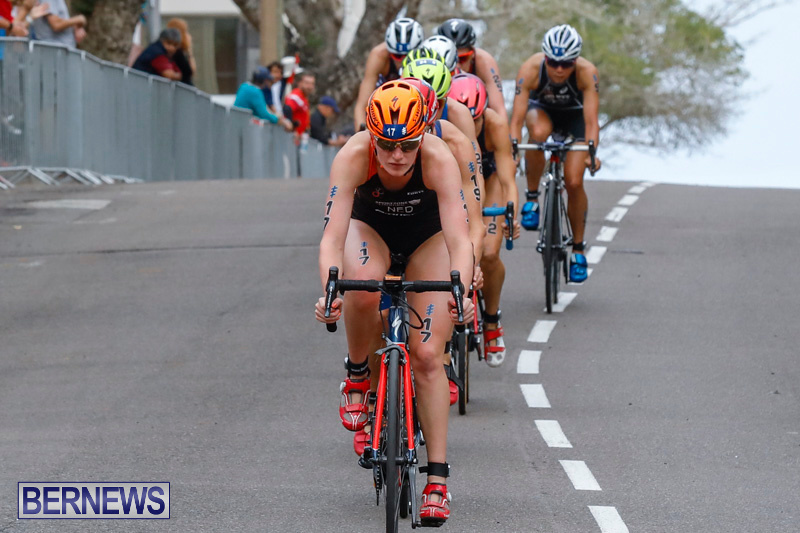 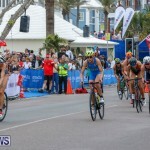 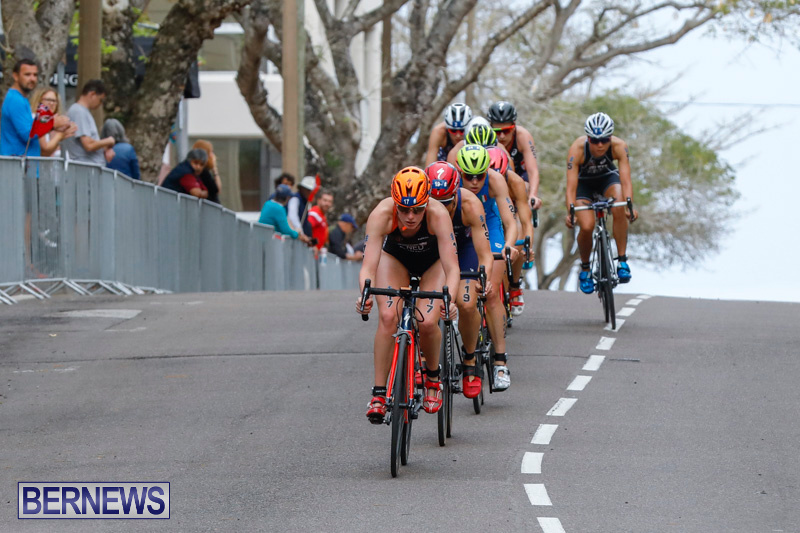 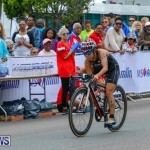 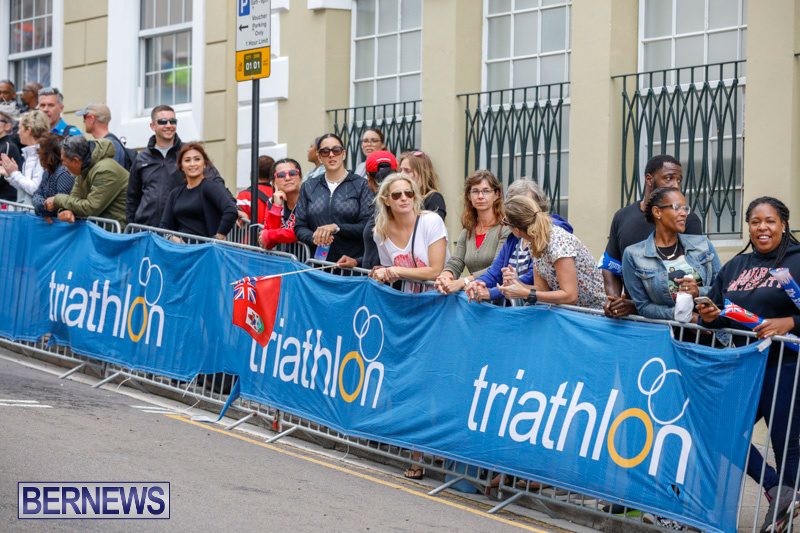 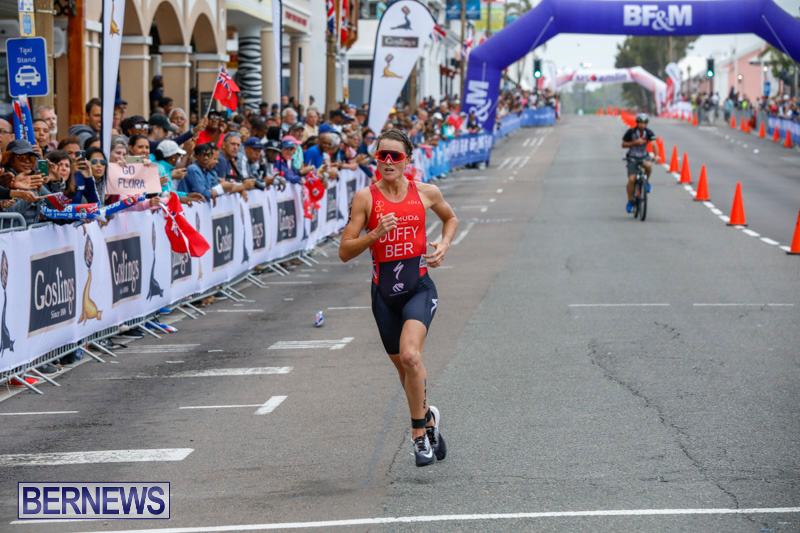 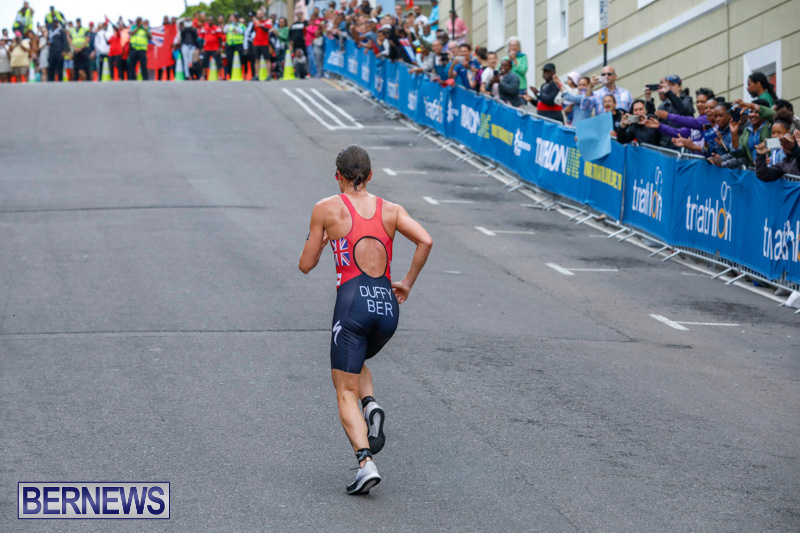 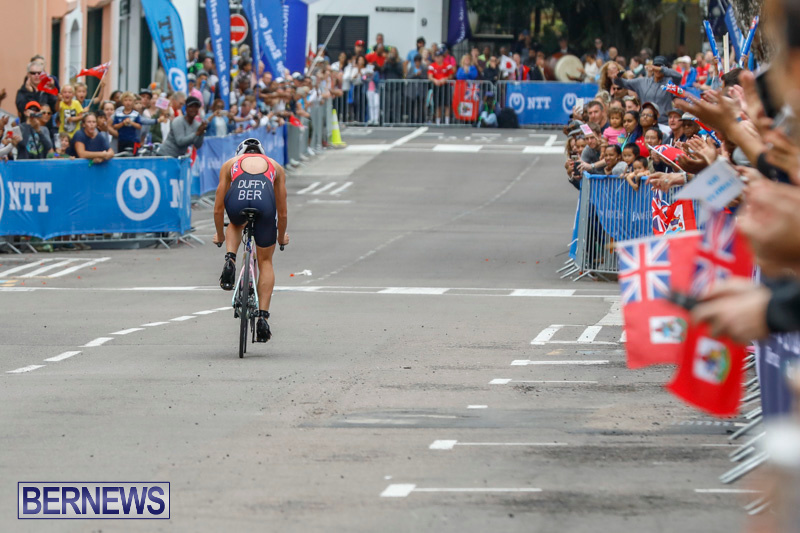 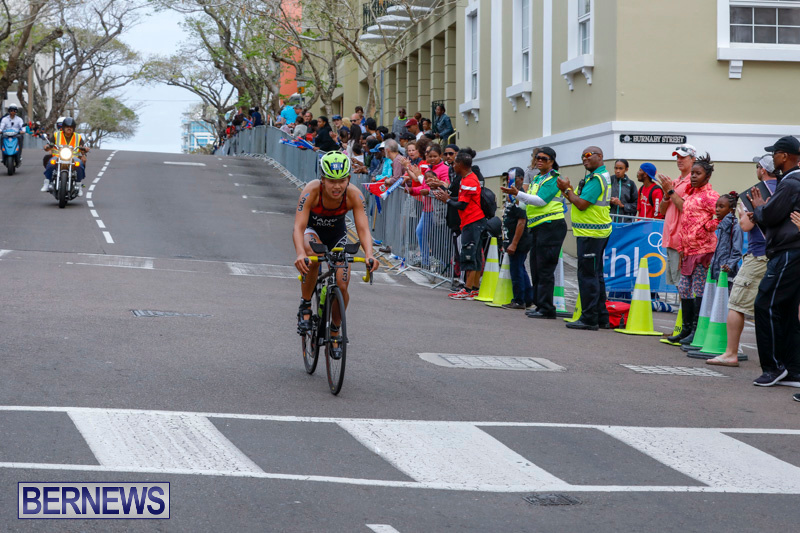 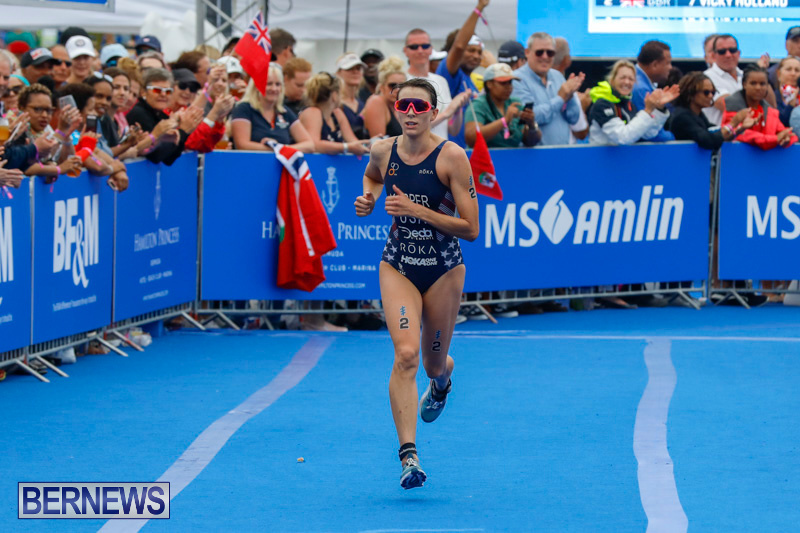 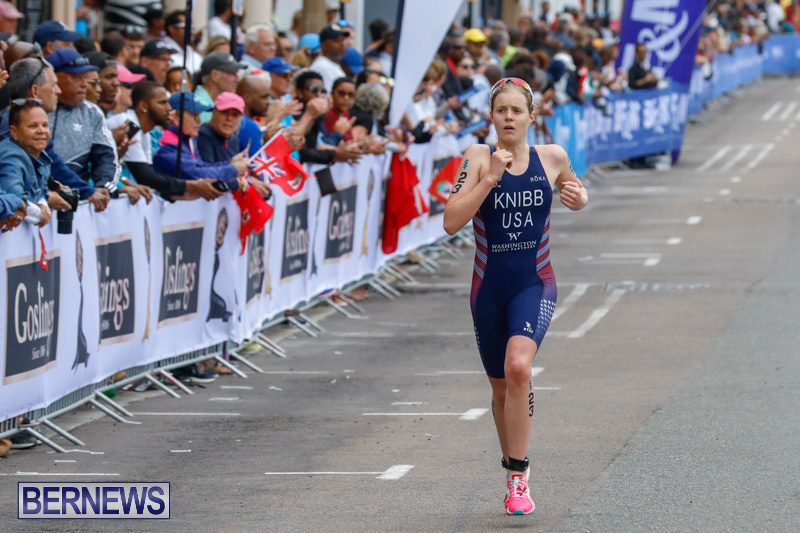 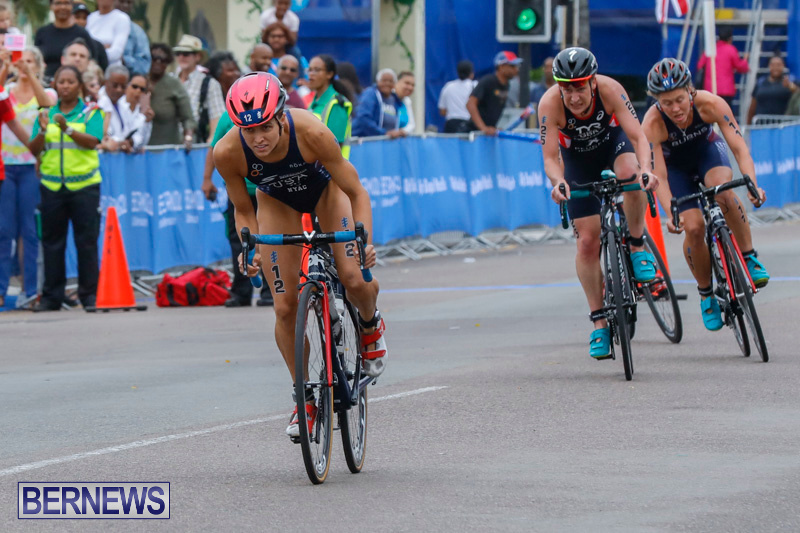 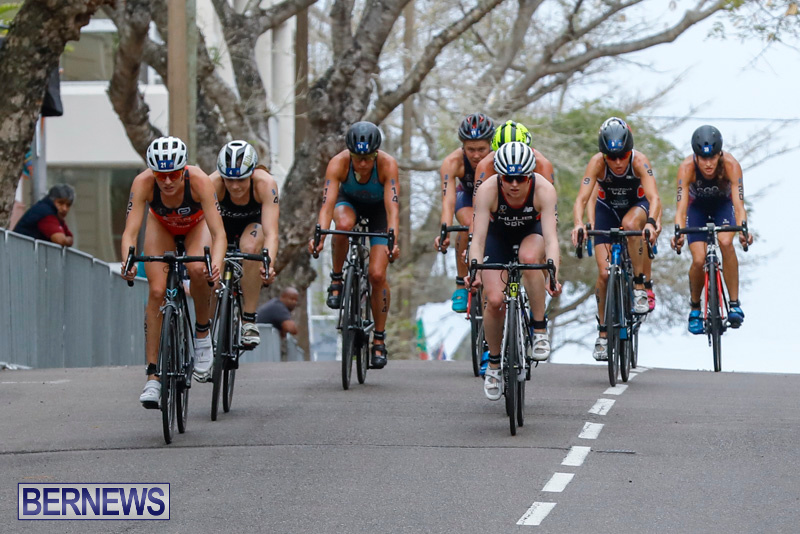 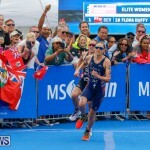 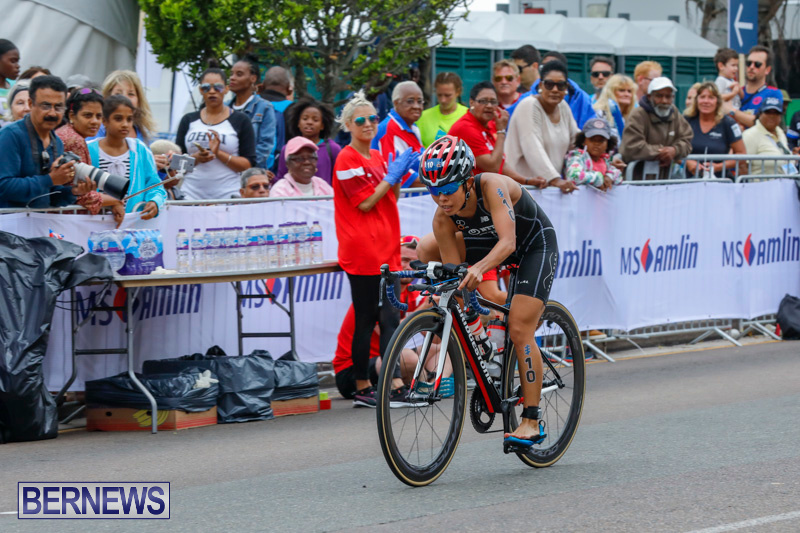 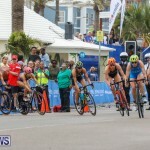 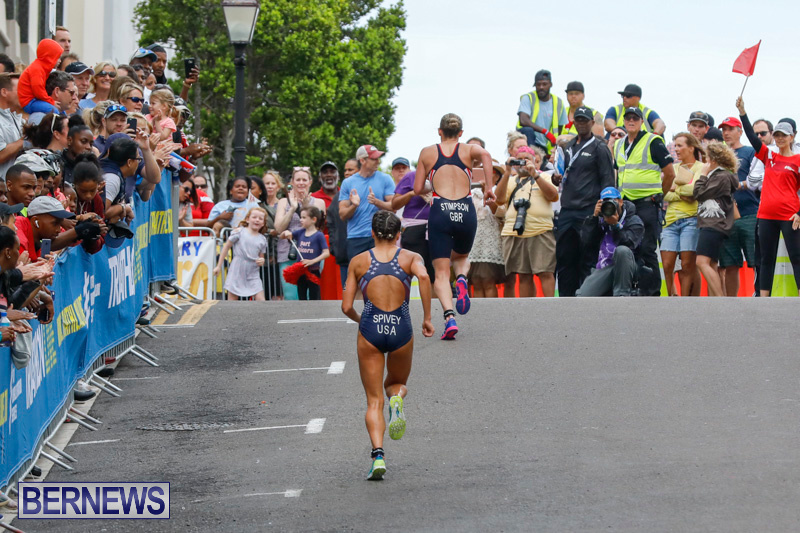 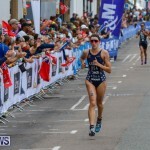 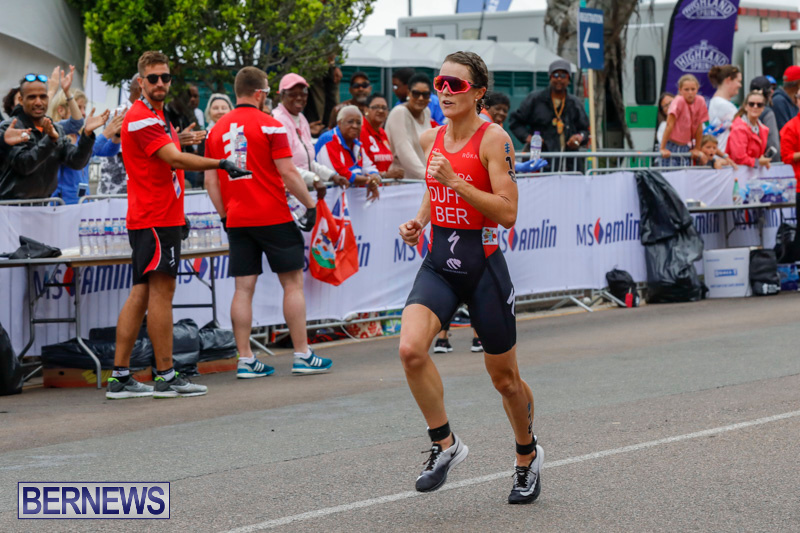 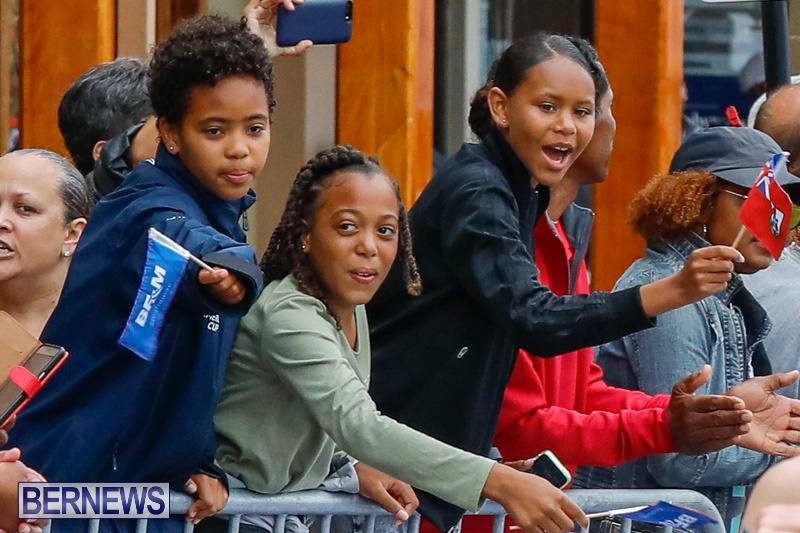 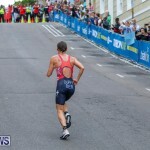 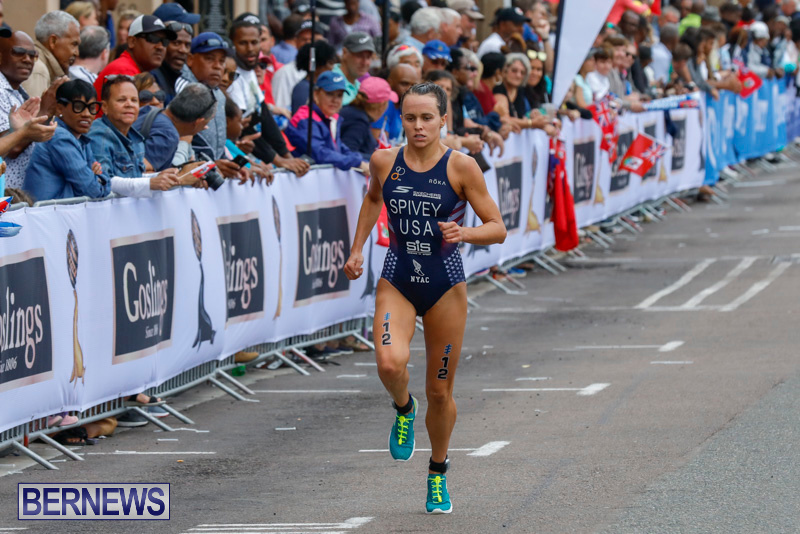 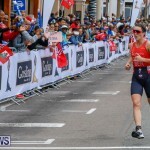 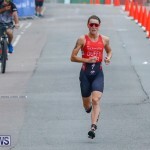 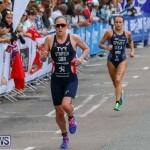 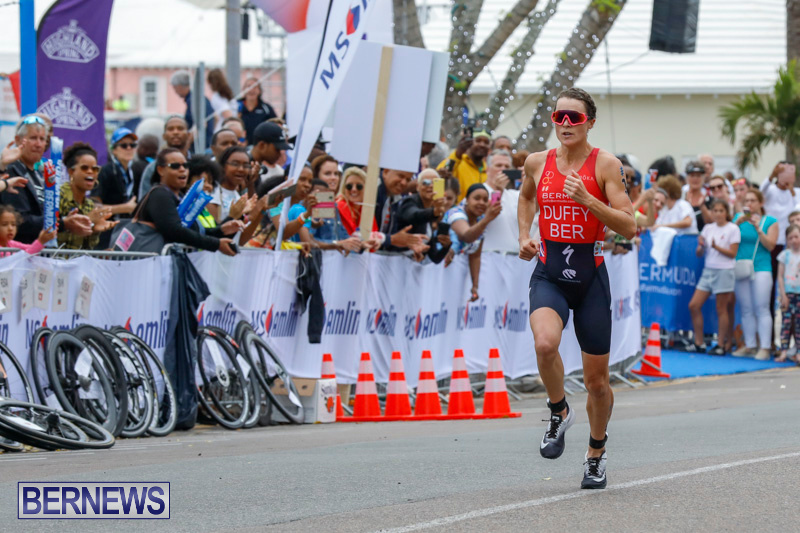 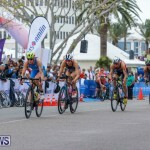 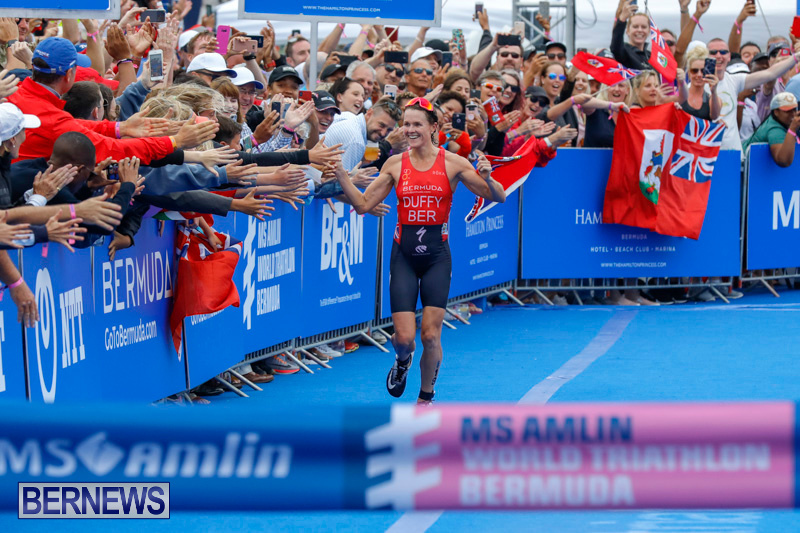 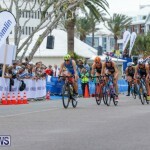 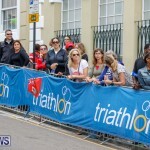 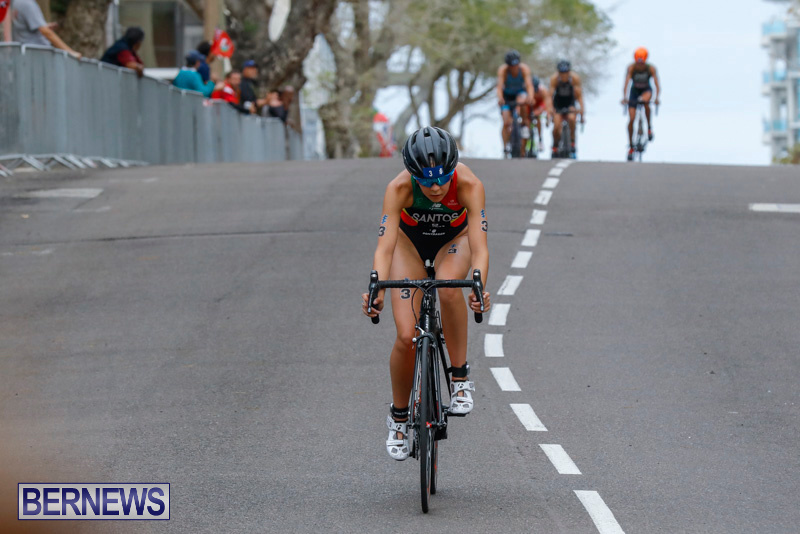 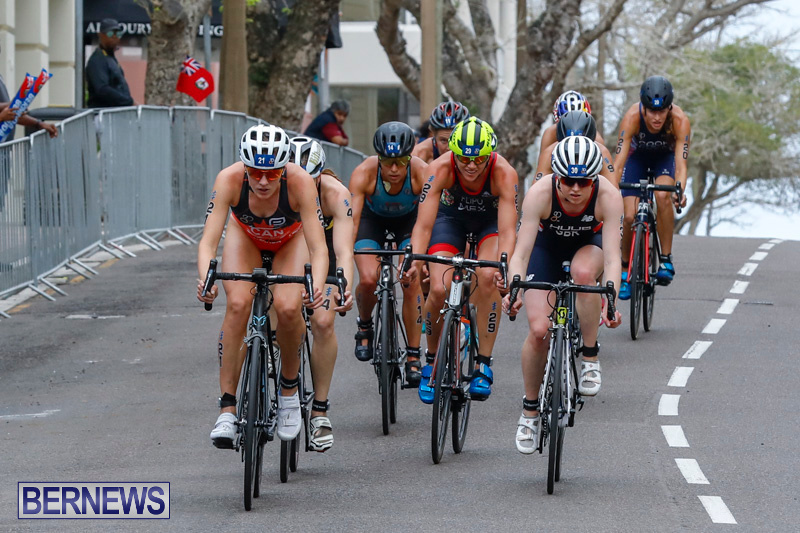 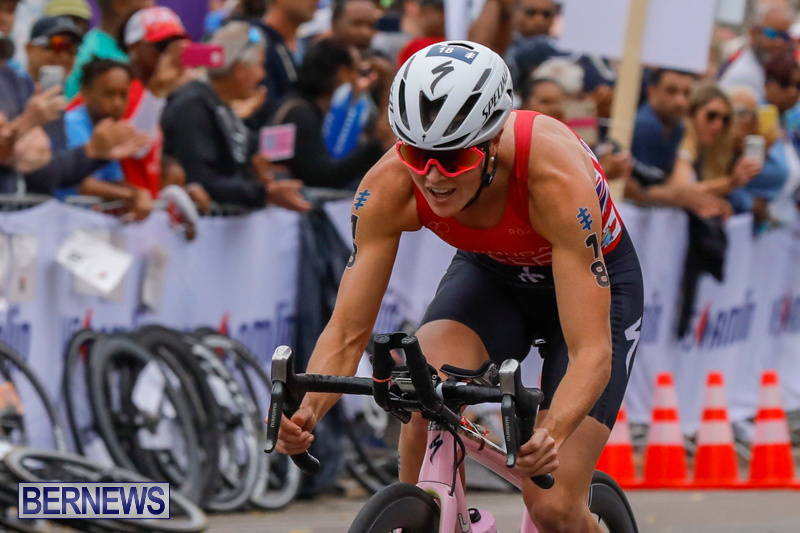 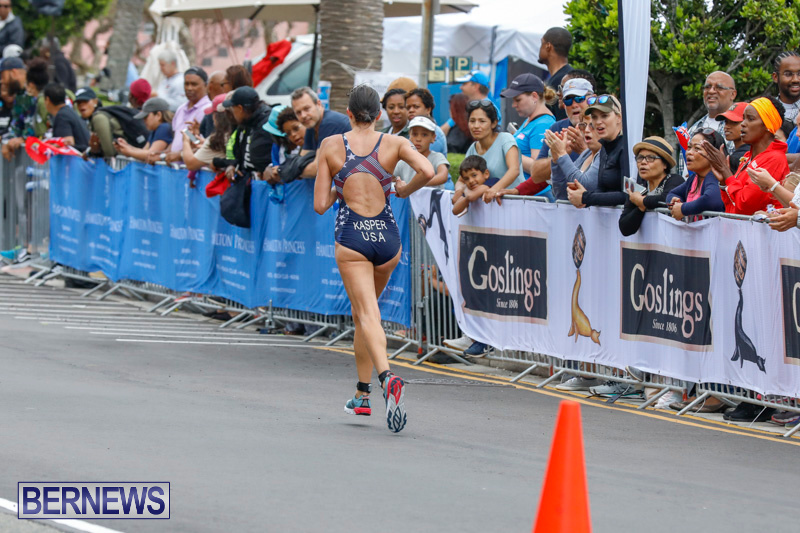 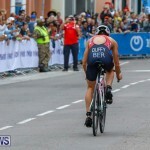 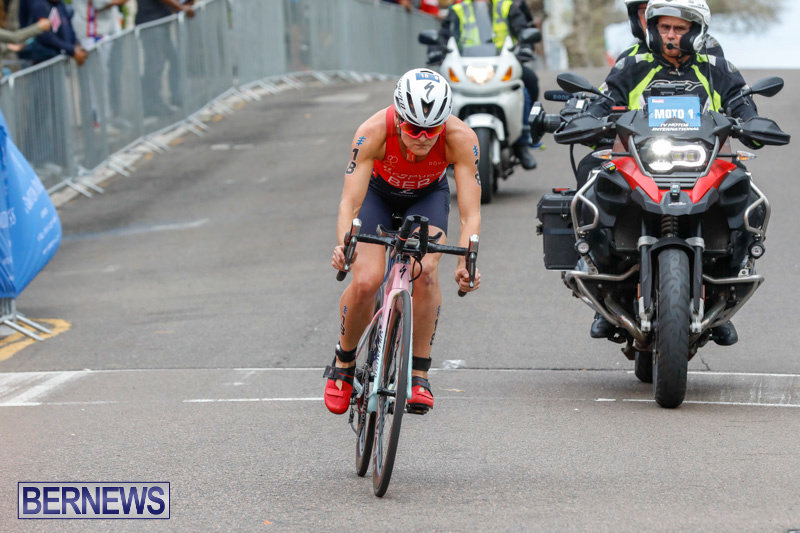 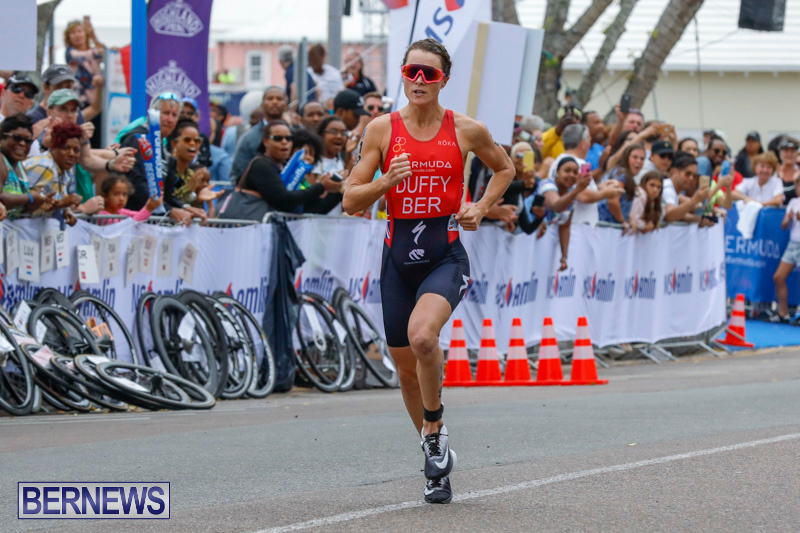 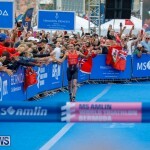 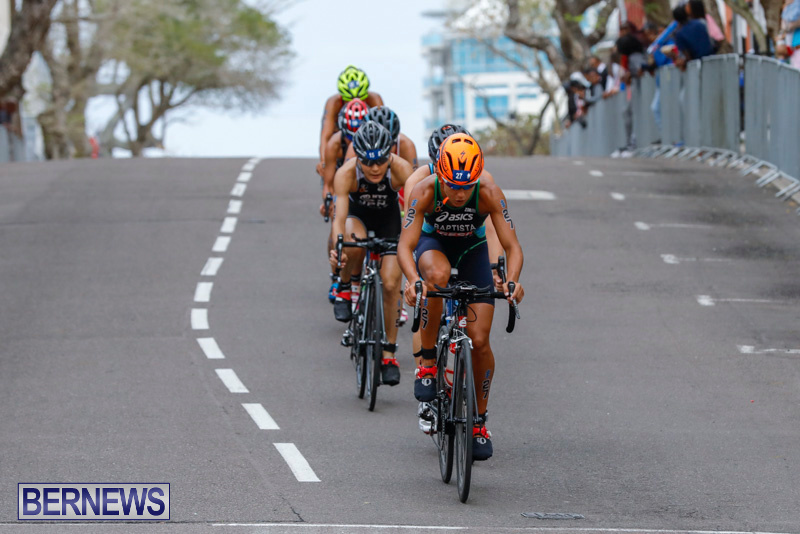 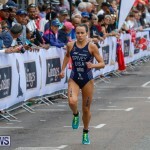 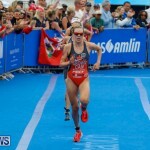 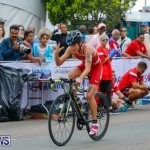 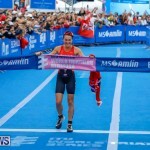 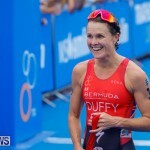 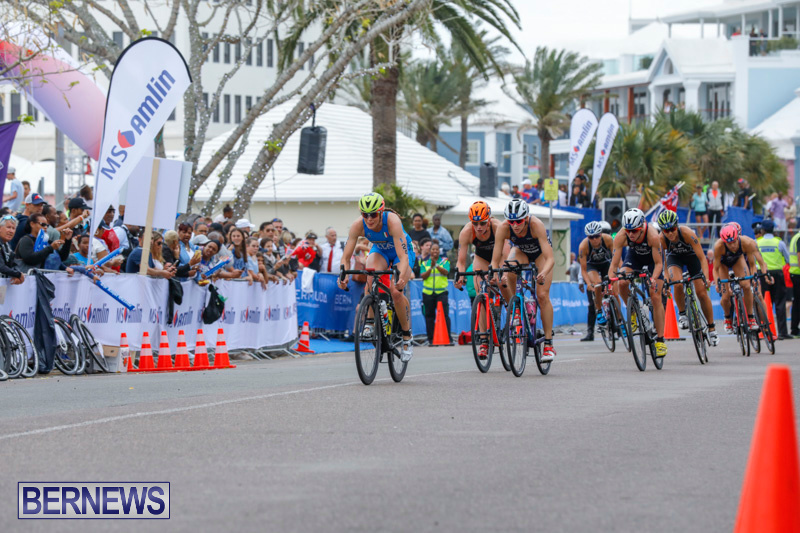 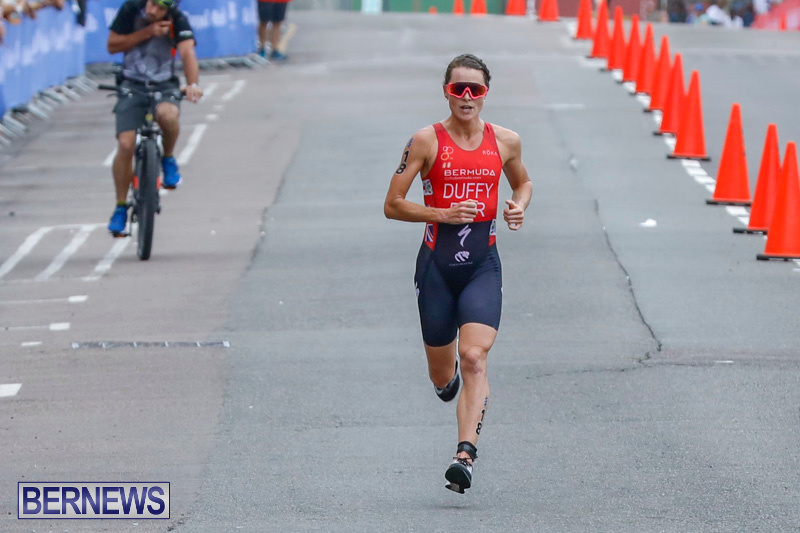 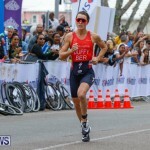 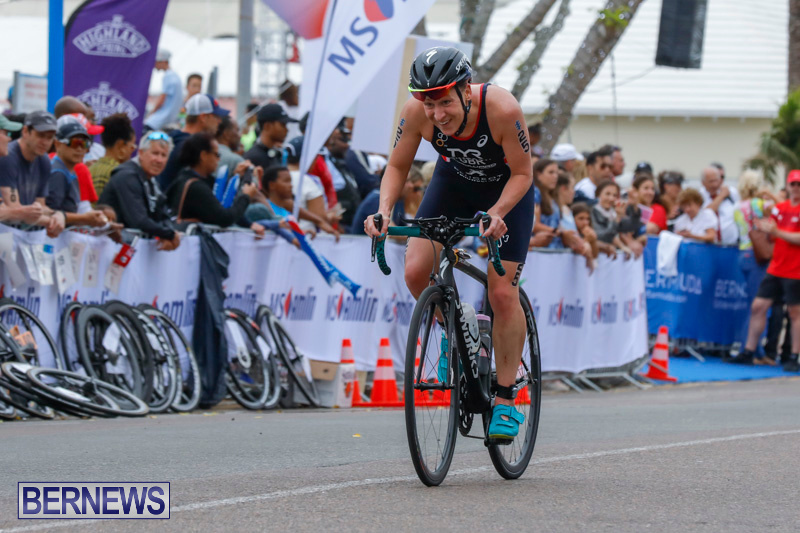 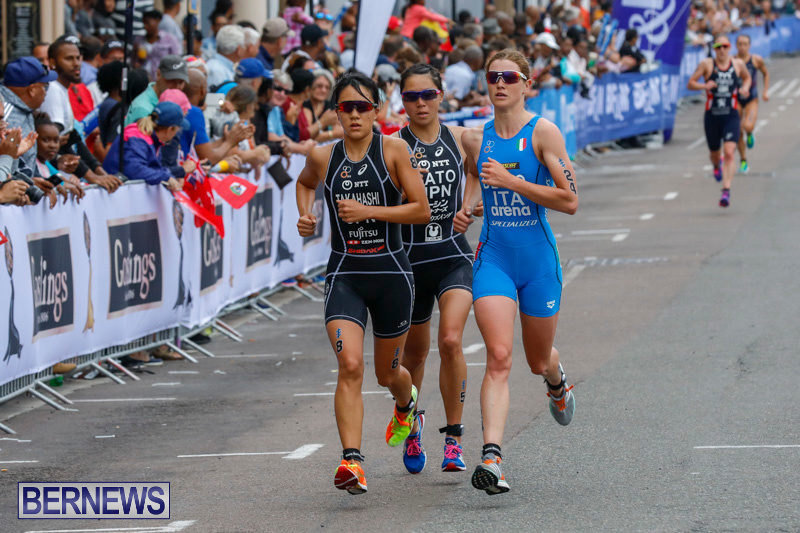 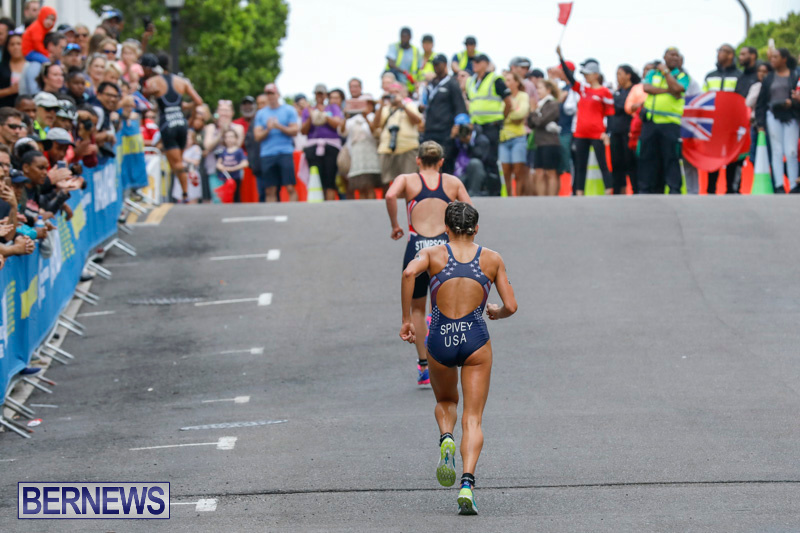 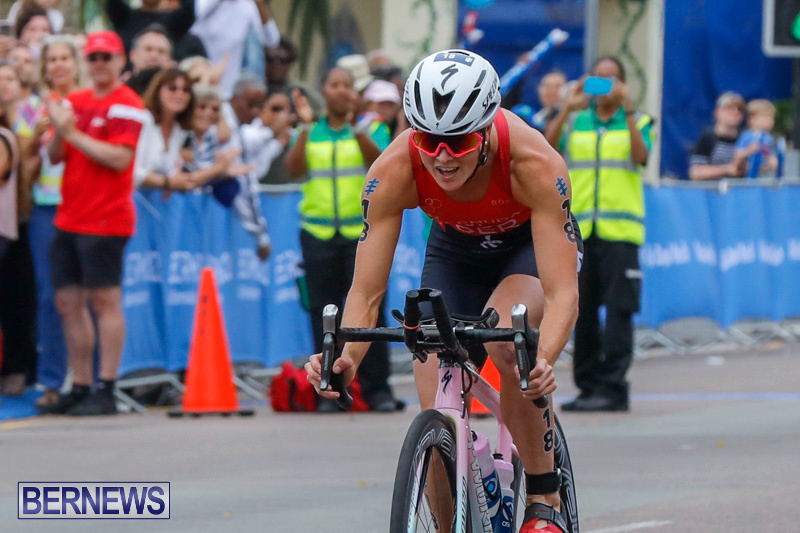 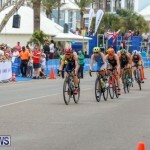 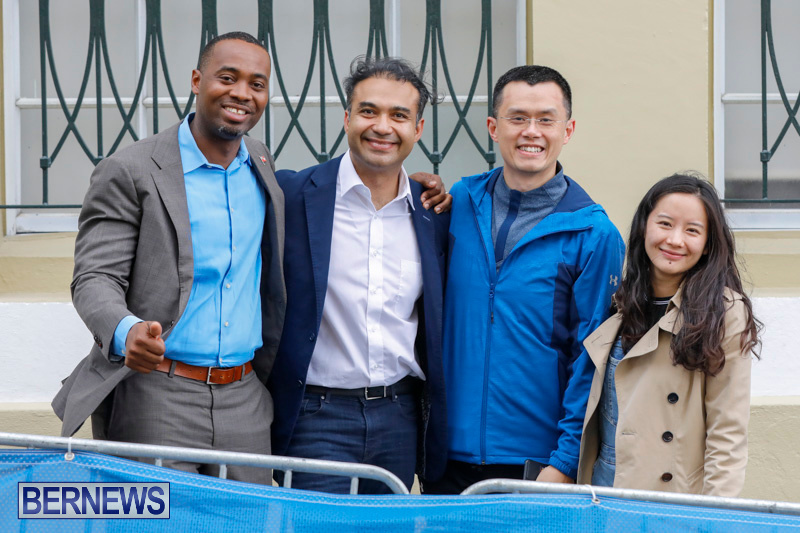 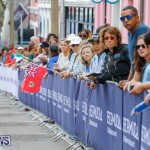 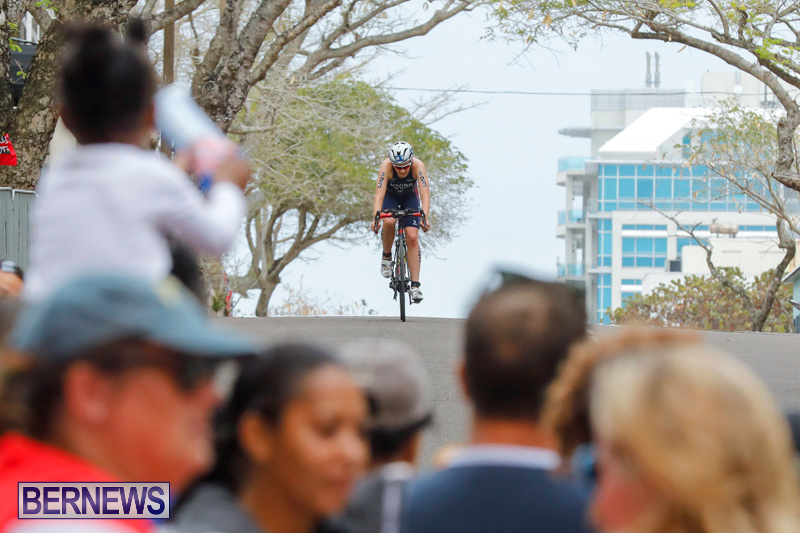 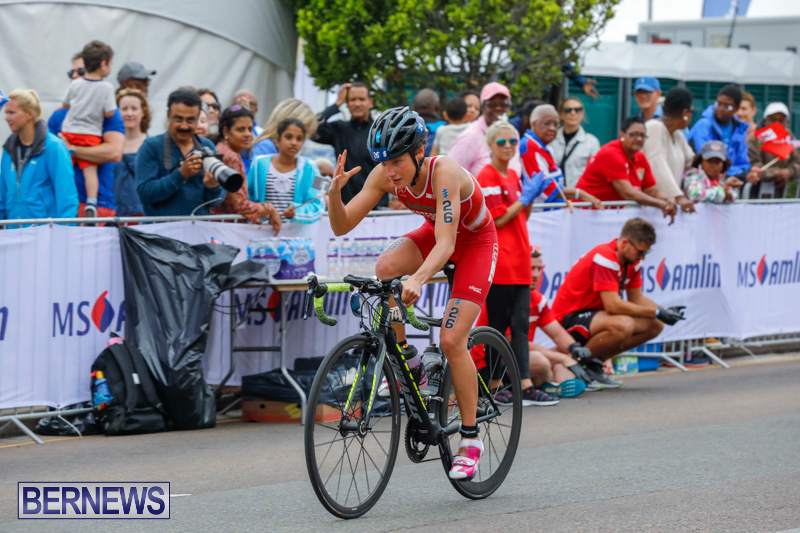 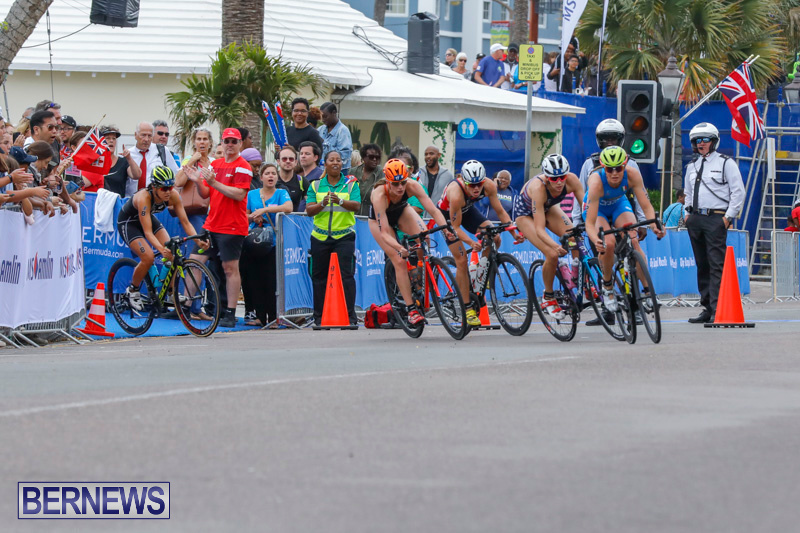 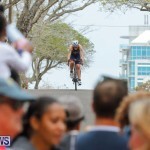 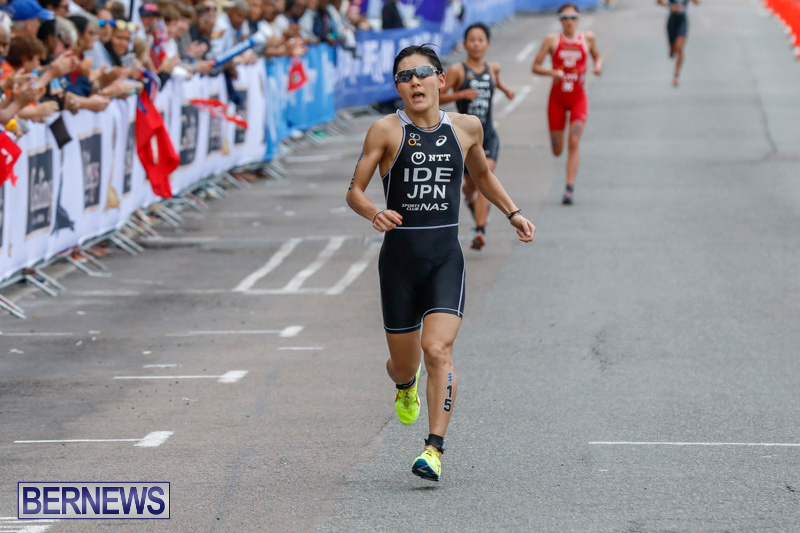 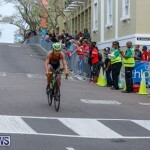 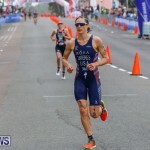 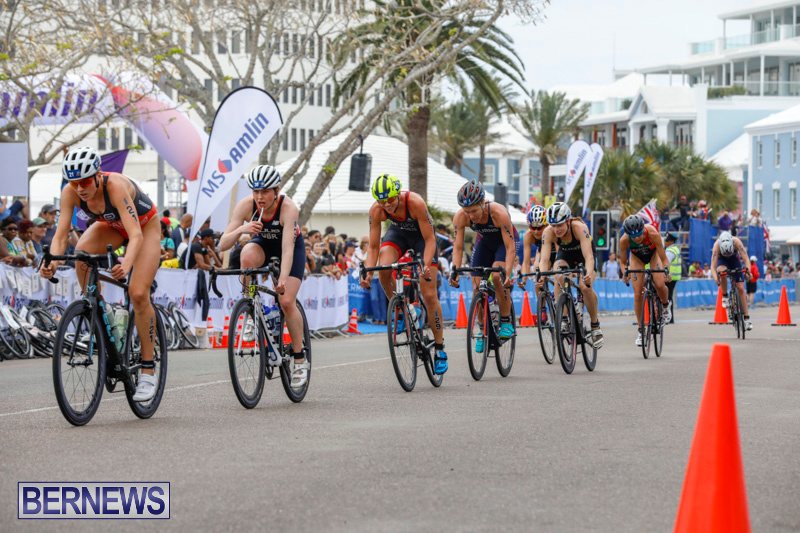 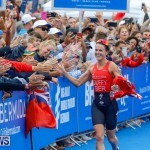 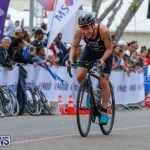 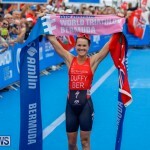 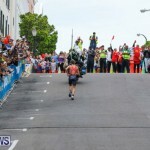 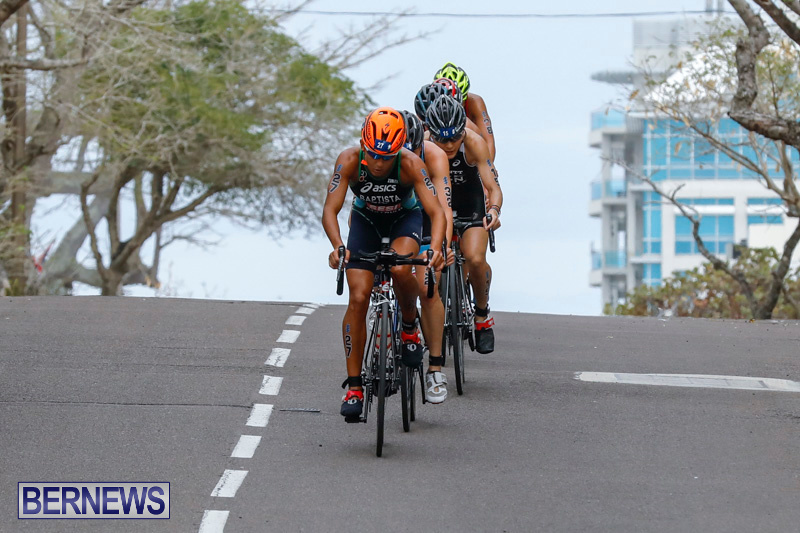 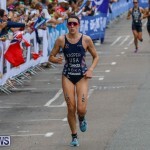 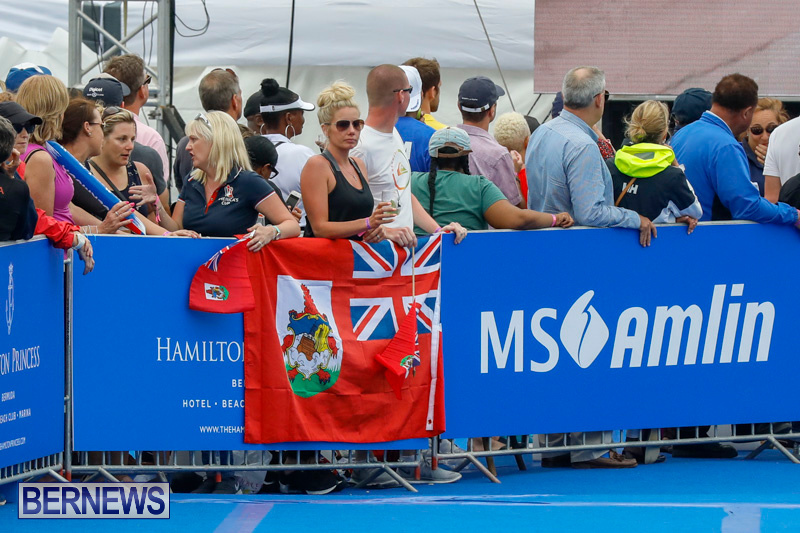 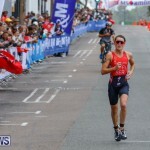 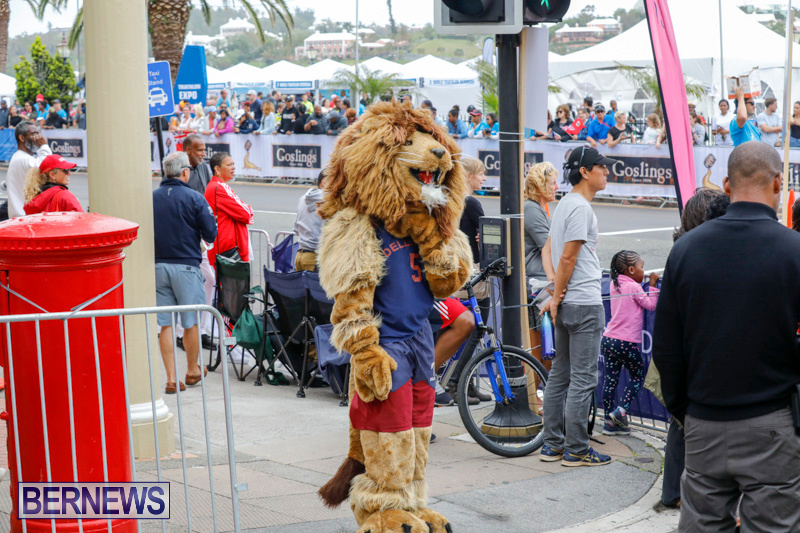 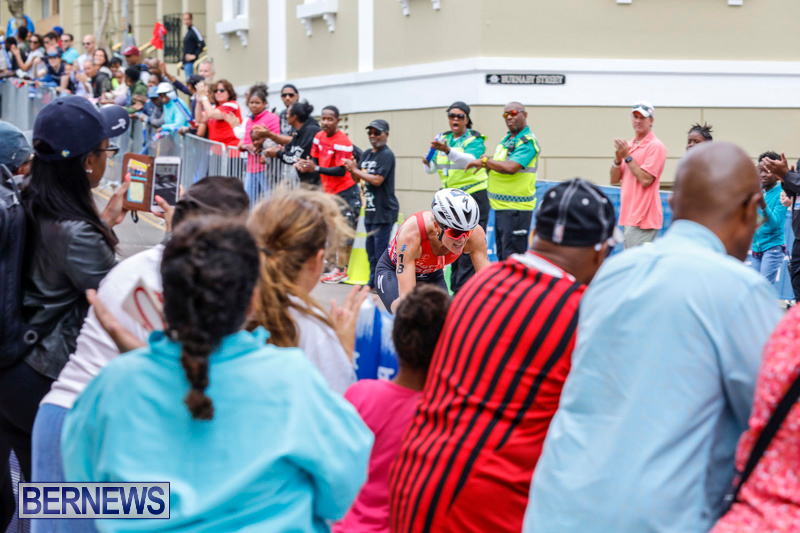 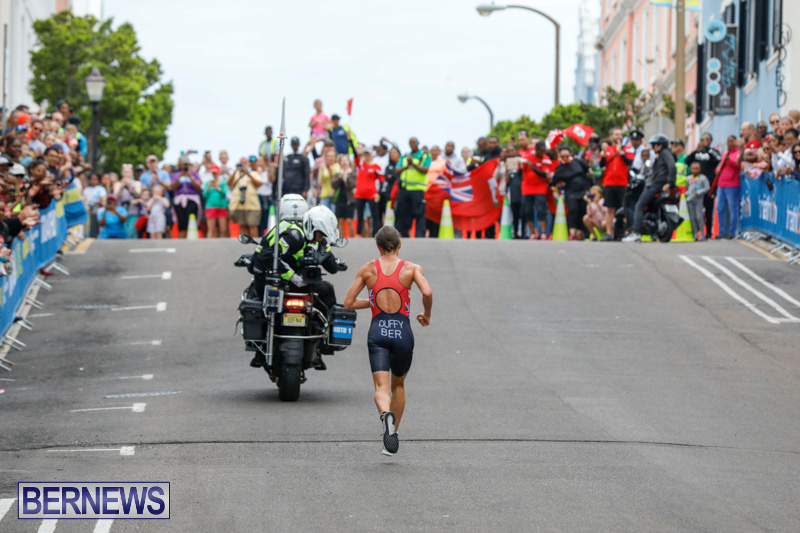 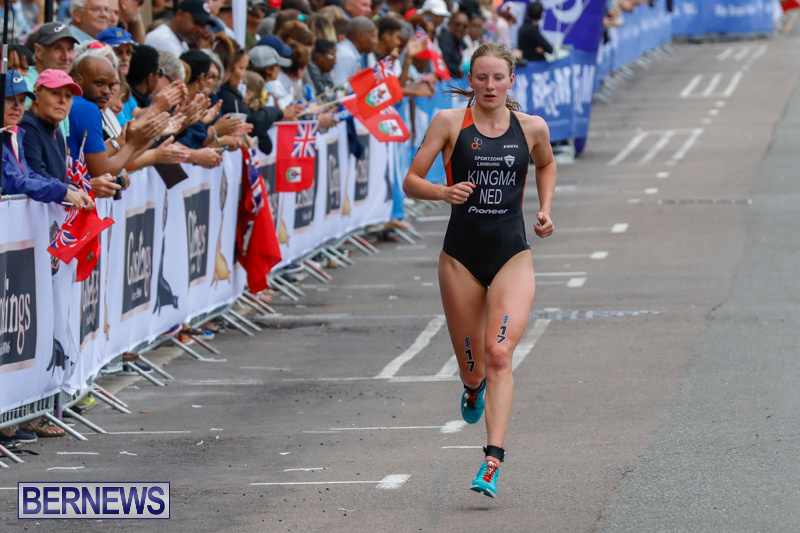 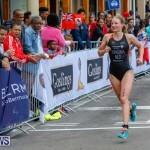 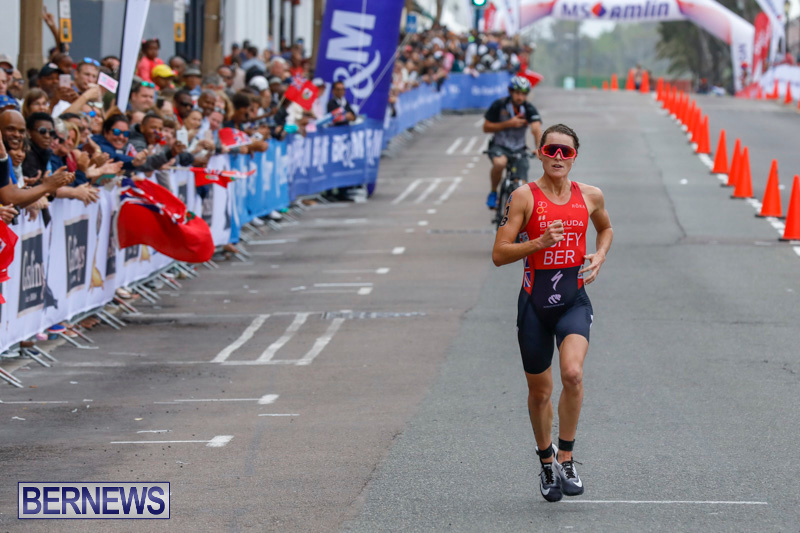 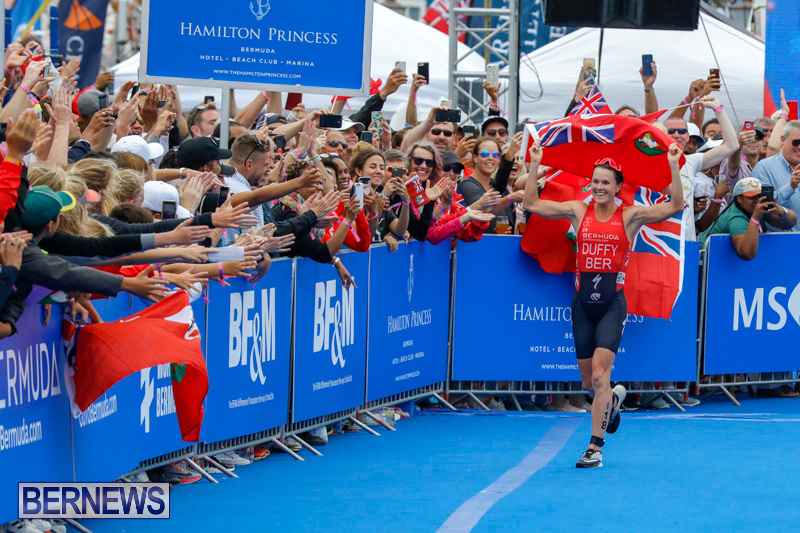 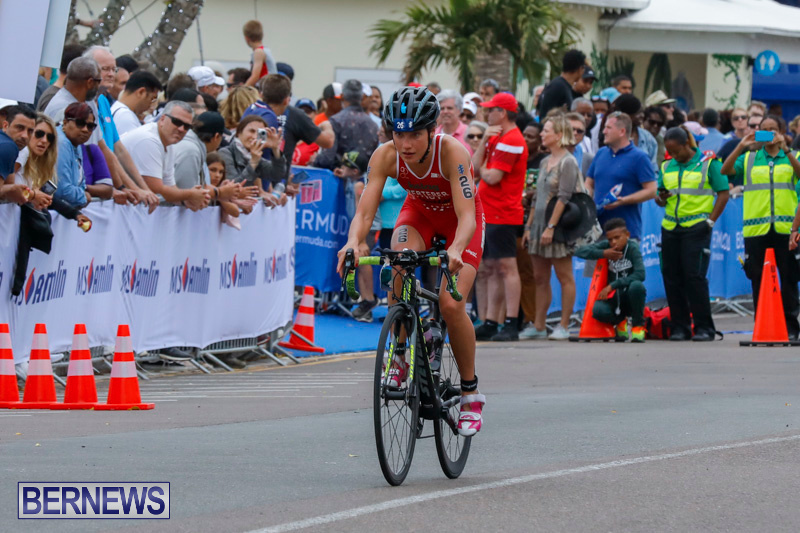 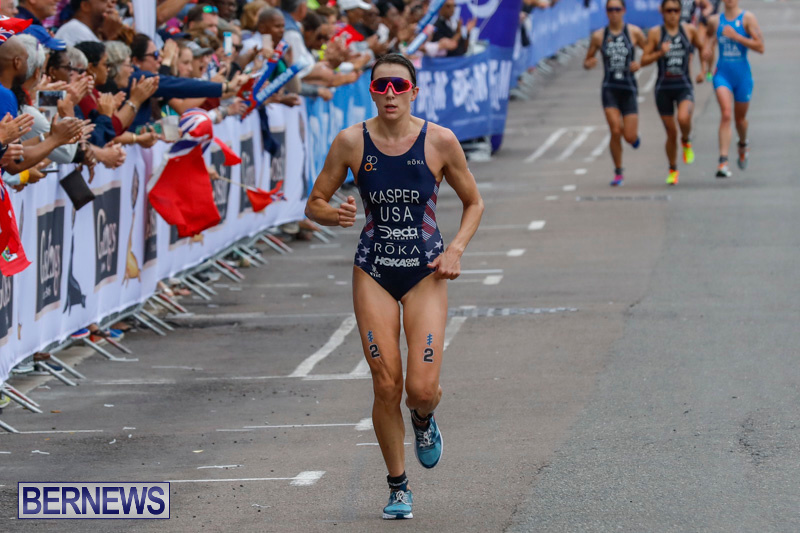 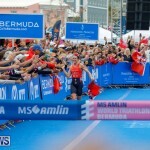 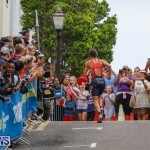 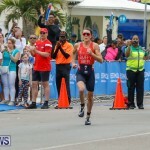 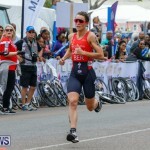 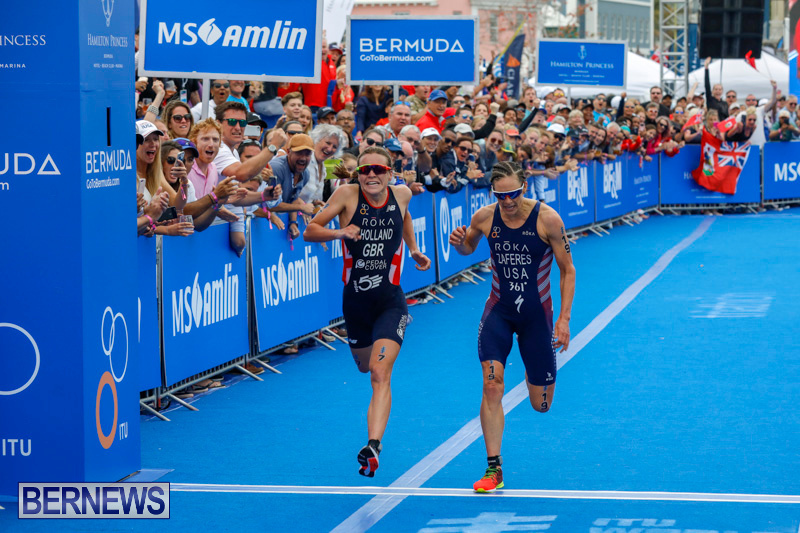 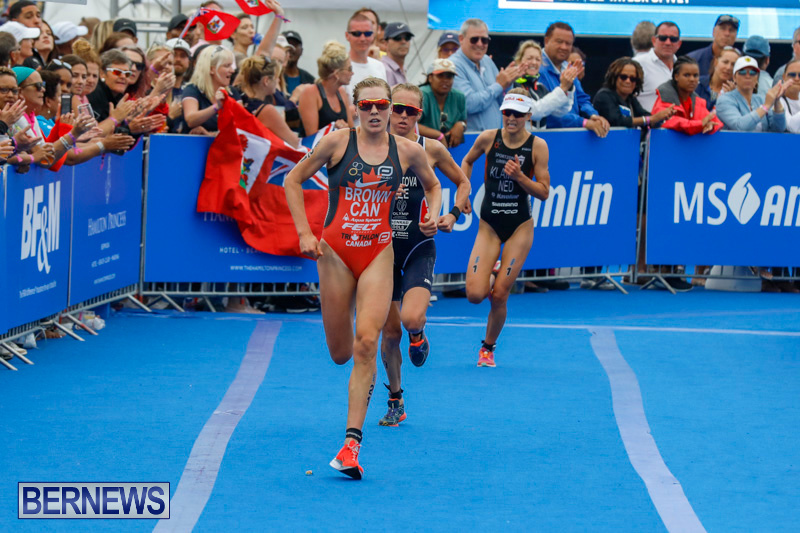 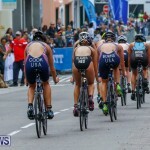 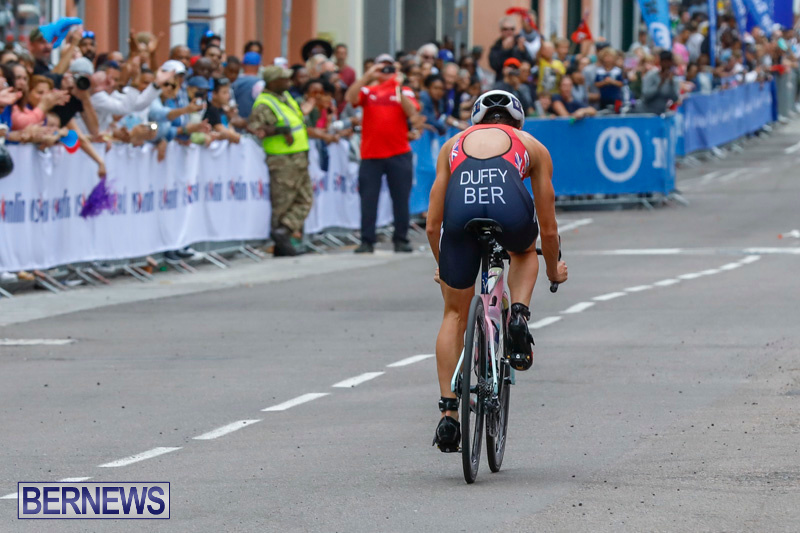 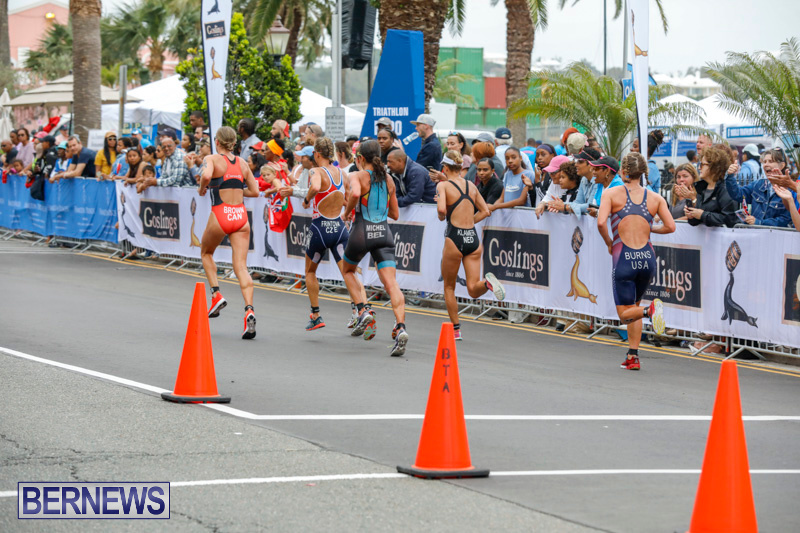 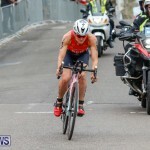 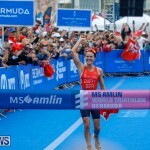 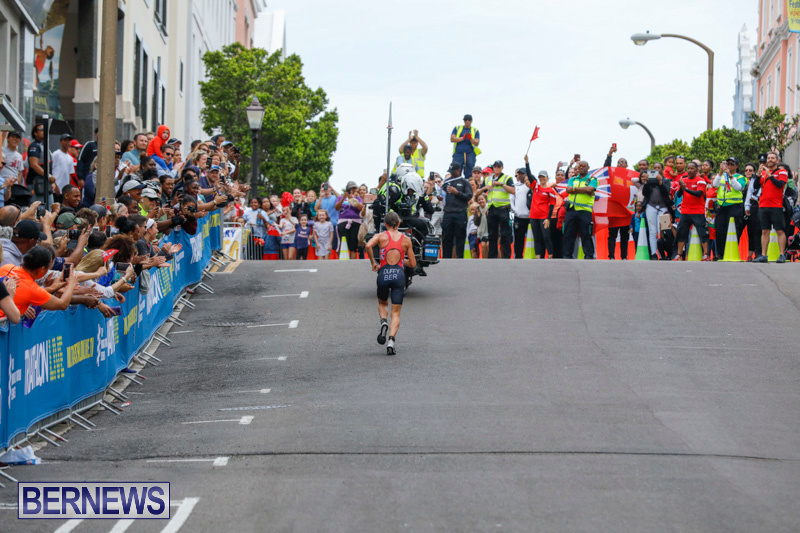 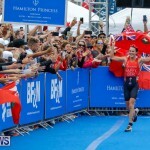 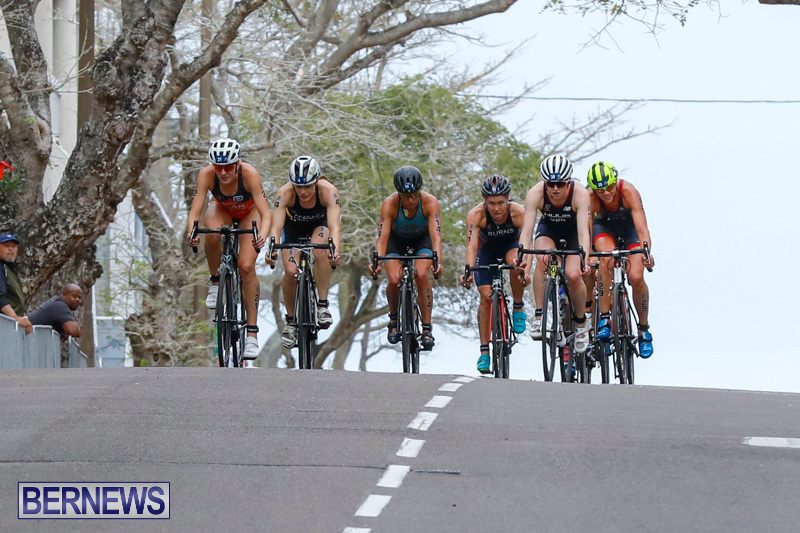 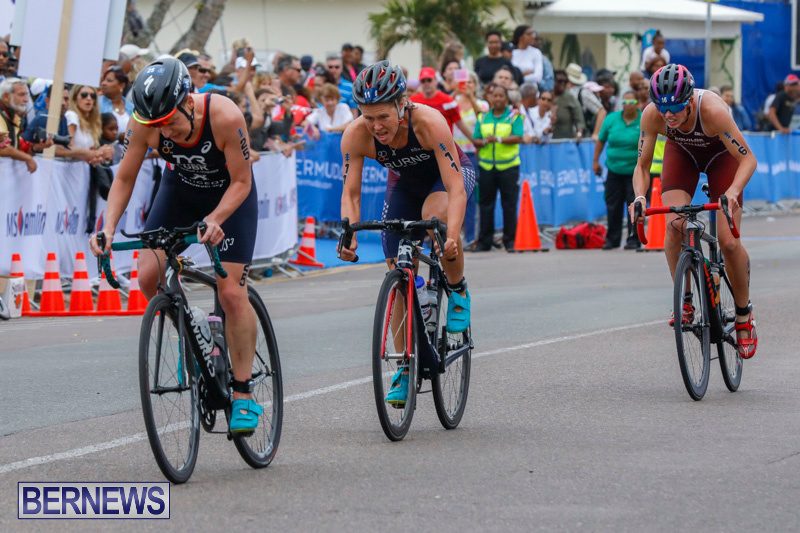 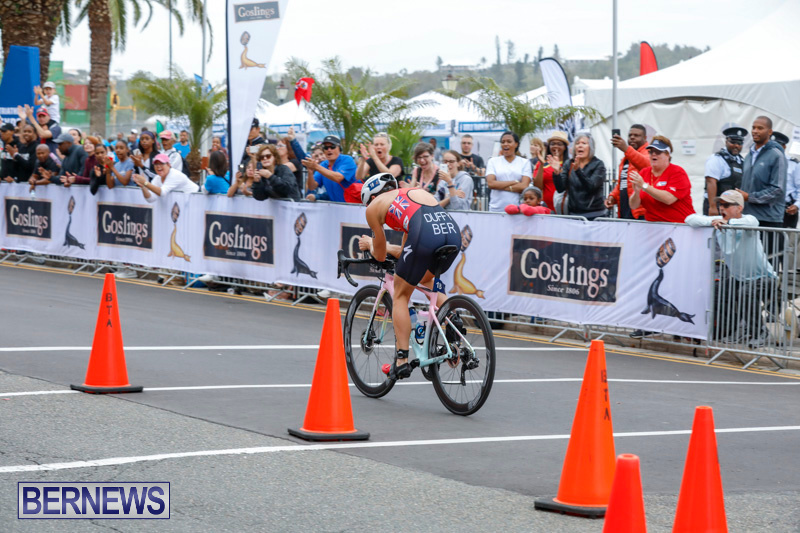 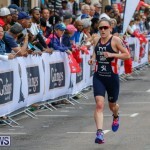 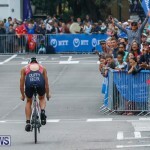 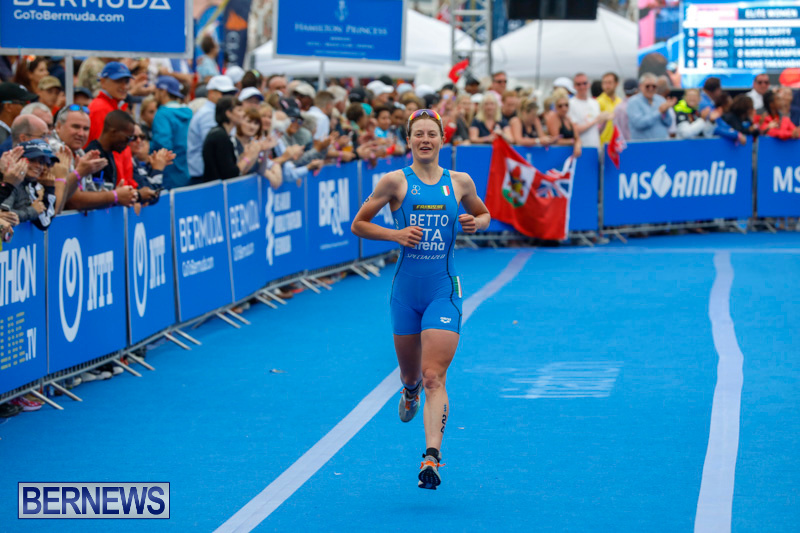 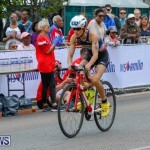 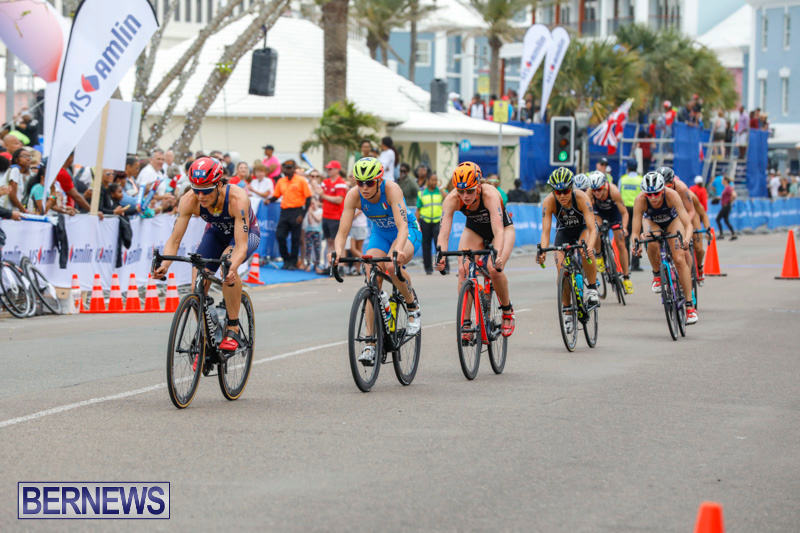 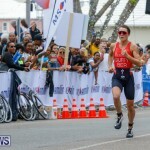 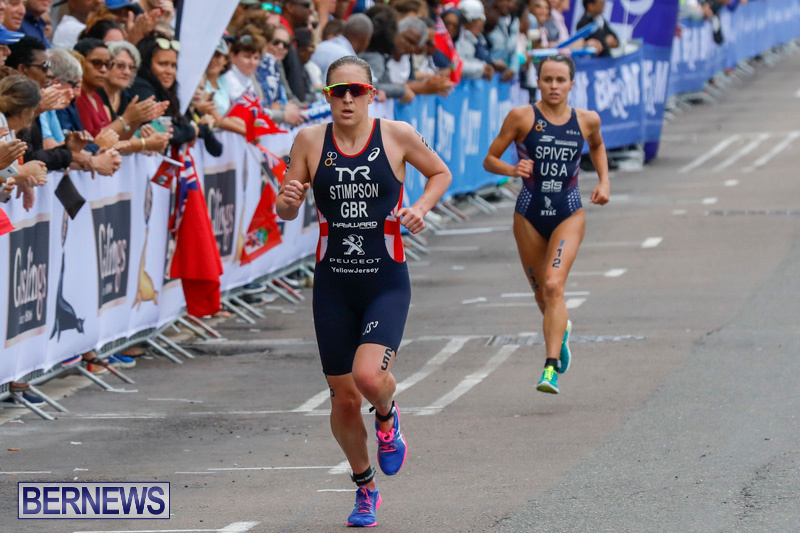 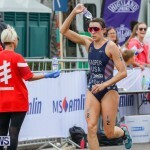 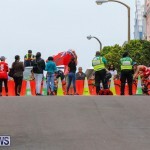 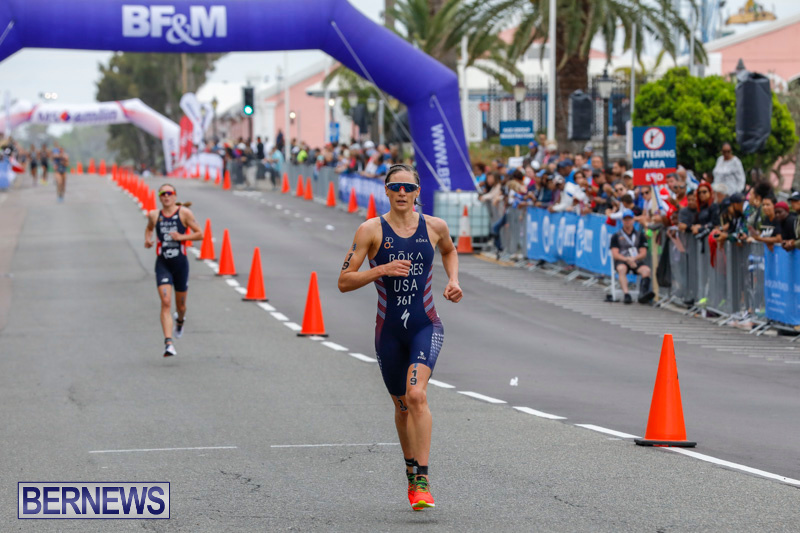 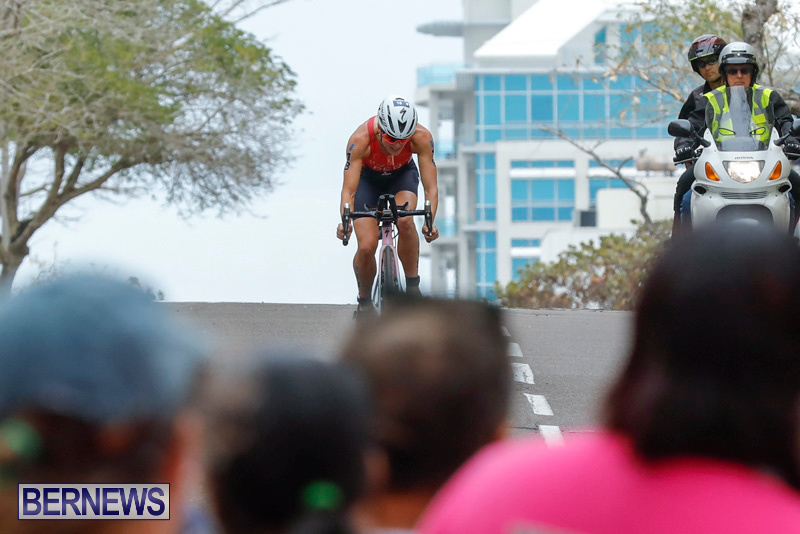 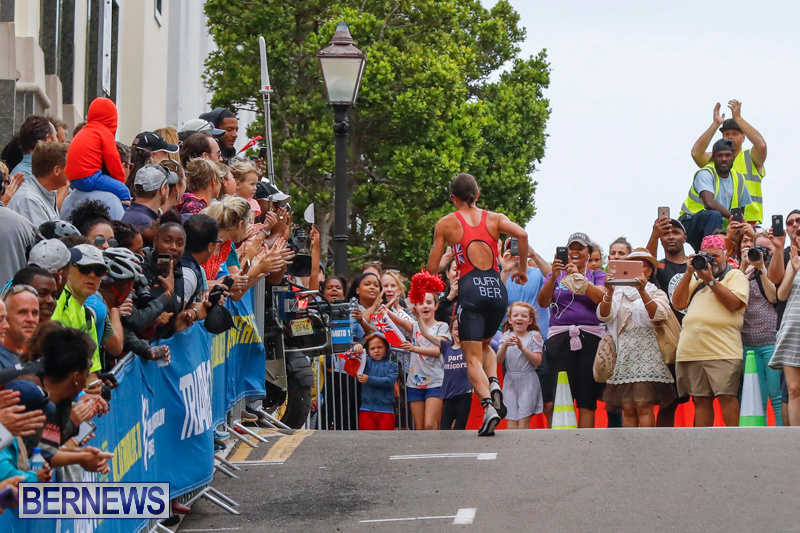 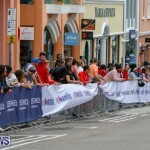 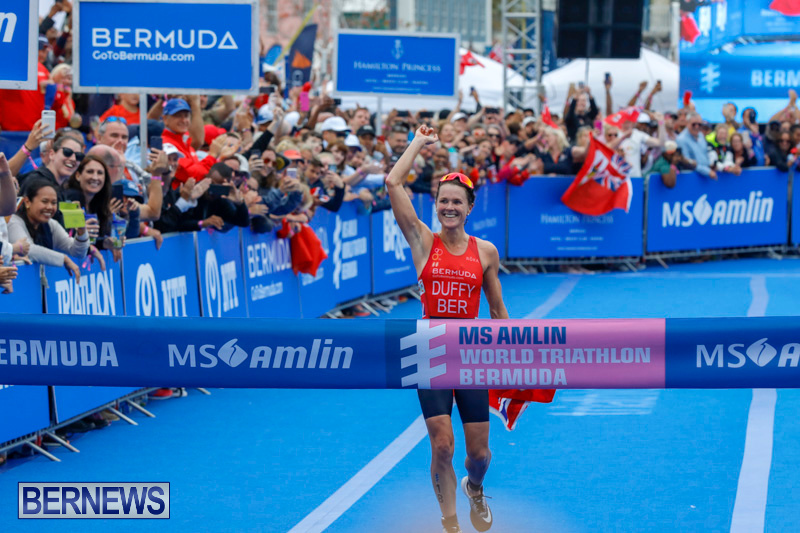 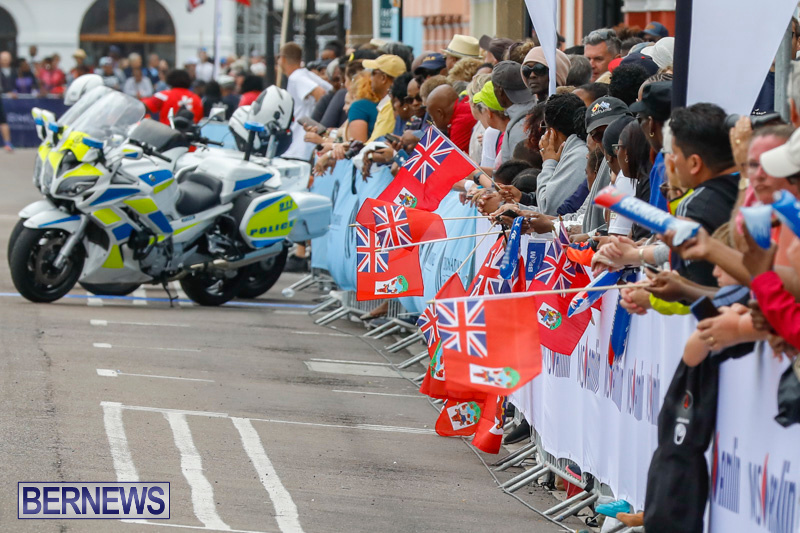 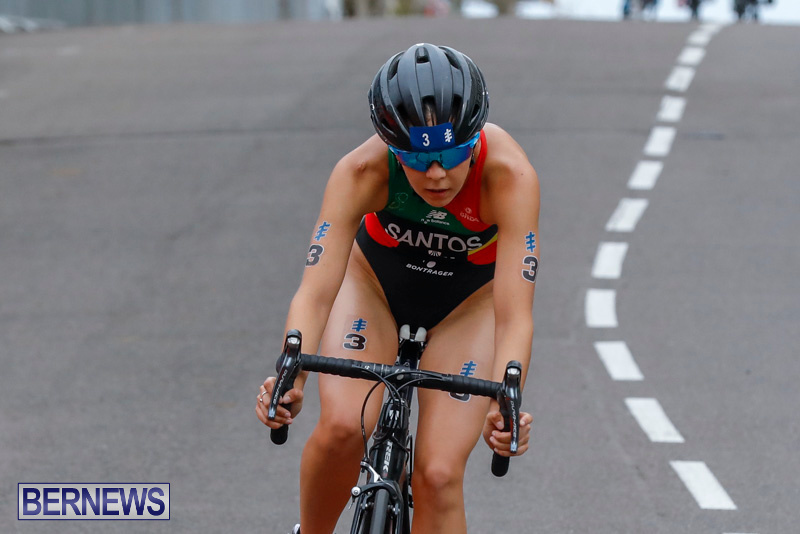 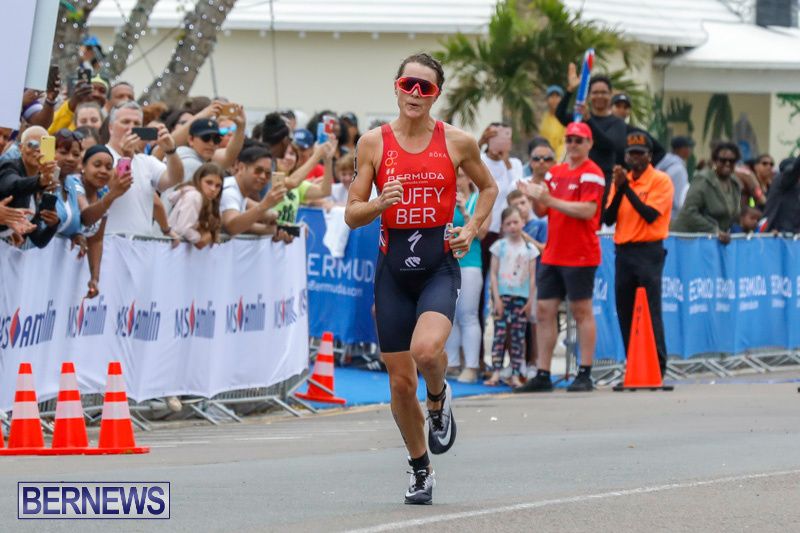 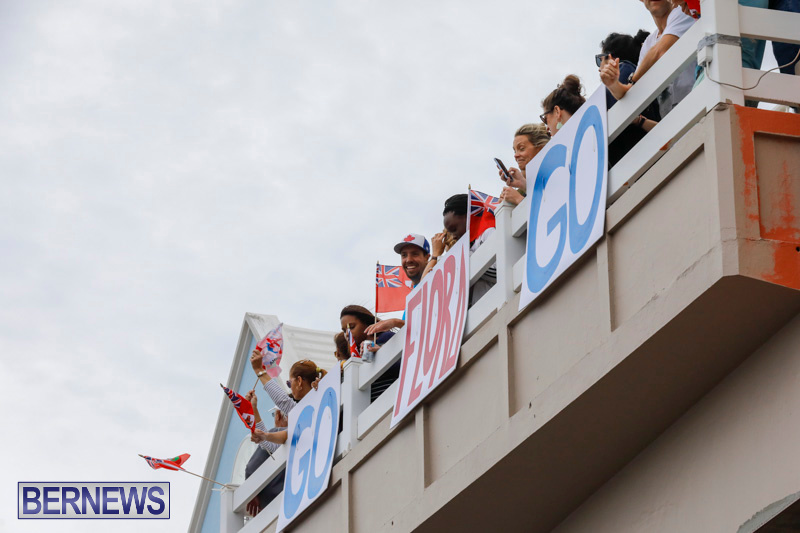 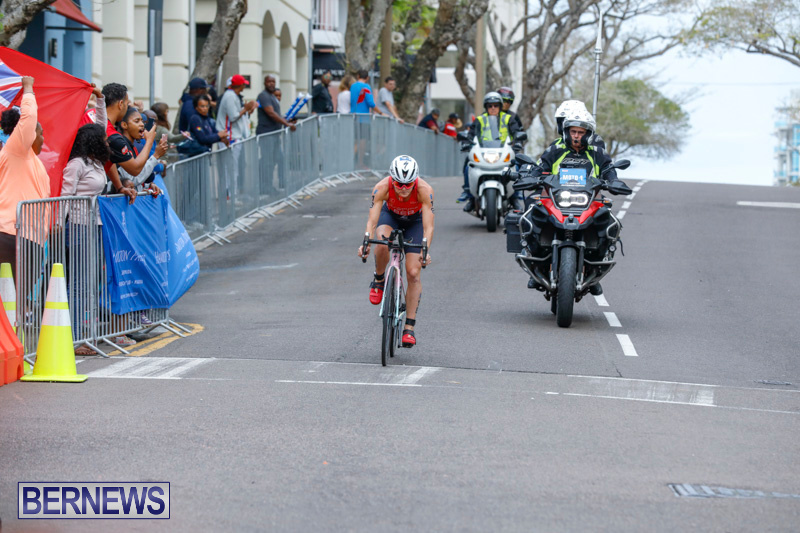 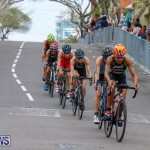 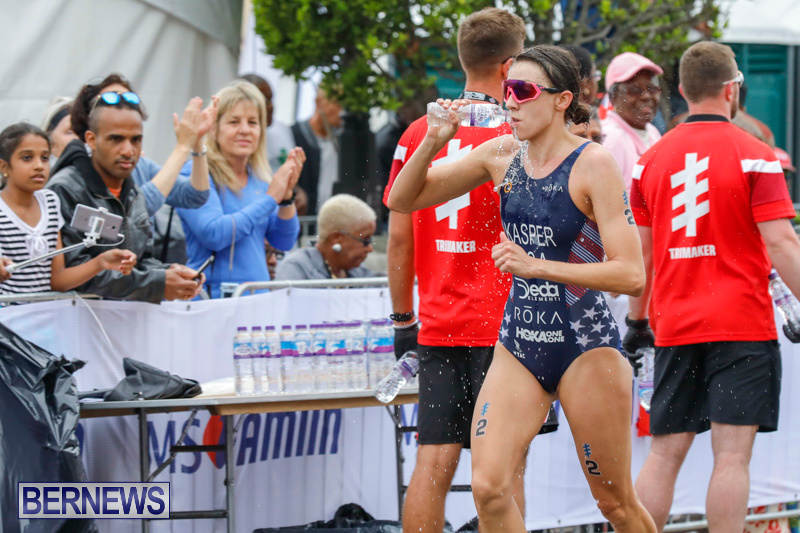 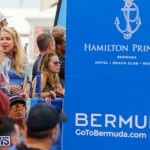 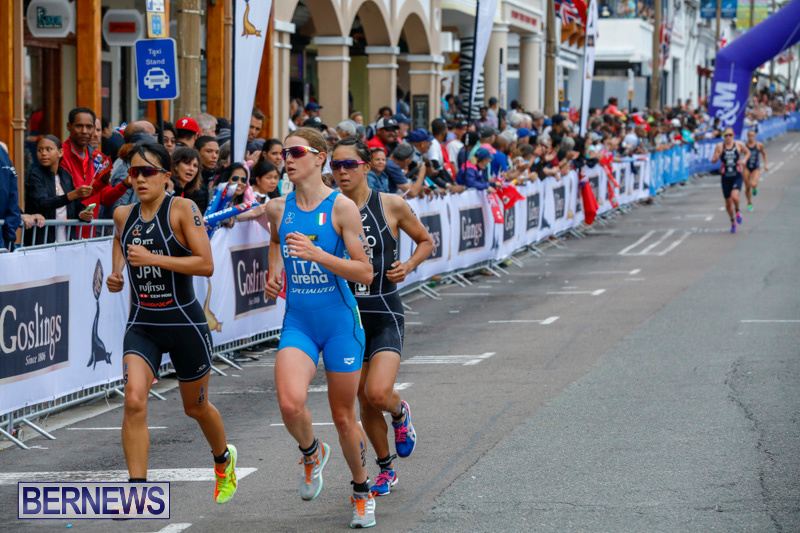 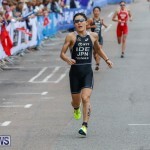 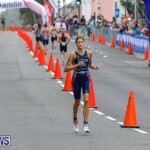 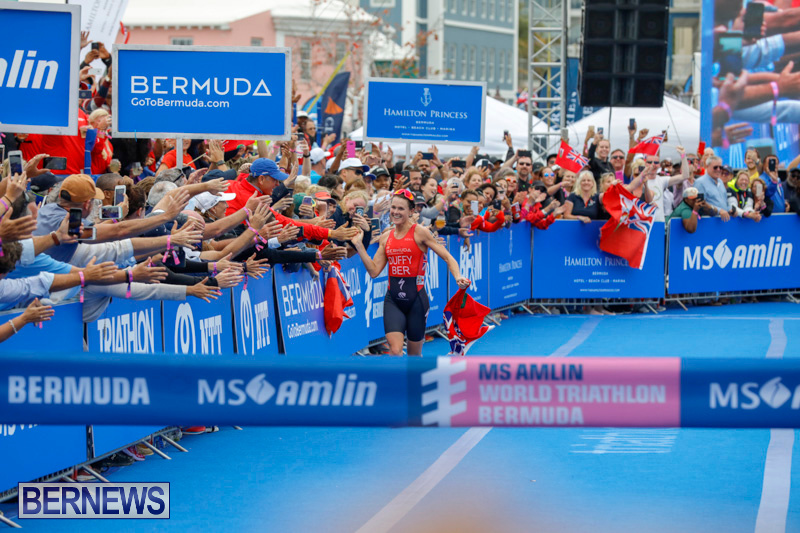 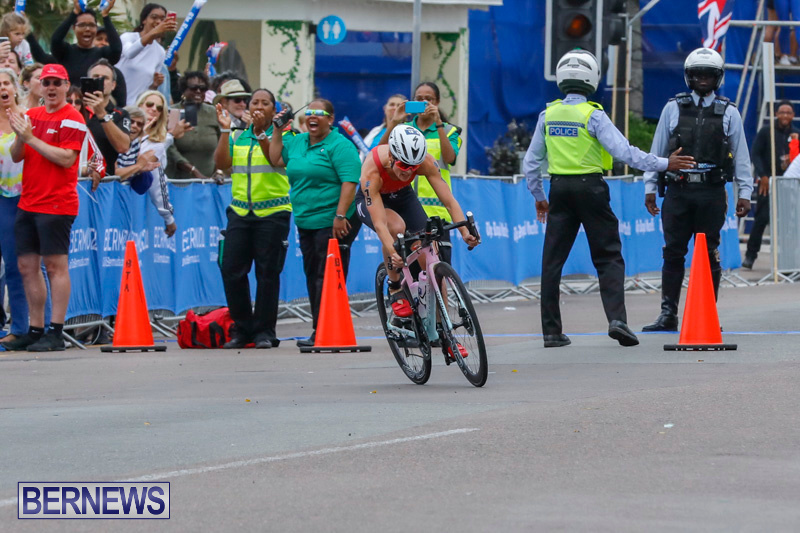 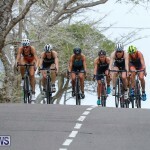 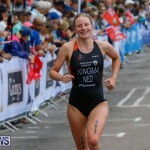 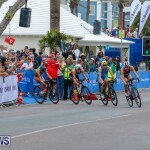 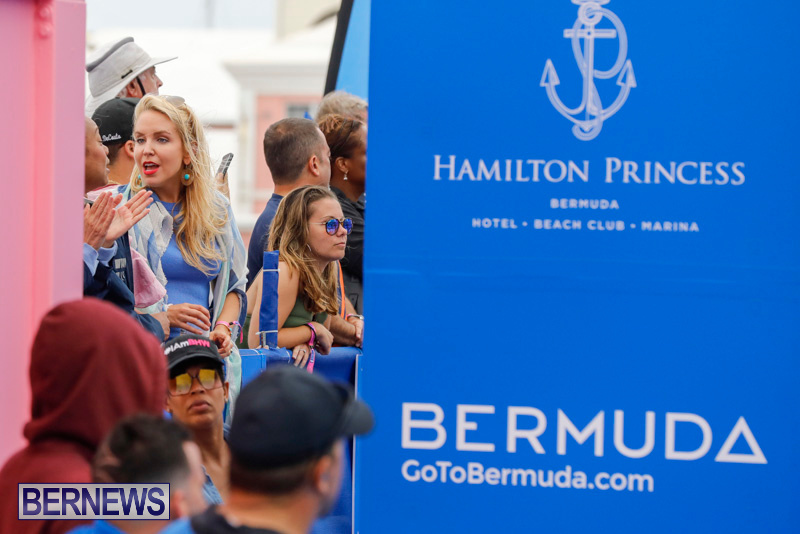 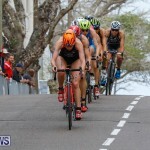 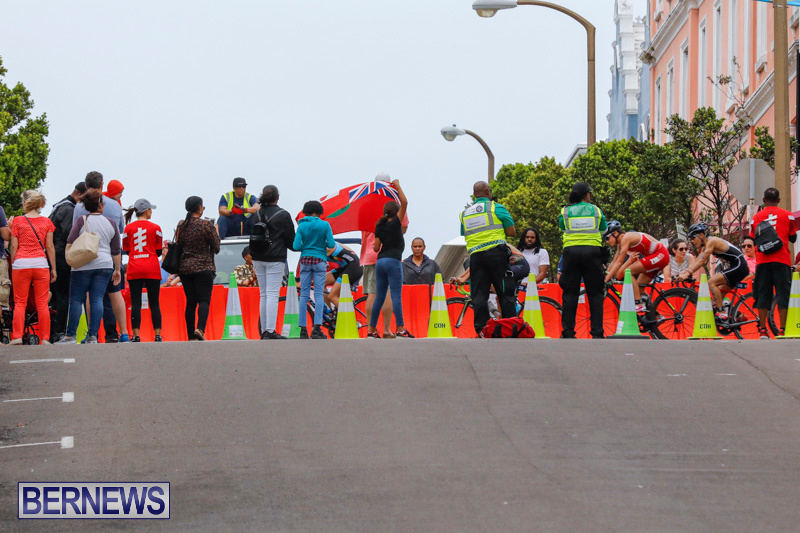 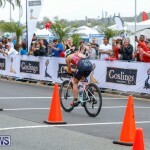 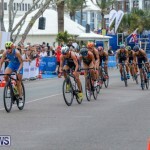 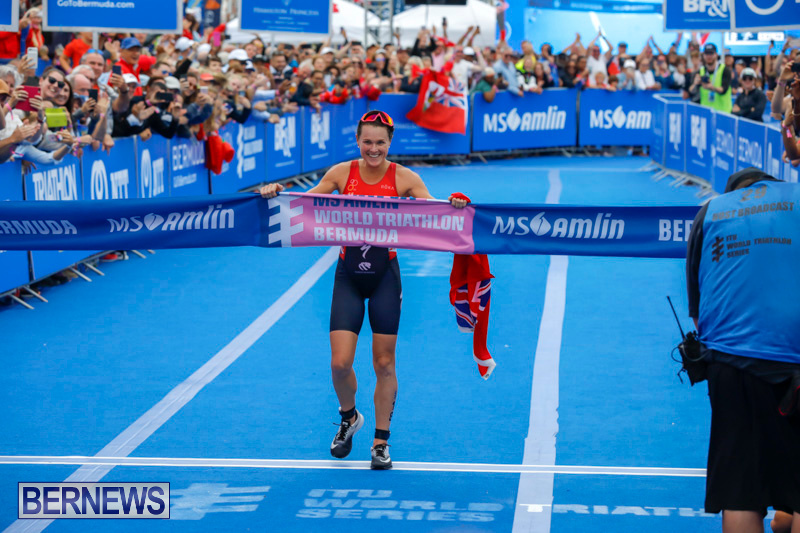 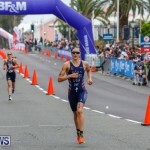 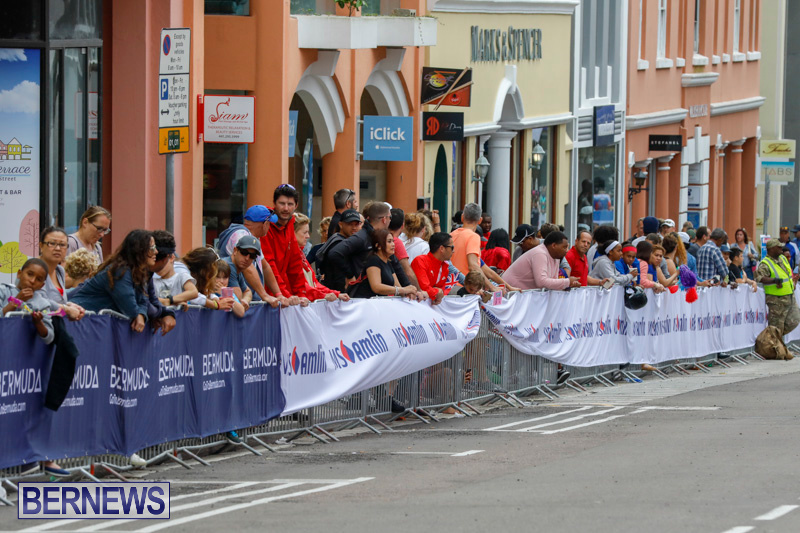 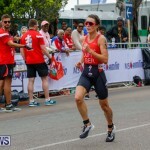 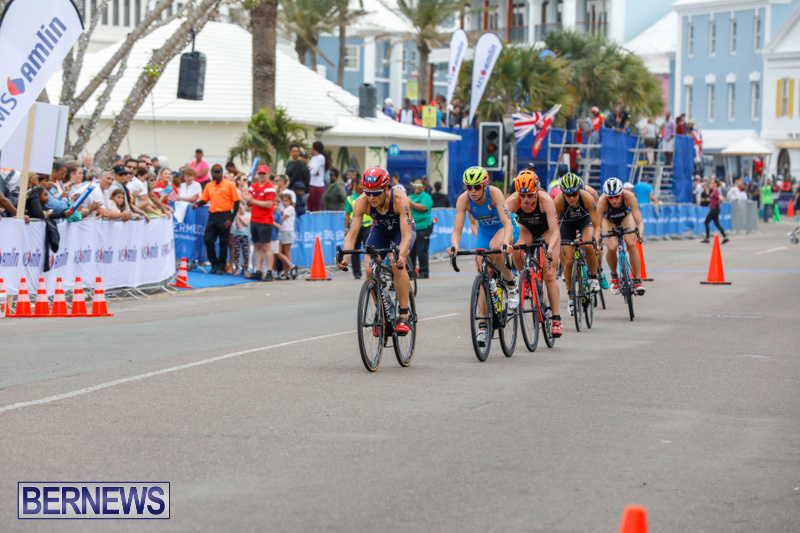 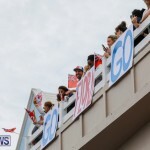 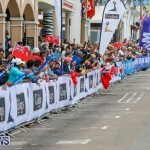 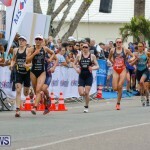 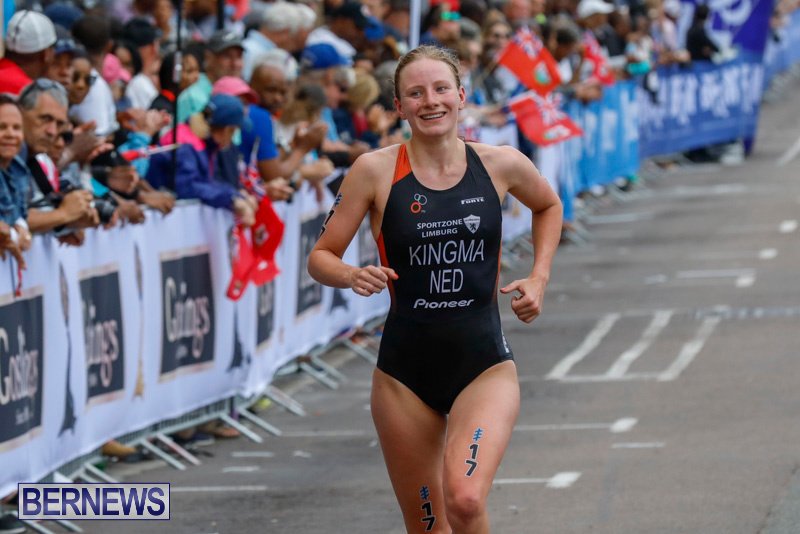 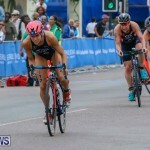 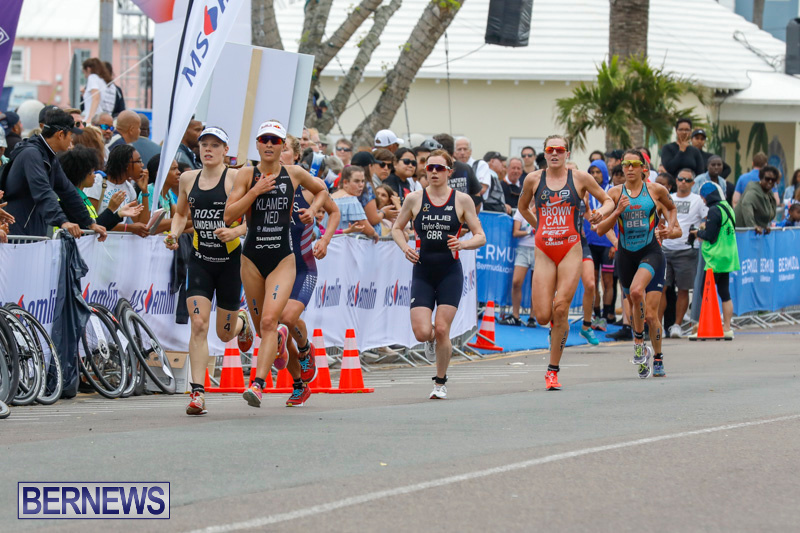 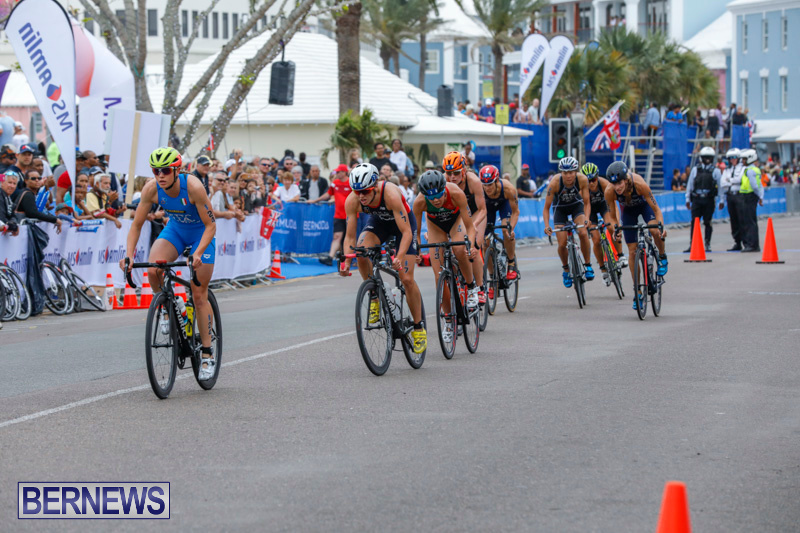 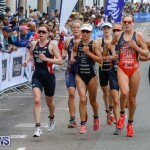 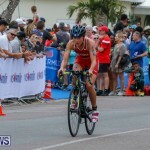 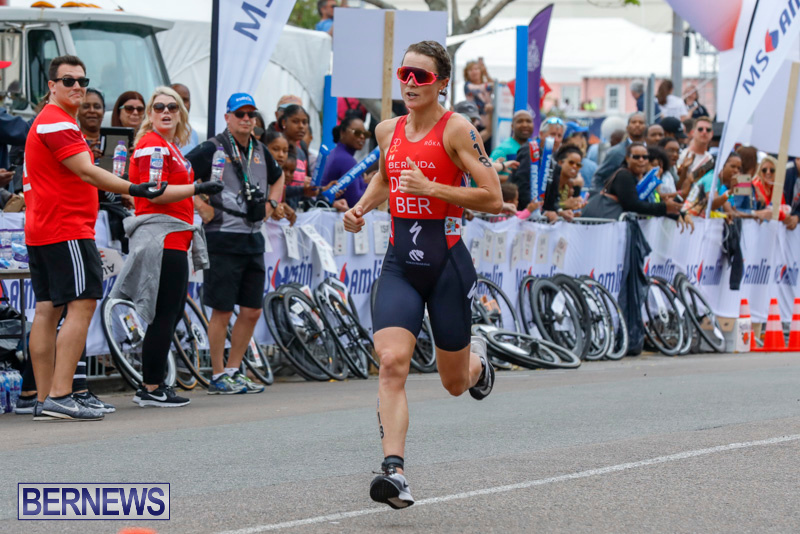 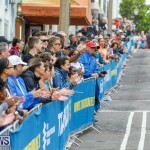 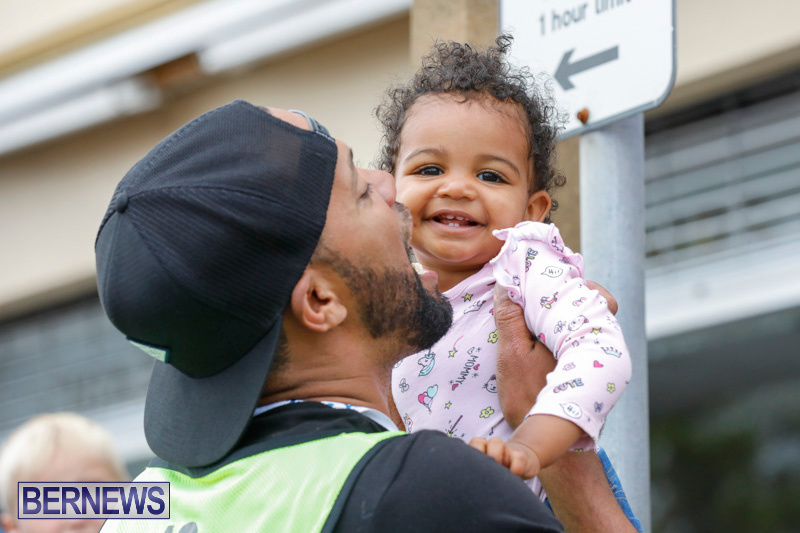 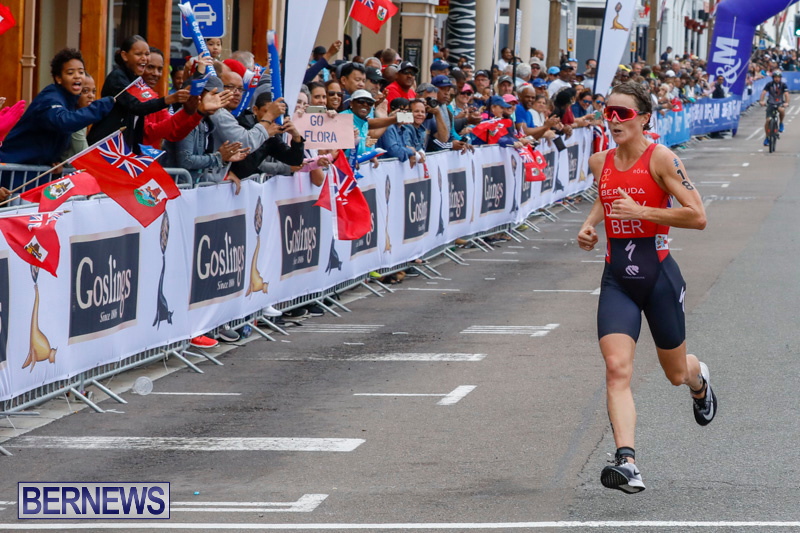 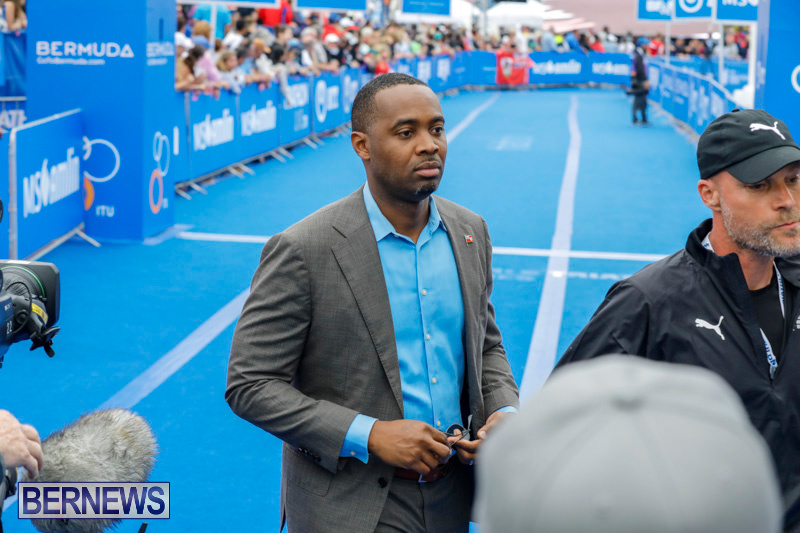 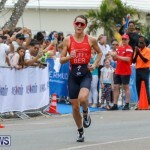 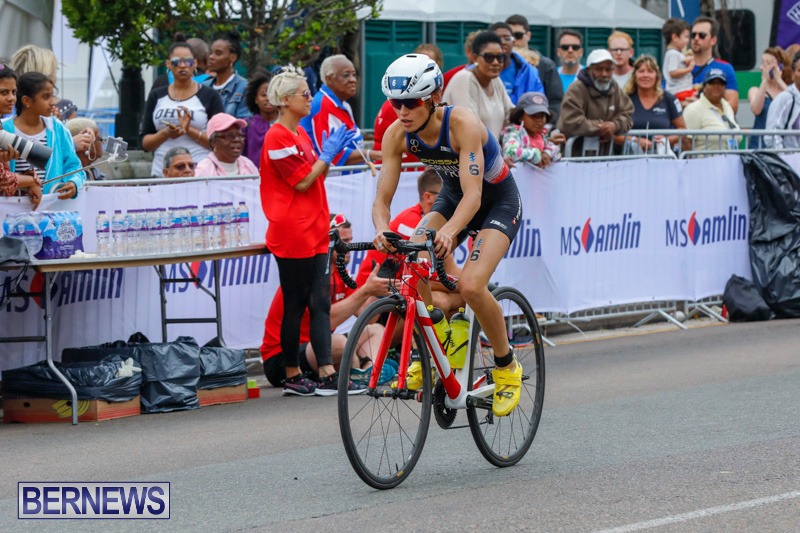 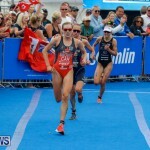 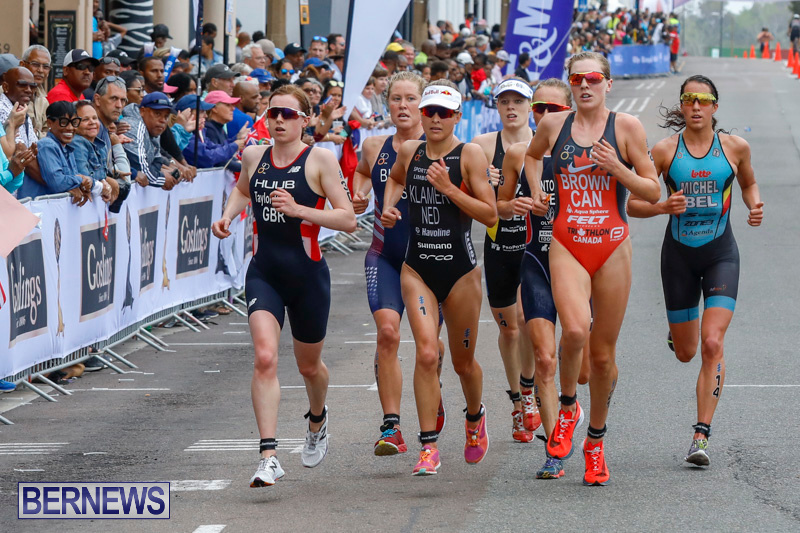 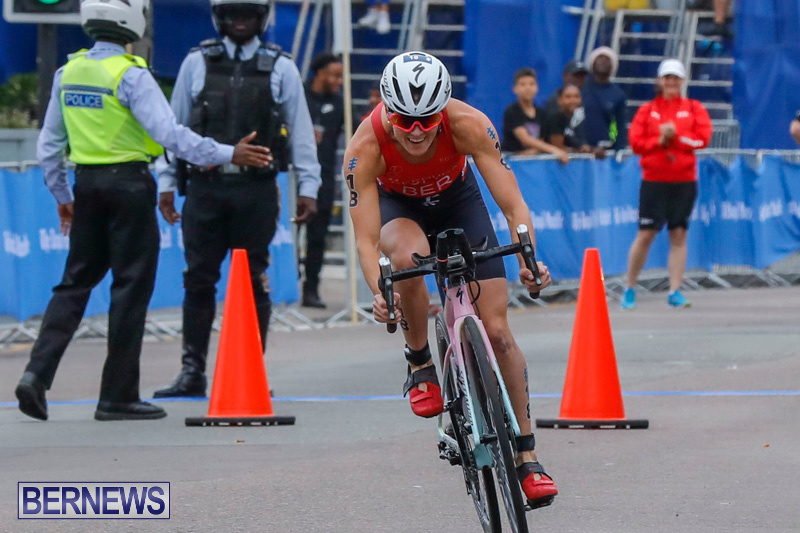 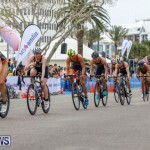 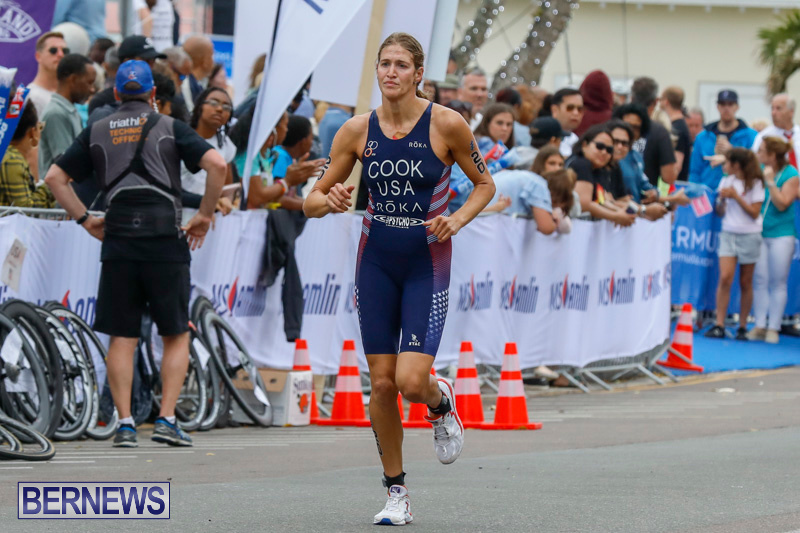 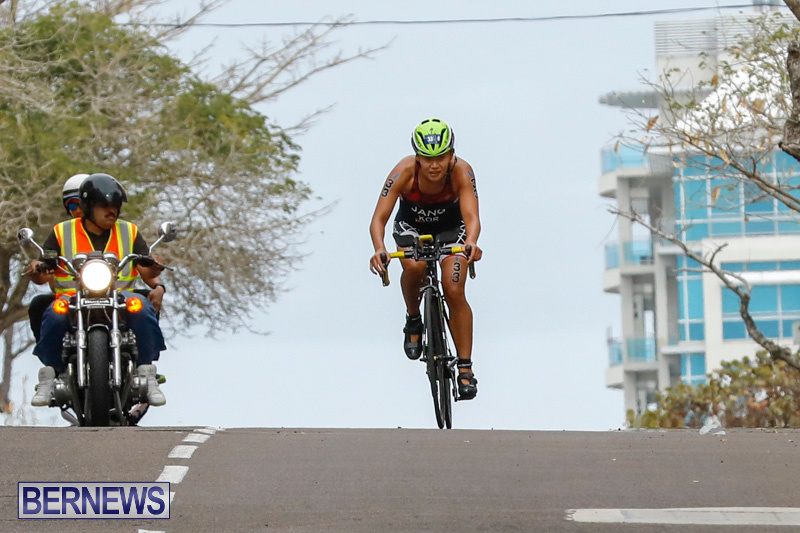 Flora Duffy won the elite women’s event at the ITU World Triathlon Series Bermuda yesterday [April 28] crossing the line in just over two hours. 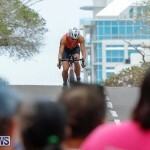 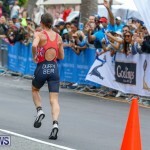 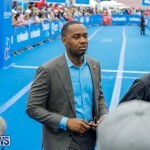 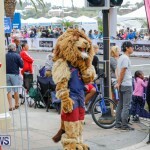 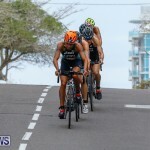 The day started with the Amateur Age Group races in the morning, followed by the elite races in the afternoon. 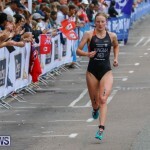 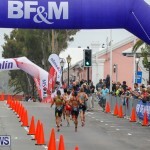 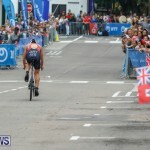 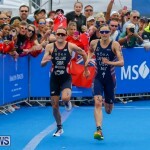 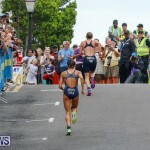 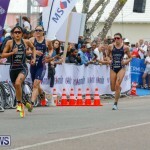 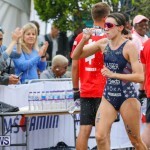 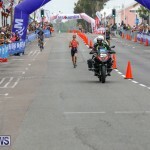 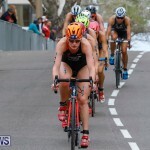 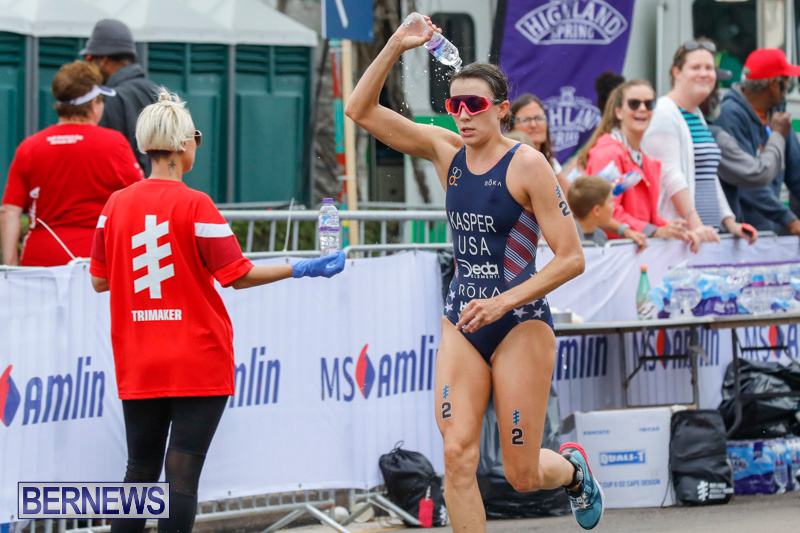 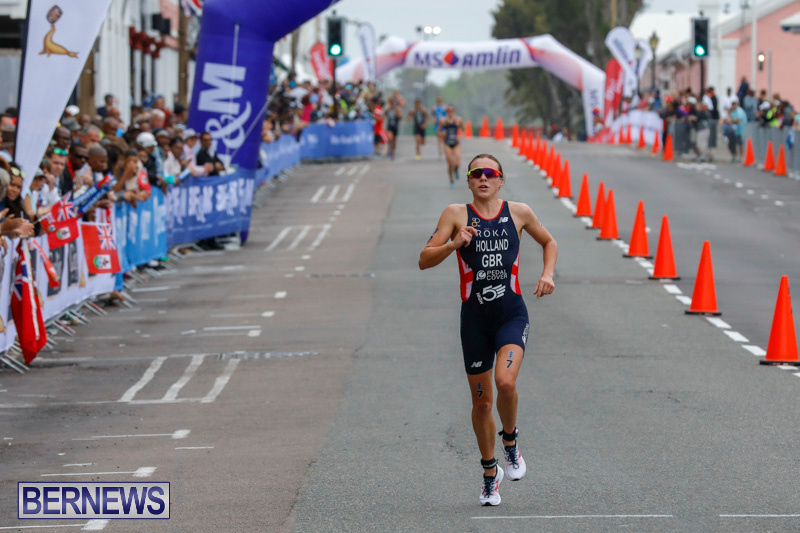 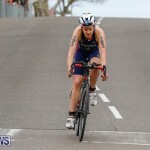 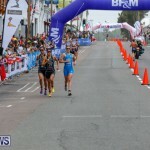 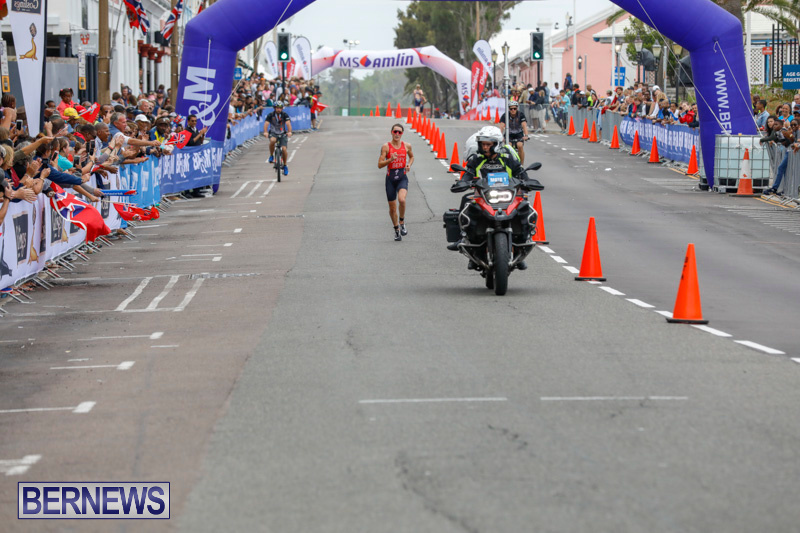 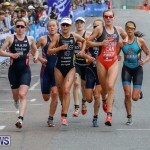 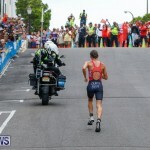 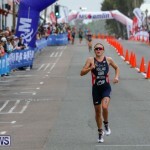 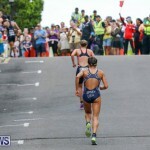 Vicky Holland came in second place while Katie Zaferes placed third in the elite women’s event. 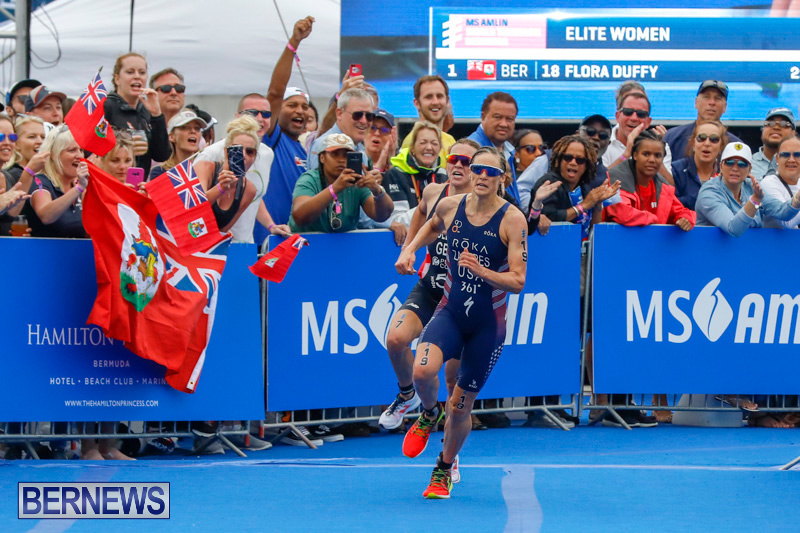 With the victory on home soil, Flora moves up to seventh in the standings as she defends her back-to-back world championships.